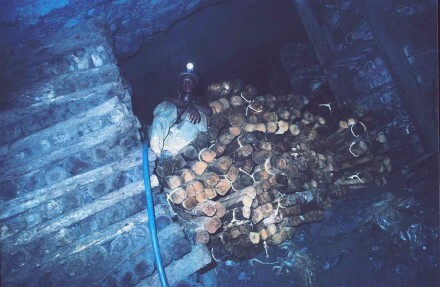 I include under mining all human activities concerned with the extraction of inert natural materials. 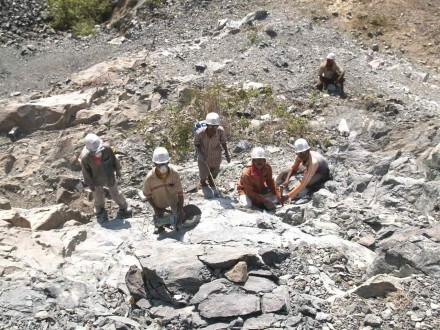 As such, the extraction of stone for construction, is mining. 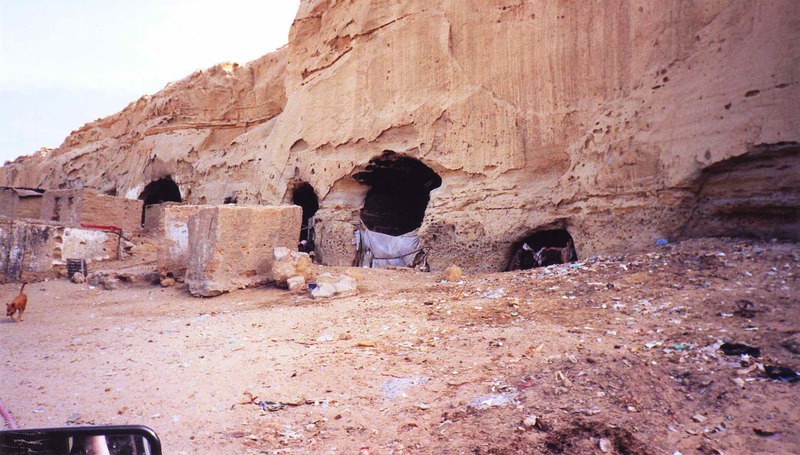 At the beginning, perhaps the easiest was the excavation in relatively soft sandstones, to enlarge the original caves where the people dwelt (fig. 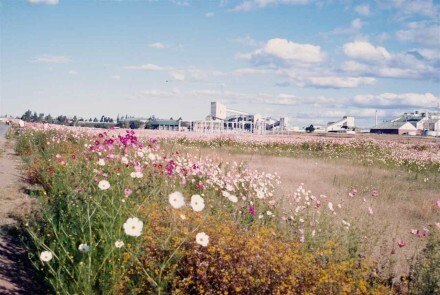 89). Also, rock blocks shaped by natural jointing were used originally possibly only for religious purposes (fig. 163B), but later they started building wall protections and houses by “dry packing” carefully selected well shaped blocks. Figure 163B – Stonehenge, one of the earliest human utilisation of stone. 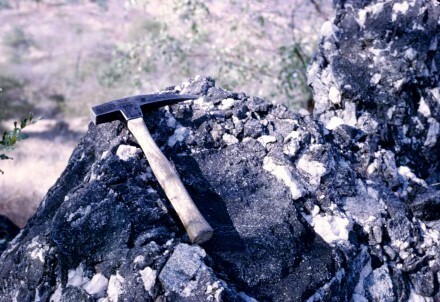 As technology progressed people realized that they could improve on the natural jointing by using very simple chisels for digging grooves along predetermined lines, in order to create an artificial joint through which the rock would fracture. 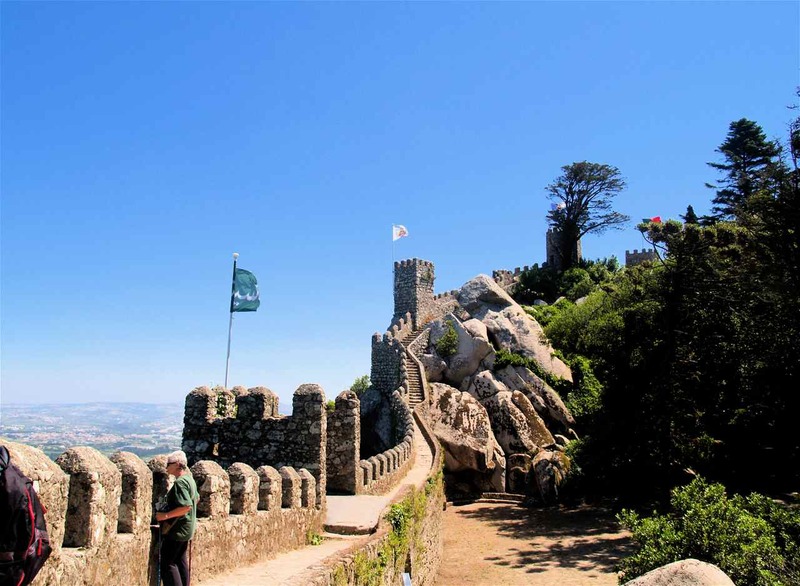 A good example can be seen within the Moorish castle at Sintra, Portugal (Fig. 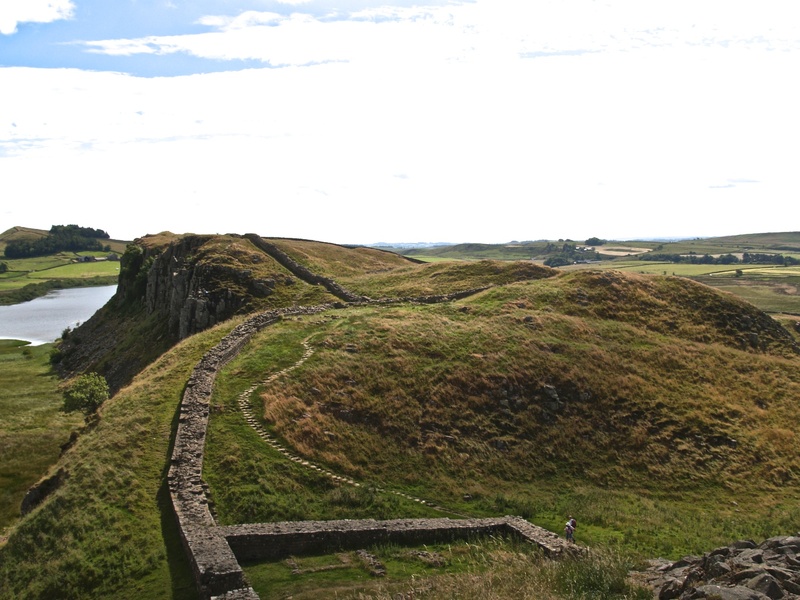 164), built not very much earlier than 1100 AD. 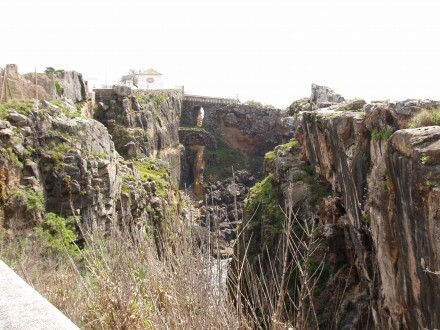 Figure 164 – Inner view of the Moorish castle wall (Sintra, Portugal). 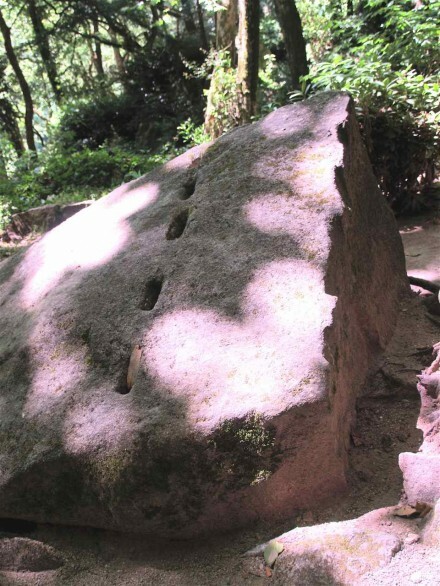 See the two grooves already chiseled on the granite boulder located within the castle area. 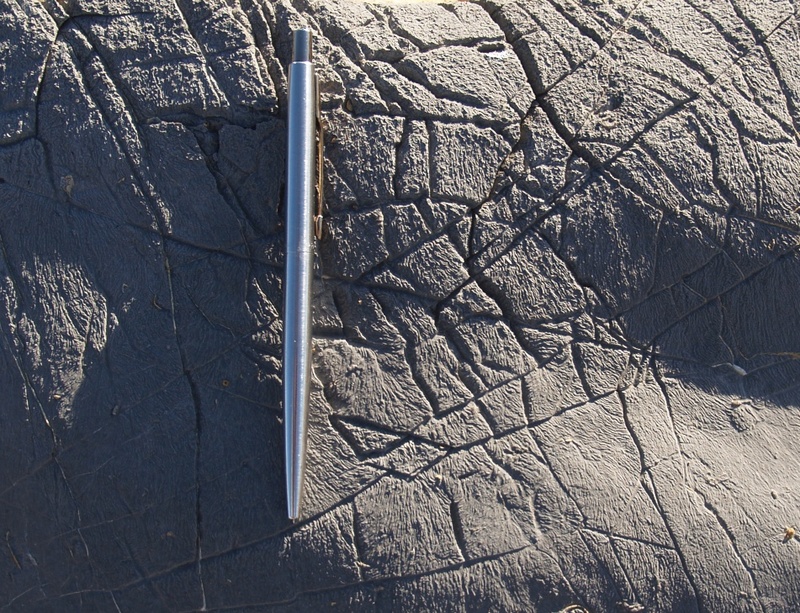 Along one of the grooves a neat break has already been accomplished (fig. 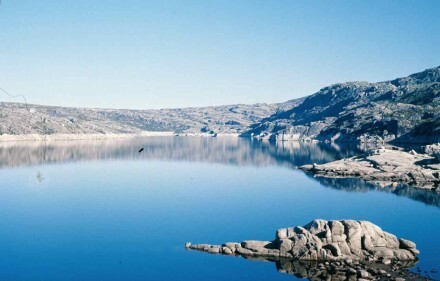 165). Surely this is a block in preparation for repairing the wall. 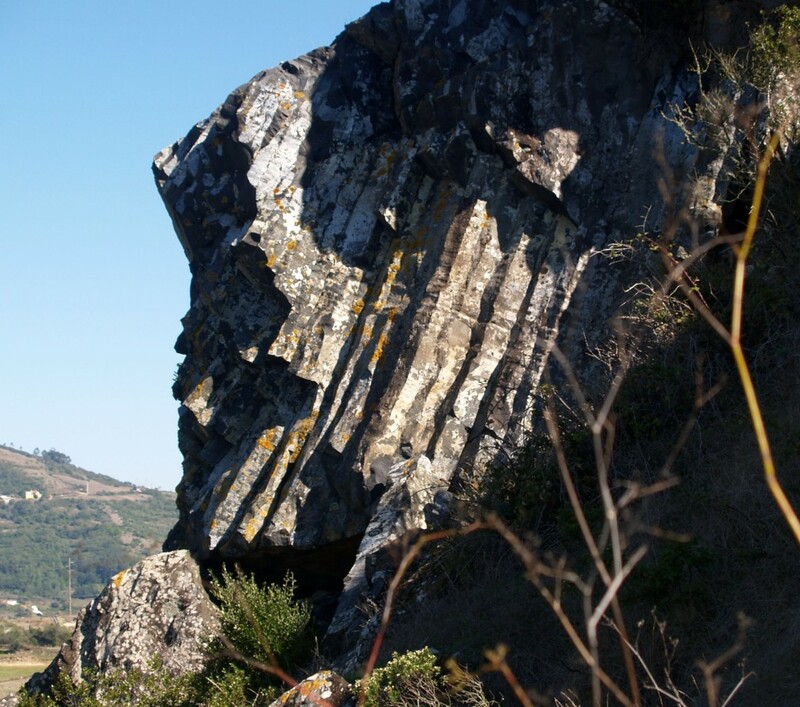 Figure 165 – Granite boulder halfway split to shape a block for the castle wall (Sintra, Portugal). 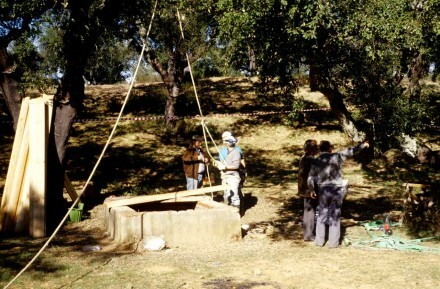 Figure 166 – Well into the water logged rock salt diapir (Rio Maior, Portugal). and the much cleaner salt is collected from the salt pans around it (fig. 166A). 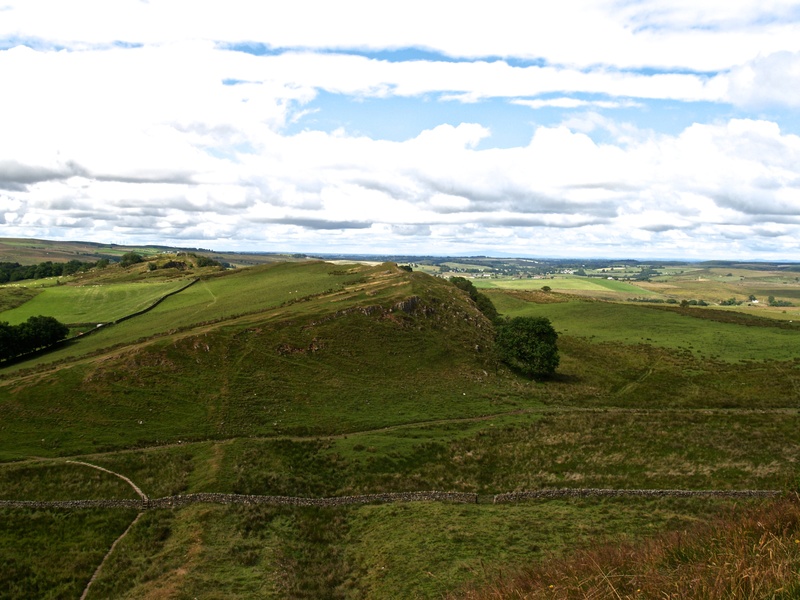 Supposedly this deposit has been exploited on and off since 1177. 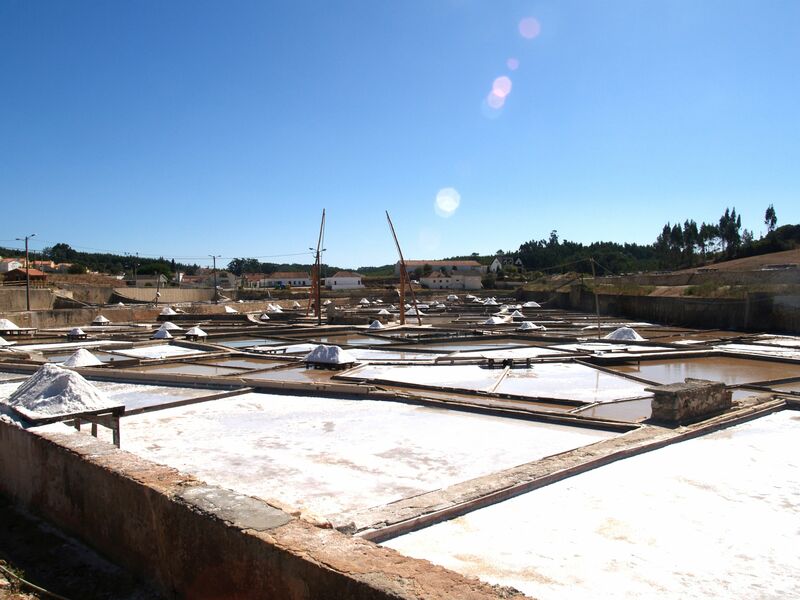 Figure 166A – Salt pans for recovering the dissolved rock salt (Rio Maior, Portugal). Finally, laterite occurs in regions with high precipitation. India is a great example, with their well known monsoons. 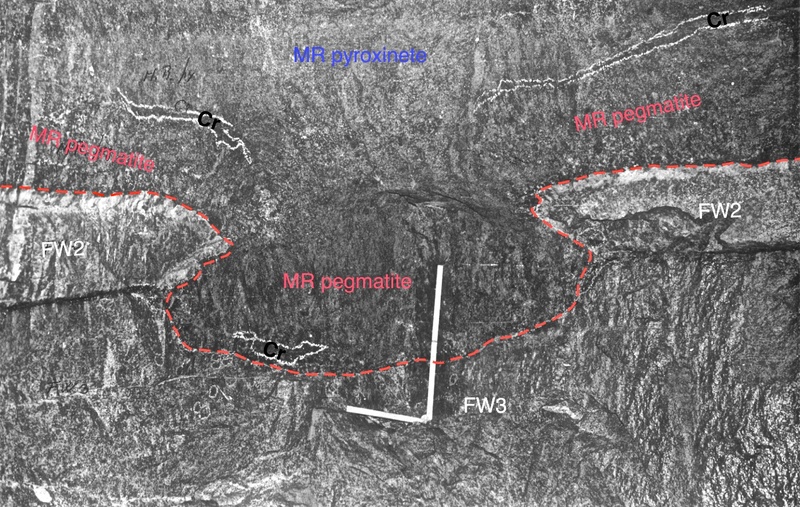 There, I saw laterite being mined (fig. 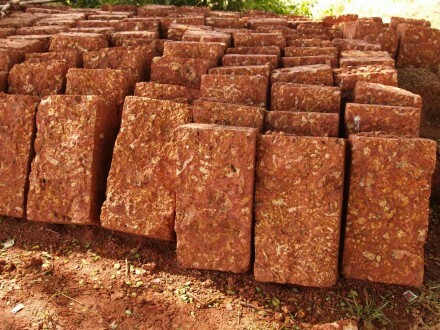 120) by cutting it in blocks (fig. 167) for the construction of houses. 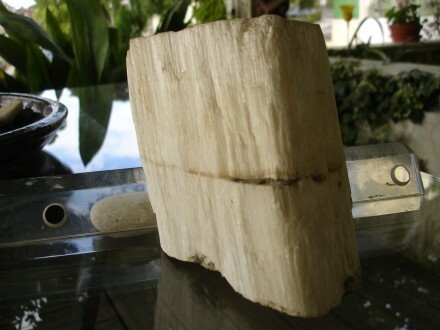 These blocks are rather large, about 0.5 x 0.2 x 0.1 metres but they are not too heavy, so they can be handled reasonably easily. Also, I was told that no cementing material is needed since, with time and the local enormous rain fall, the iron in the laterite is mobilized and the blocks seal themselves. Figure 167 – Laterite construction blocks (Orissa, India). 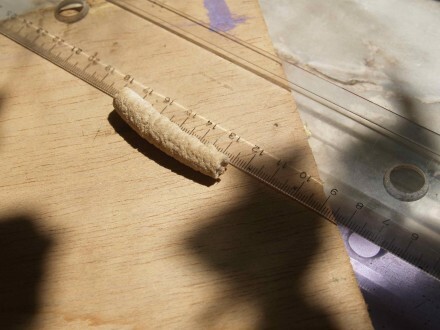 With the present technology, inert materials can be extracted in many sophisticated ways. Here I just refer to some which have been extracted since time immemorial and even today are extracted in a relatively simple manner. River sand dredging (fig. 168) is one of them. This job that in the old days was done entirely manually is now done in a totally mechanised method. 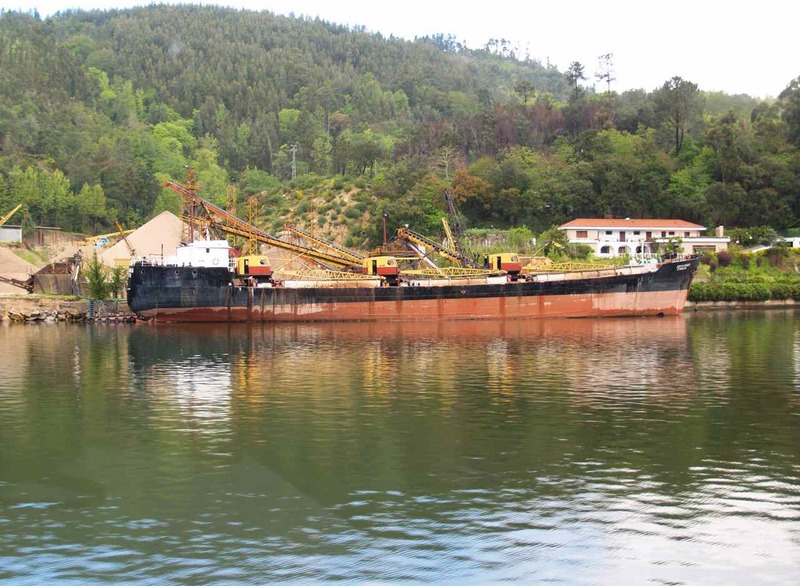 Figure 168 – Sand dredging (Douro River, Portugal). Note that this sand is not extracted to permit navigation, but rather for construction. 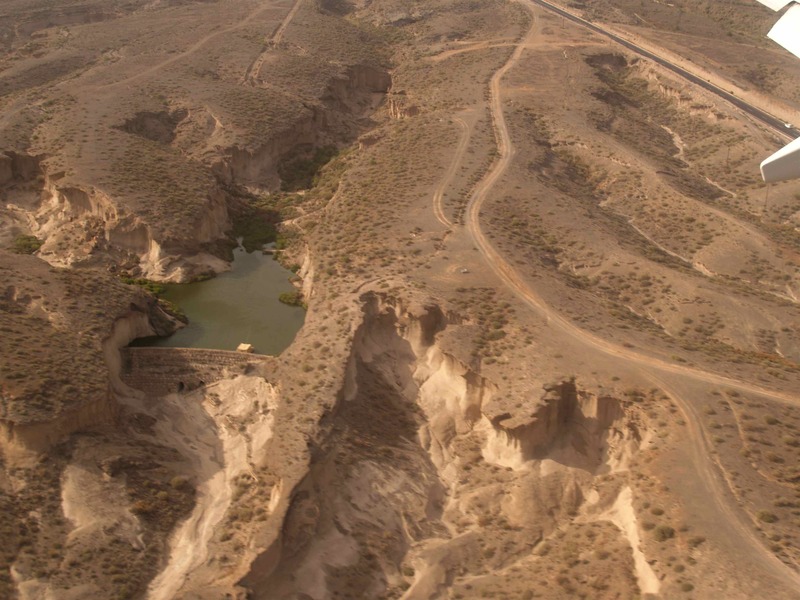 A consequence of this huge and continuous suction of sand, is the rejuvenation of the river’s energy level, thus increasing enormously its erosional power, with disastrous consequences on the river bed, bridges across, etc. 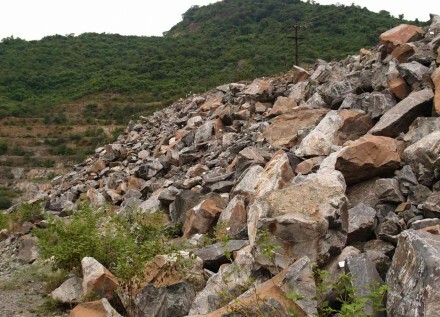 To me this is a very short sighted approach because sand of the same quality can be obtained by minor additional processing of the fines that develop at stone crushers, which otherwise have to be discarded as waste and occupy unnecessary space requiring additional costs for the final rehabilitation. Figure 169 – Mechanical size sorting of the river gravel (Ulco Area, Orange River, South Africa). 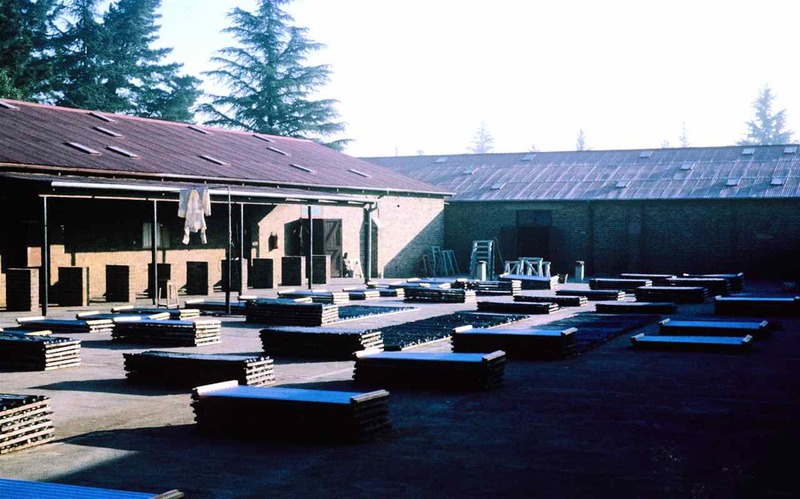 and figure 170 shows the owner of the enterprise doing the final sorting. It was impressive how fast his hand moved and I do not think many diamonds were missed. 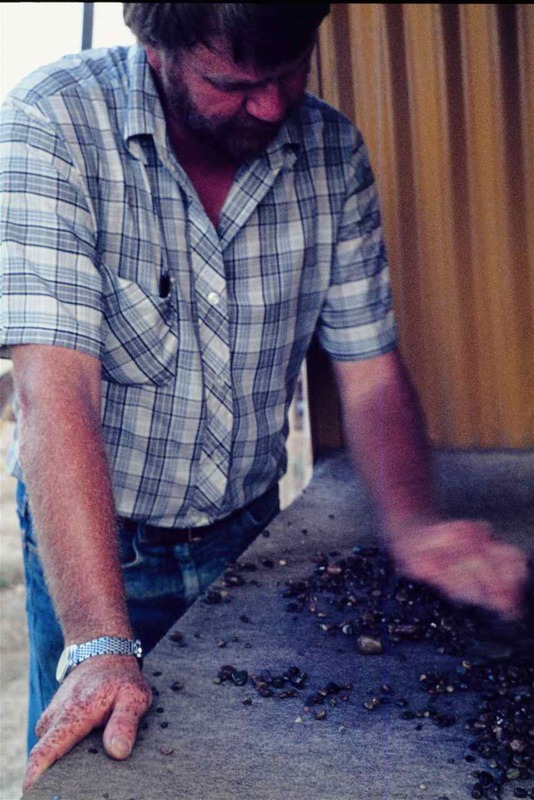 Figure 170 – Final hand sorting for diamonds (Ulco Area, Orange River, South Africa). 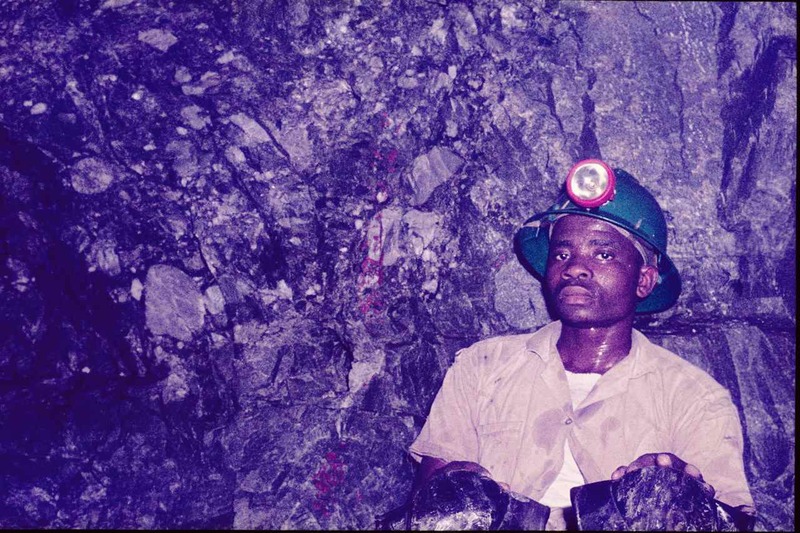 Figure 171 – One man gold mine operation, ore stamping mill (Bulawayo region, Zimbabwe). 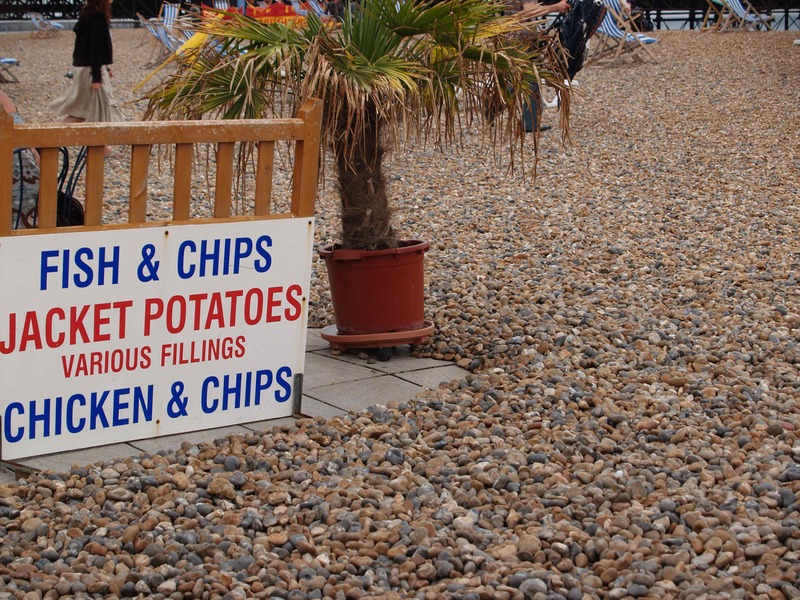 which is also rather simple and very effective. Figure 172, shows a vibrating table which sorts the heavy material. Note the pale, rather thick streak of heavies at the top of the table. 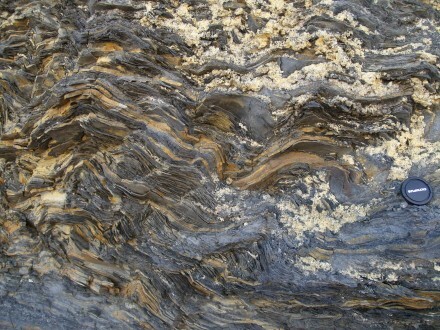 Unfortunately this streak is not just gold but rather predominately pyrite with minor gold specks. For the final separation they were still using mercury which makes an amalgam with the gold, and then the mercury is “boiled out”. 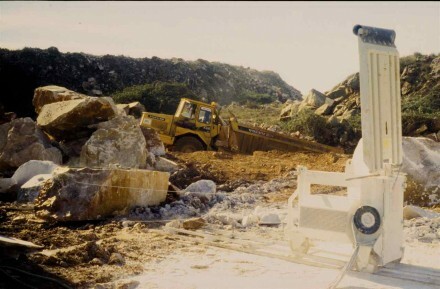 Figure 173 – Dustless dump loading operation in a quarry (Halfwayhouse, South Africa). 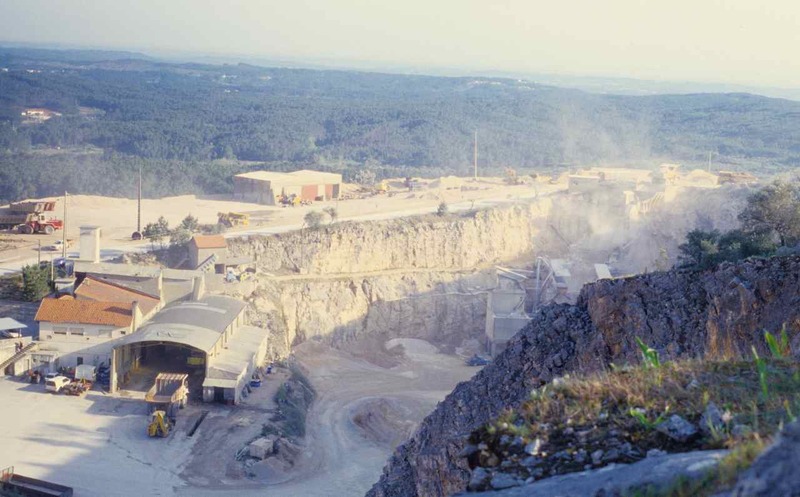 and figure 174 shows a limestone quarry in Portugal with so much dust, that one has difficulty in distinguishing the crusher unit on the right hand side. Probably, because Portugal belongs to the EU, its mining laws are actually more strict than those in South Africa but, obviously in Portugal there is no apparent law enforcement, because the photo was taken from a moderately important road with considerable traffic of all sorts. 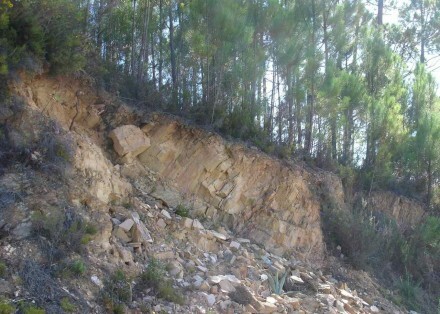 Figure 174 – Quarry without any dust prevention (Serra de Janeares, Portugal). 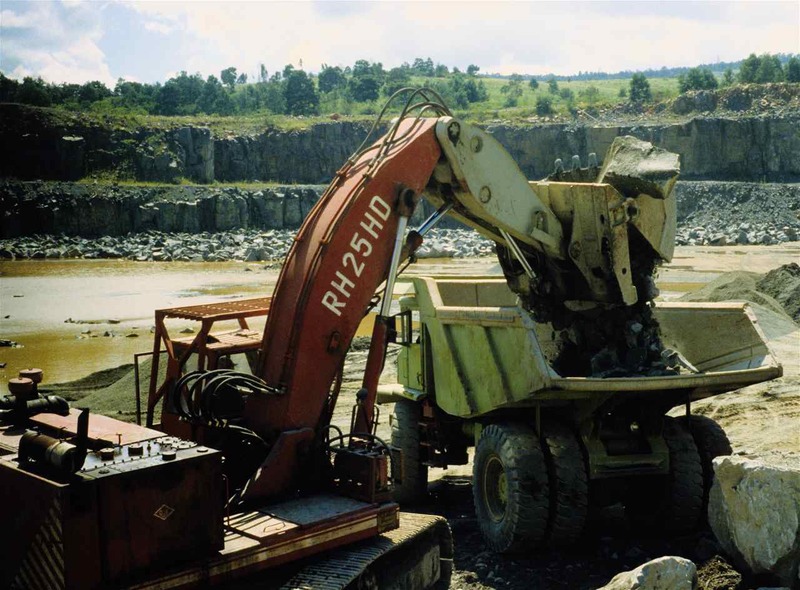 Quarry dust is prevented by continuously spraying the haul roads, the blast heaps, as well as all the crushing units. 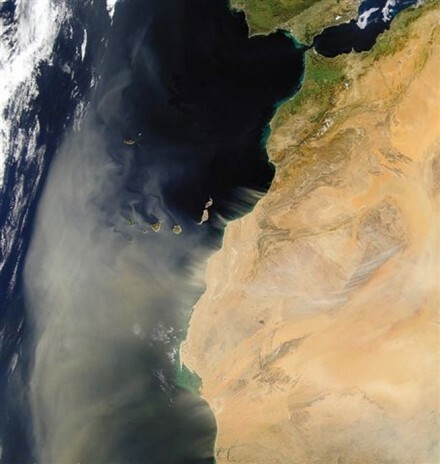 That is, all the sectors where dust may develop. 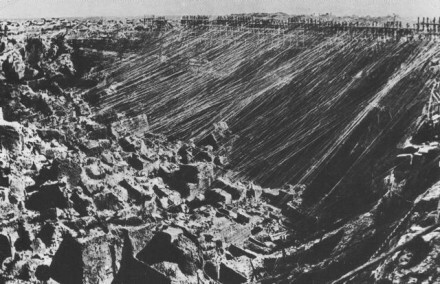 The only dust observable in a South African quarry is that caused by the blast (fig. 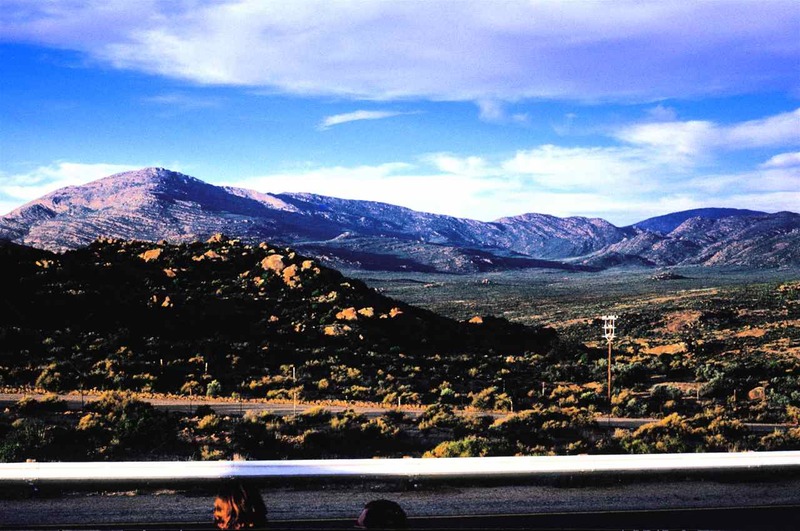 175). 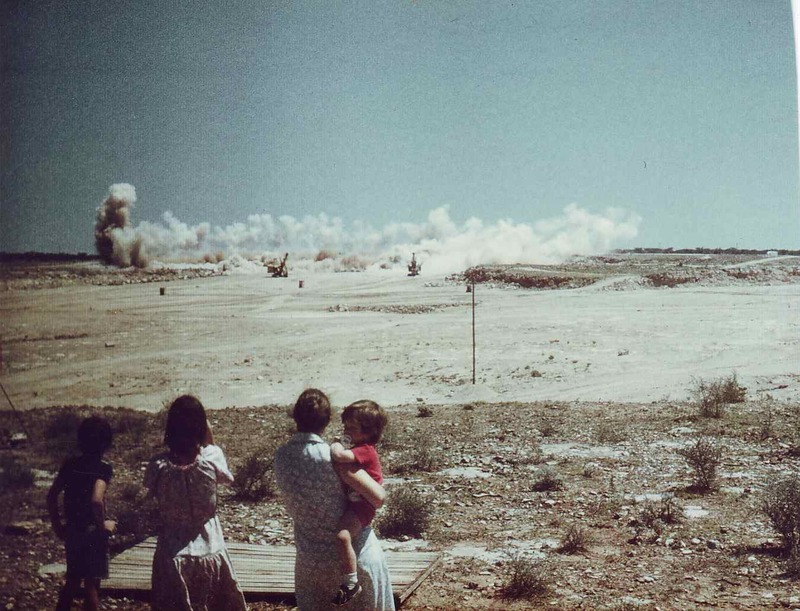 Figure 175 – Blasting in progress (Ulco, South Africa). 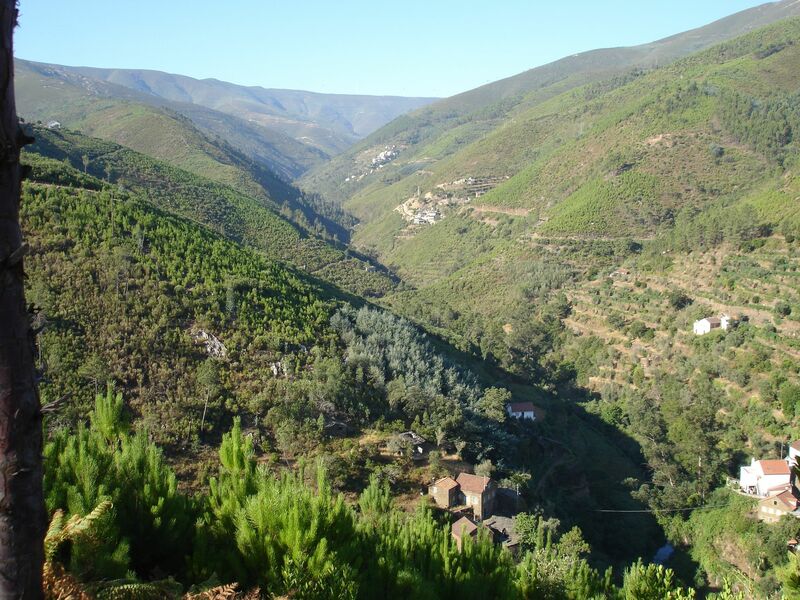 For obvious reasons, this regulation is extremely important and, in Portugal, where water is abundant, it is not even expensive to implement. On the other hand this is not so in many parts of South Africa like Ulco, which has a very arid climate and consequently where water is difficult to obtain. Even than however, for the workers’ health sake, the quarries are maintained dust free. Going still further, Ulco is not only a stone quarry, but also a cement and lime factory which means, another potential sector of large quantities of dust development. 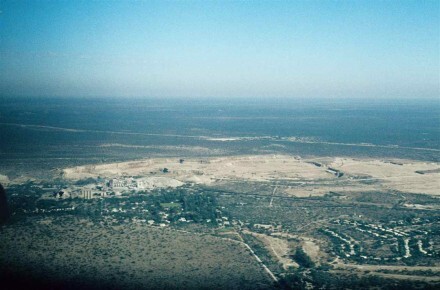 Figure 176 shows the Ulco factory and quarry from the air and practically no dust is noticeable, even though as the surrounding vegetation indicates, the local climate is rather arid. 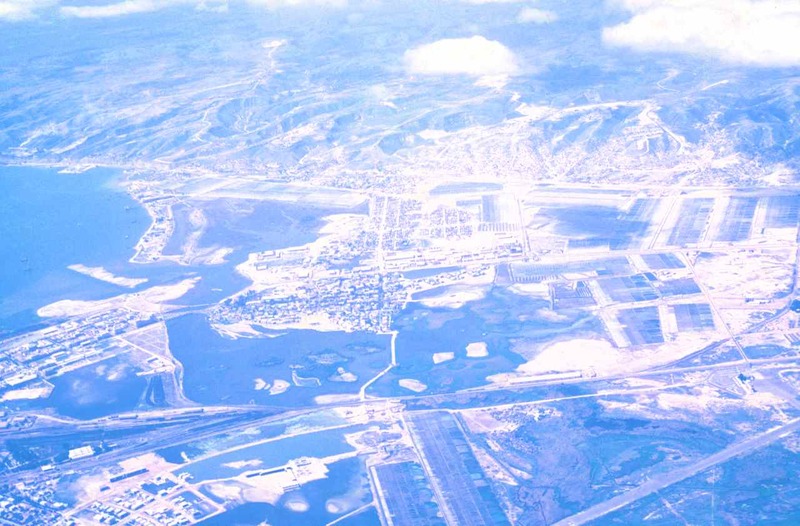 Figure 176 – Ulco from the air, with the township on the right, the quarry in the middle, and the factory complex on the left (South Africa). 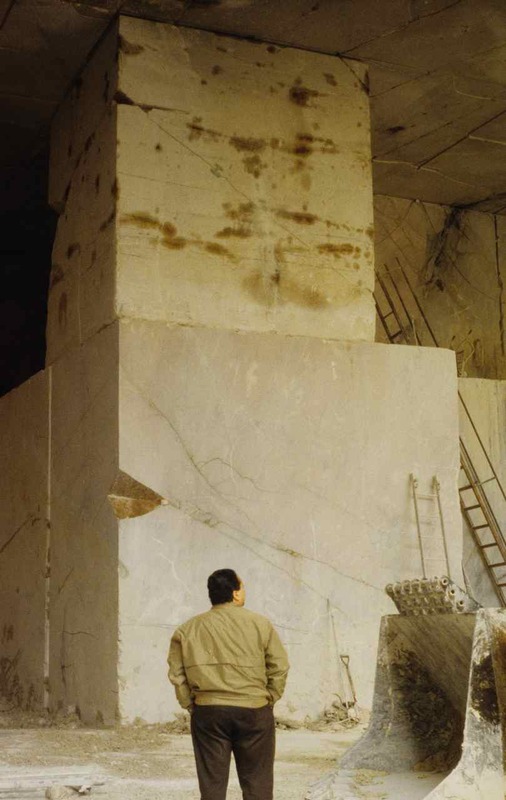 Still to do with construction and ornamental stone we go now to the extraction of marble. 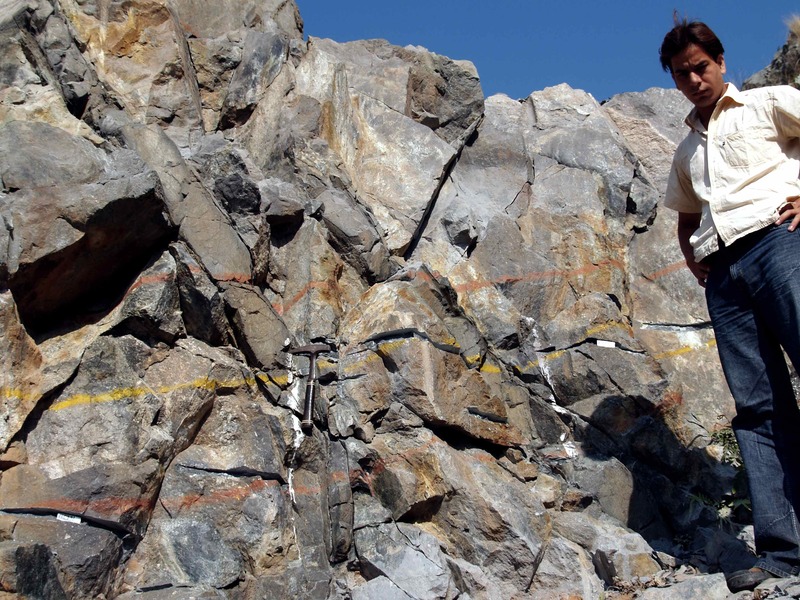 The interesting aspect here is that technology has already managed to do away with blasting which used to cause a lot of wastage due to cracking of the rock, even under very cautious controlled blasting. The method now used is a diamond wire, that is, a wire line impregnated with diamond chips. Figure 177 shows the control unit as well as the two sides of the wire loop. 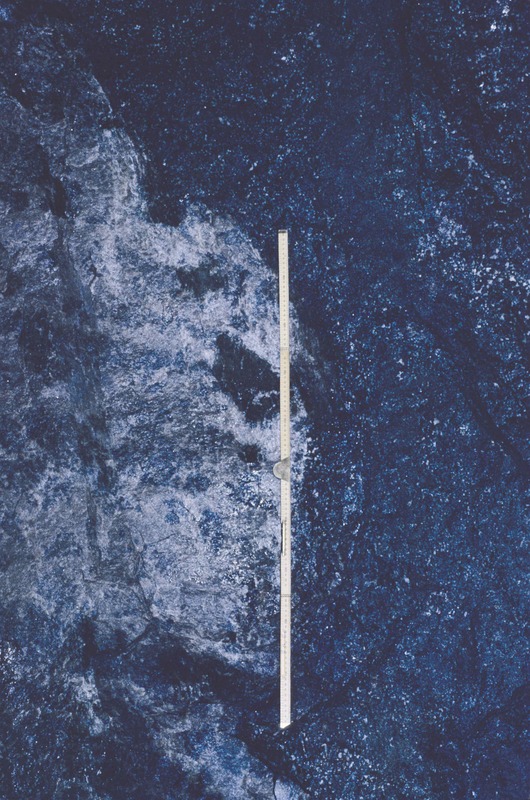 On the far side, out of the picture, there is a pulley positioned in such a fashion that the wire is in continuous contact with the marble to be cut. In other words it is the same principle as a jig saw. 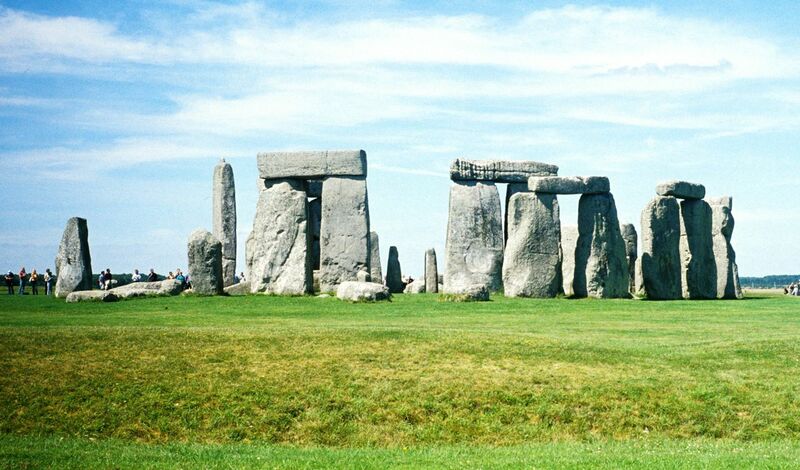 I can not resist to go back to the problem of heritage misusage. The background of figure 177 is completely filled with waste dumps, that is another example of shortsightedness, since nature is a human heritage to be preserved and not to be abused. 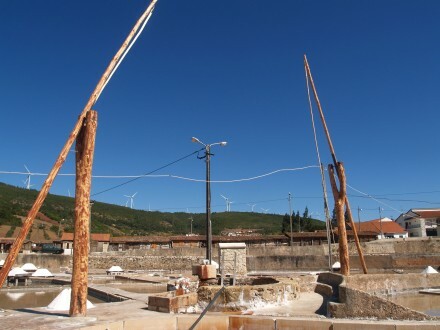 Figure 177 – Wire cutter at a marble quarry (Porto Alegre region, Portugal). Naturally mining is cheaper at the surface than underground. 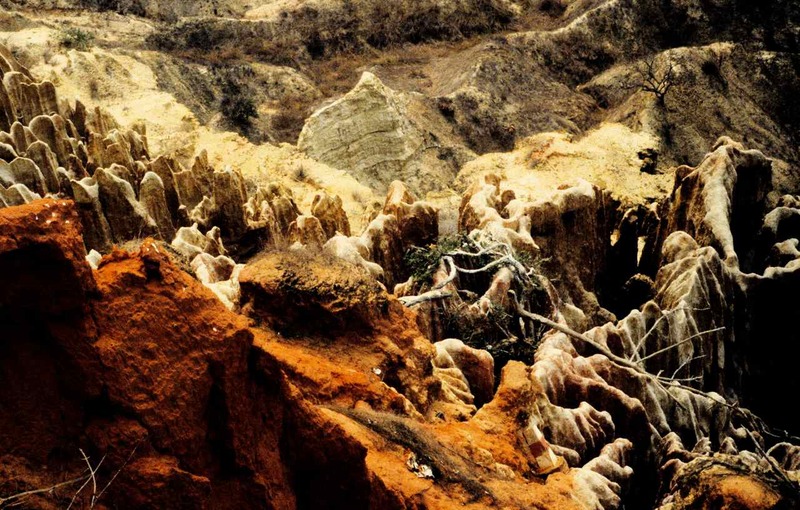 Hence, mining will only go underground if the desired material can no longer be extracted from the surface, or if that material does not outcrop. I visited this quarry or mine, I’m not sure what to call it, in November of 1998. It is apparent that the exploitation is still within day light. 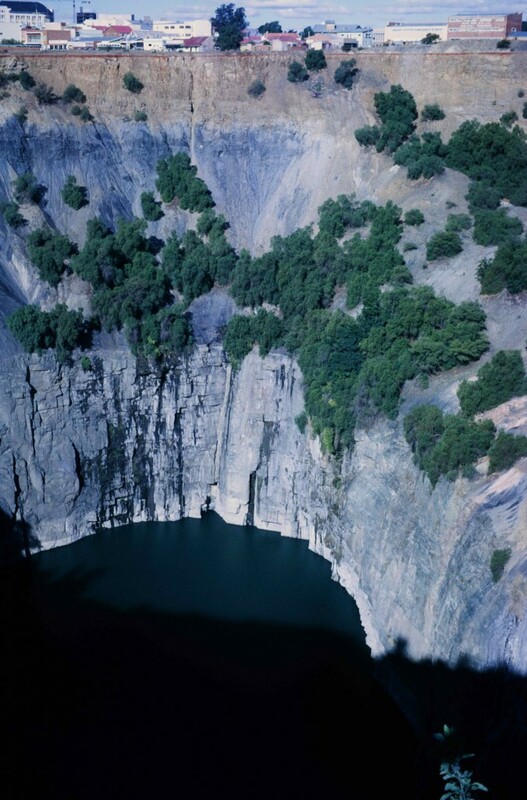 In fact it is a case of cutting inwards from a central open pit. 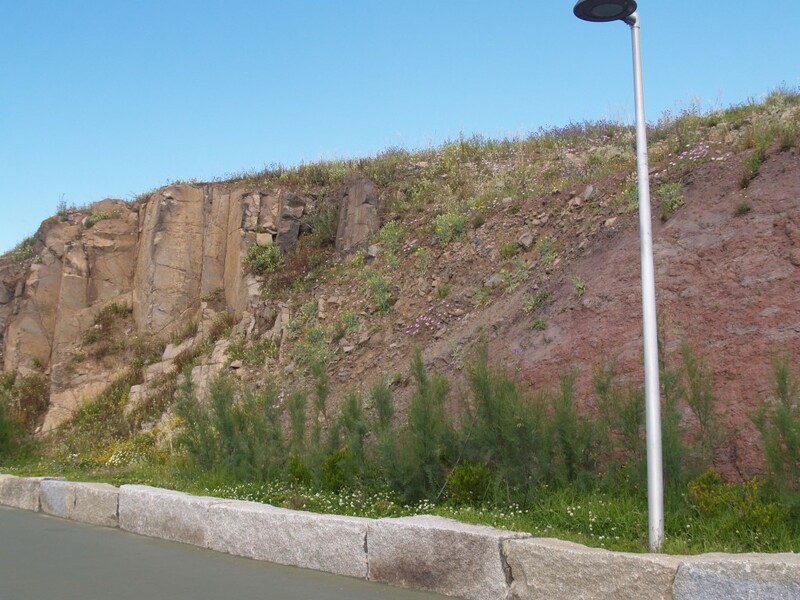 Going underground, reduces the need to remove the thick overburden constituted by very weathered and broken marble, thus reducing waste removal. 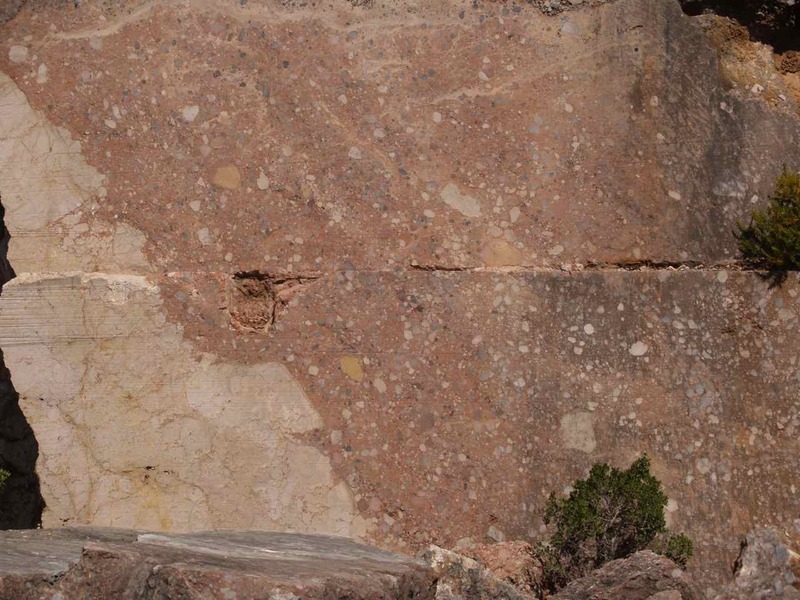 One can have an idea on how close the surface is because the surface weathering is still noticeable on the upper section of the central portion, which is a structural support pillar. Also, it is apparent that the marble is of a very high quality. However, even with all these possible cost advantages, I wonder if the venture is still going. I do not have much faith in it. 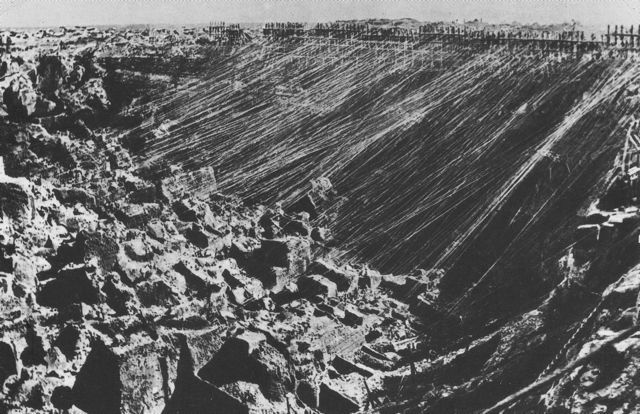 Figure 178 – Underground mining of marble (Porto Alegre region, Portugal). This picture also shows how well the wire cutting (fig 177) system mentioned above, works. The chrome mine at Boula, is a good example of a mine which started at the surface, but due to the space constraints with depth, it had to opt and go underground (fig. 179). Figure 179 – Boula chrome mine (Orissa, India). 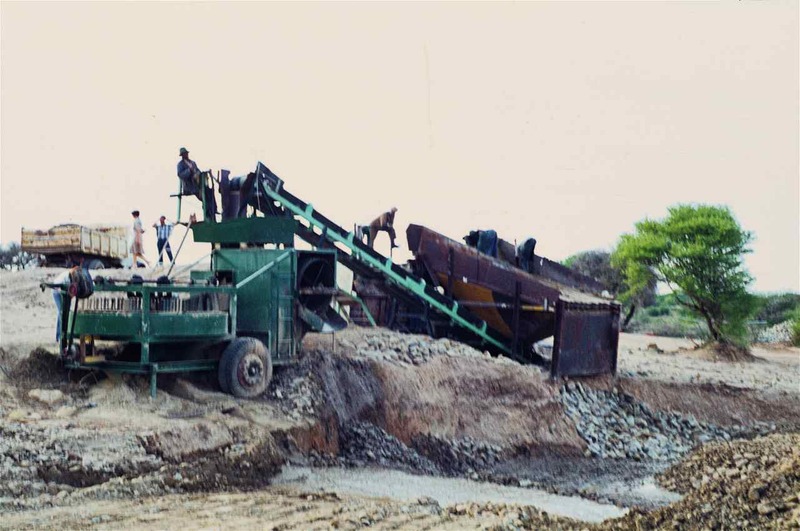 Figure 180 – Hand ore sorting (Chrome mine, Boula, India). and piled (fig. 181). 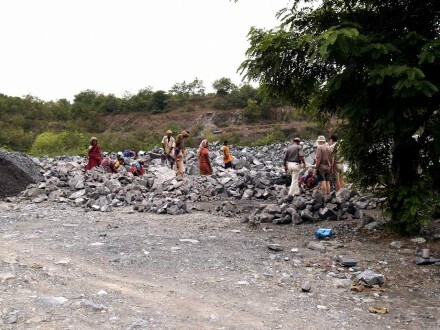 Female laborers do the sorting by hand and they are also the ones who, manually and meticulously, pack the ore on an exactly dimensioned four sided prism. This is a natural consequence of cheap labour. 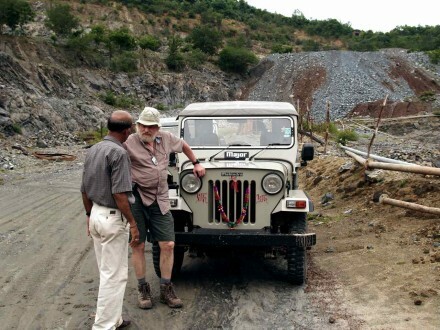 Note that a mechanical ore sorting machine would be far too expensive, making this venture not viable. 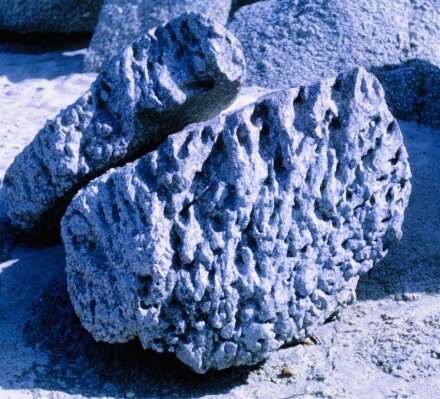 In the same way, the packed ore does not need to be weighed, saving on the expense of such a machine. 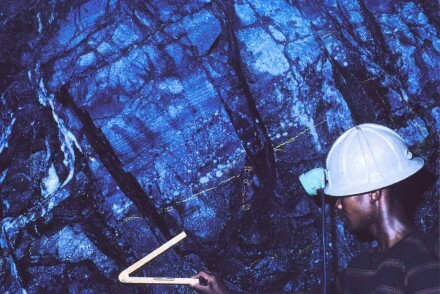 The volume of the prism is measured by tape and the tonnage is calculated using the predetermined SG of the packed ore. Figure 181 – Manually packed ore pile (Chrome mine, Boula, India). Now, the naming of the ore zones; figure 179 is facing S and the picture was taken from a ridge formed by a fault zone with an apparent uplift to the N. On the N side of the fault, that is, behind the photographer, only one ore zone exists which was named Ganga. I find the reasoning behind the naming fascinating. If I understood it correctly, Shankar is a very important god whose wife is Lakshmi and they have a daughter called Durga. 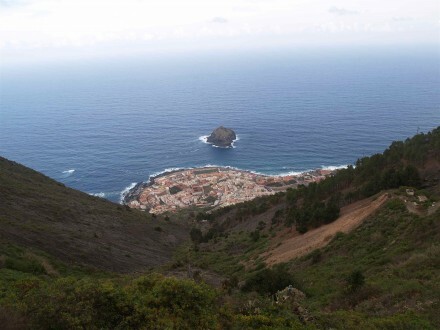 In other words, the thickest and best developed ore zone gets the name of an important god. Next to it but not as well developed, is his wife and the weakest of the ore zones is the daughter. More, supposedly Ganga is Shankar’s lover. The affair must not be obvious so Ganga is separated by a fault, but she is important and so she is at a higher level than Lakshmi and Durga. 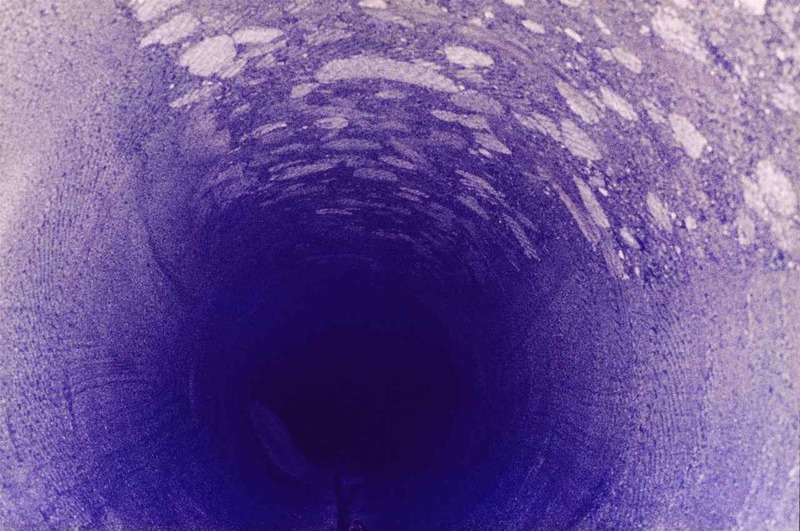 The Kimberly pipe (fig. 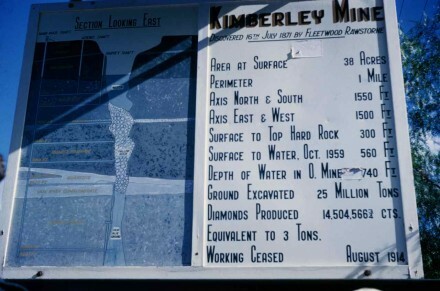 17 ) is the one which started the diamond rush in South Africa and gave the name to the rock that forms it (kimberlite). 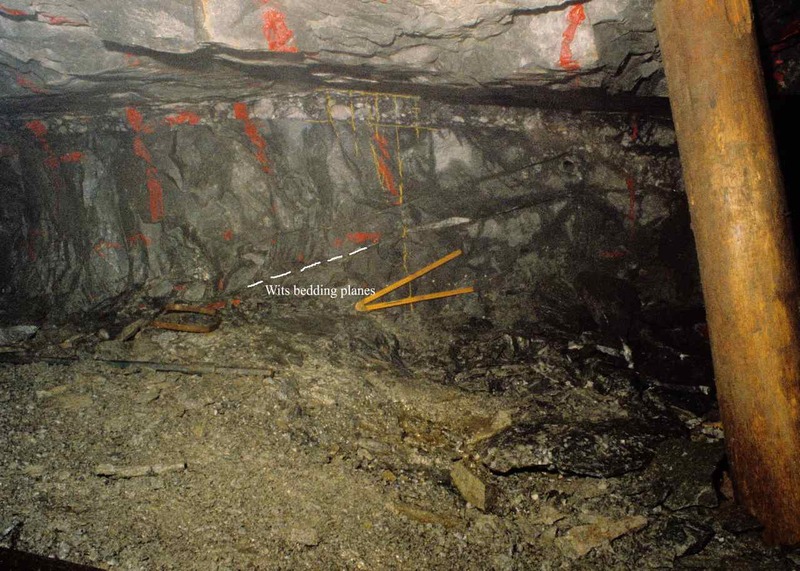 This is another example of surface mining having to go underground due to lack of space. By 1875, within the 38 acres encompassing the outcrop area of the pipe, there were hundreds of independent miners working in their separate claims as can be observed in figure 181B, showing not only the web made by the numerous cables of the active individual rock hoists, but also the depth at which they were already working. 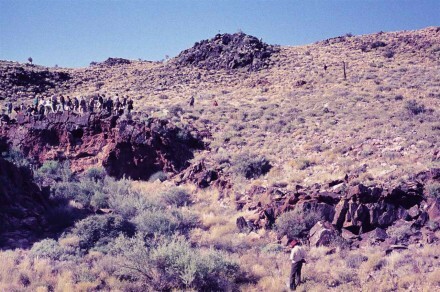 Figure 181 – The historical Kimberley Pipe in South Africa. Photo taken in 1875, showing the existing individual rock hoists (photo obtained in the Kimberley Museum “sold in the aid of the Red Cross”). The corresponding statistics shown in figure 182, give a rather nice summary. 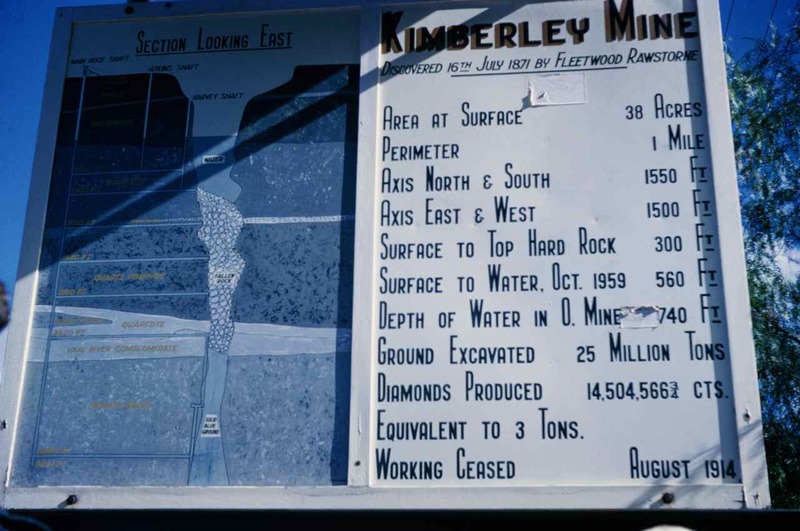 Figure 182 – Diagrammatic section and statistics of the Kimberley diamond pipe (South Africa). 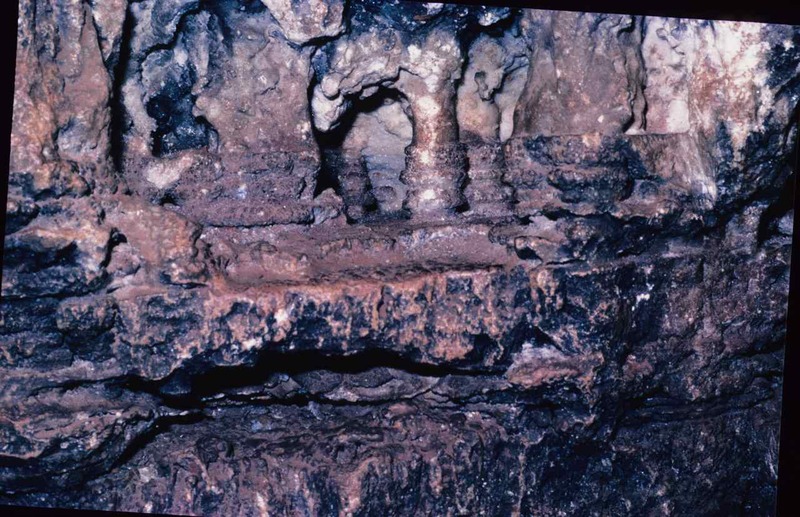 I think this is the best example of the influence of mining on the surface morphology and on the important differences between surface and underground mining. 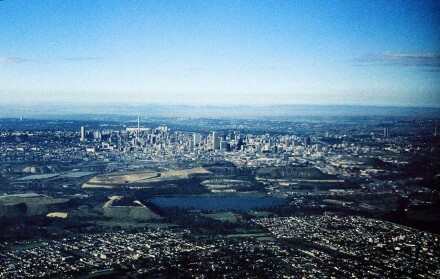 Figure 183 shows Johannesburg from the air, seen from the South. Notice in the background numerous large buildings. Than, in the mid ground, with practically no buildings, there is a reasonably sized lake and two barren portions, one close to the left extremity, which is a remaining waste dump and the other of considerably larger dimension, near to the lake is a slimes (tailings) dam. 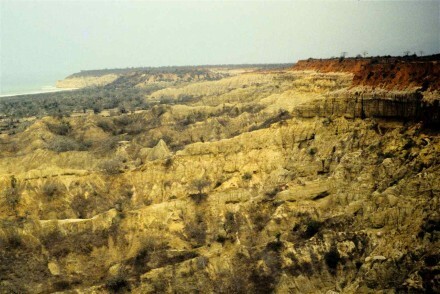 This central area is where the gold bearing sedimentary horizons of the Witwatersrand Supergroup outcrop and most of that ground still belonged to the mining houses in 1984, when this picture was taken. Rehabilitation wise, to my knowledge the majority of the material forming the waste dumps, being predominantly very hard quartzite, was reprocessed as gravel. As for the slimes dams, that was a very difficult problem. 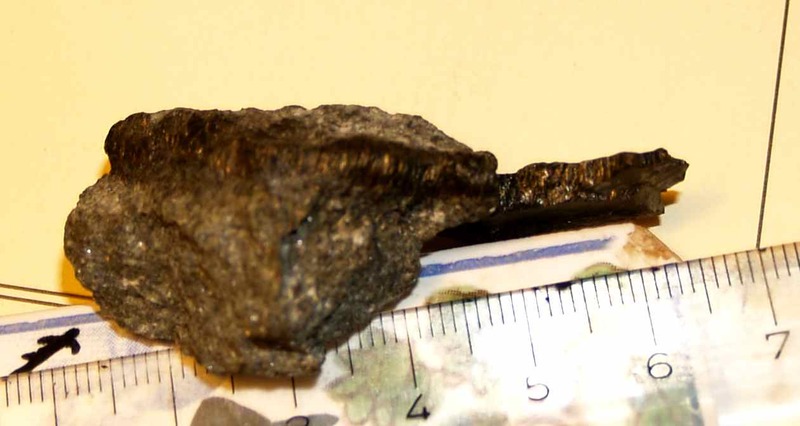 The gold ore was crushed to a very fine mesh and the gold was removed using cyanide. 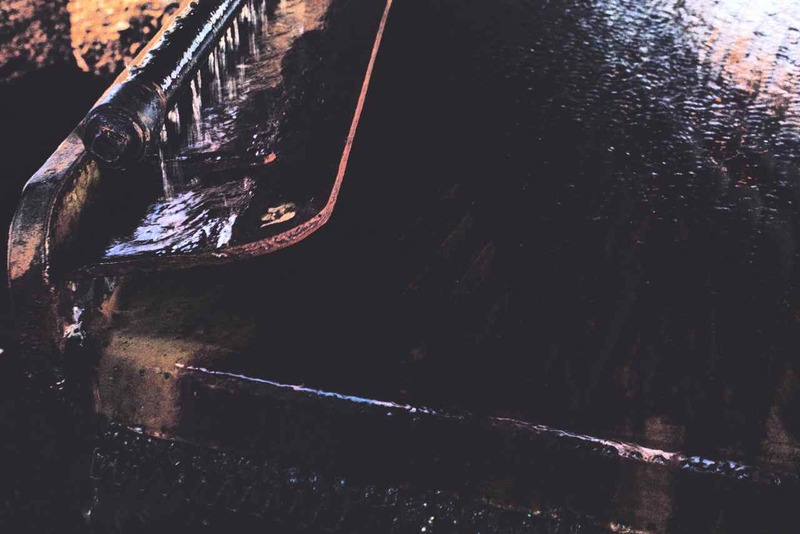 This means that the slimes dams are constituted by a very fined grained totally sterile material. On windy days, Johannesburg was often covered by a dust of very fine quartz particles. 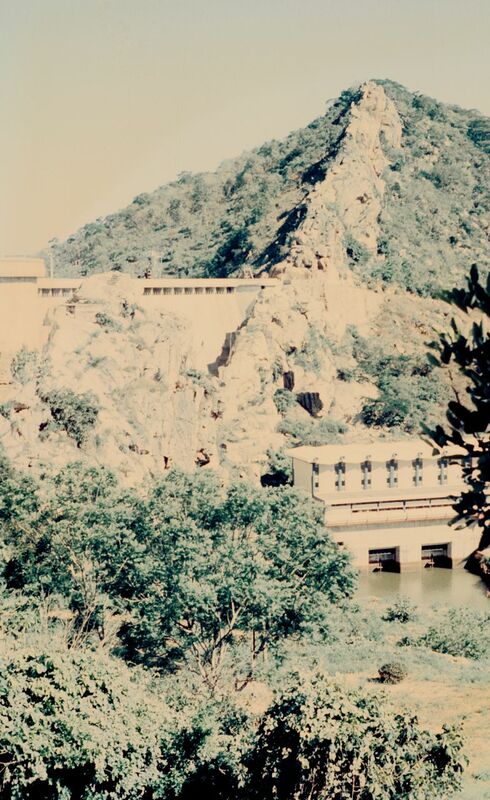 The solution encountered was to cover these large slimes dams with thick layers of fertile soil and vegetate them as quickly as possible. 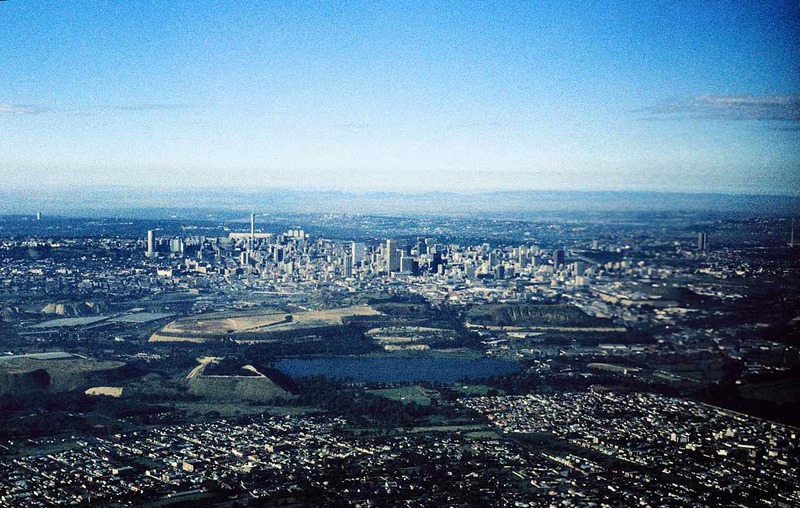 Figure 183 – Johannesburg from the air (South Africa). 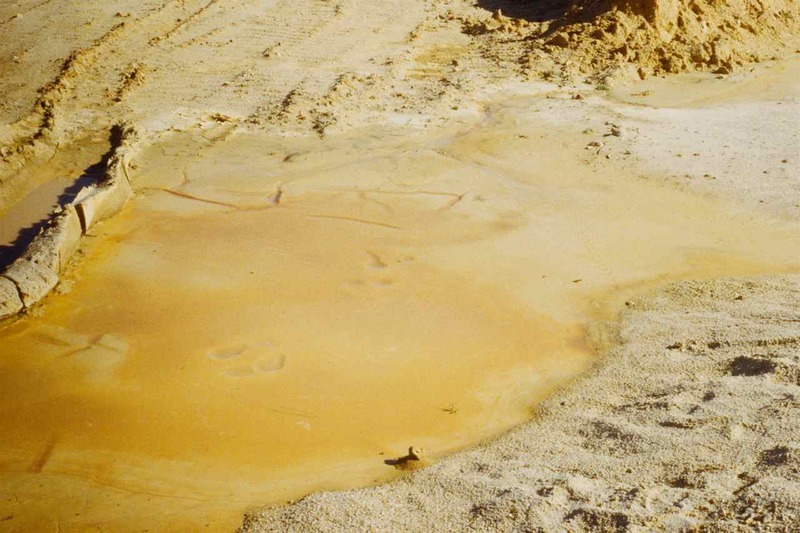 These gold bearing sediments dip southwards at about 25º and the mining started going underground by about where the lake is. In other words, the houses in the foreground of the picture were built over ground that was mined pretty close to the surface. 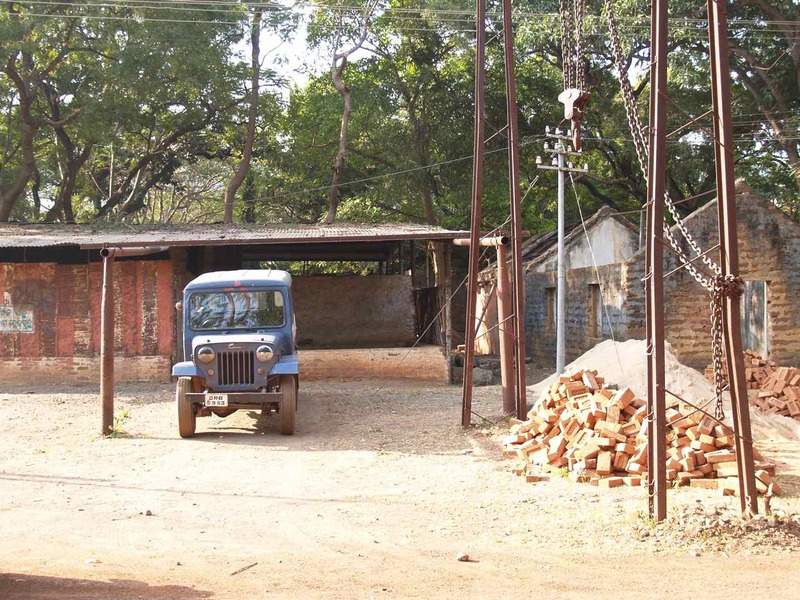 That is why, by municipal law, no houses of more than one floor were allowed on that sector. Nowadays all the Witwatersrand gold mines are underground and their head gears are characteristic of the region (fig. 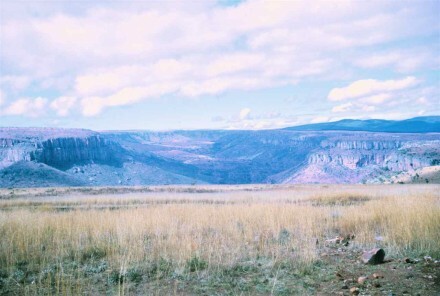 184). 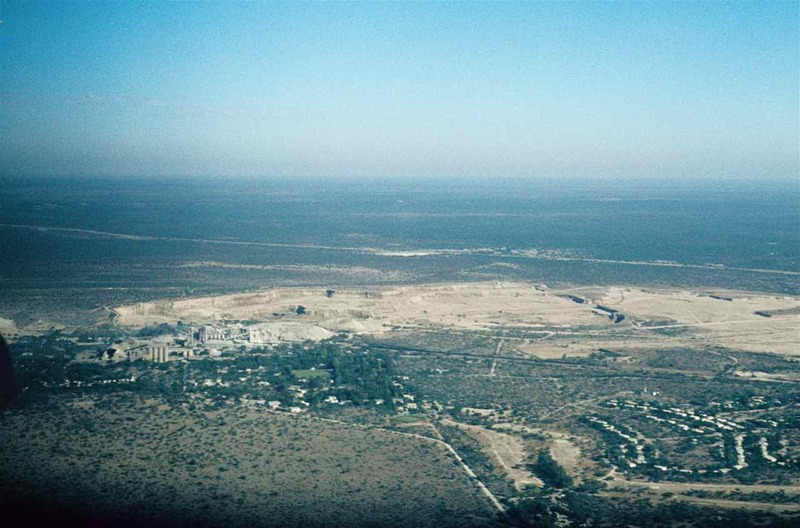 Figure 184 – Winklehaak Gold Mine no 1 shaft and reduction works, Evander, SA. The haulage levels are approximately 30 vertical metres apart and the staff as well as the materials are transported by very fast lifts with stations at every level (fig. 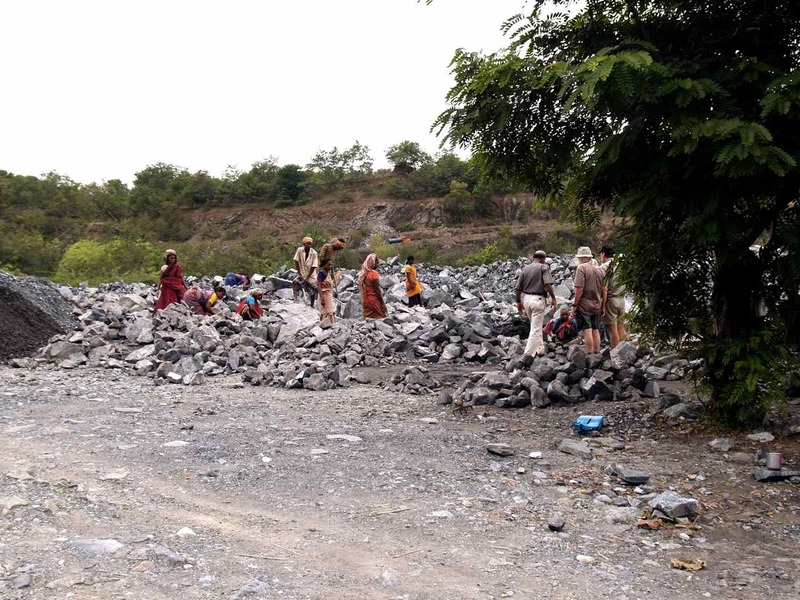 185). 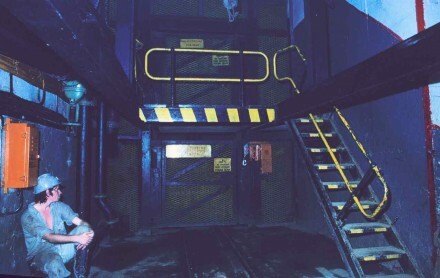 Figure 185 – Underground lift station, East Driefontein Gold Mine (Carletonville South Africa). 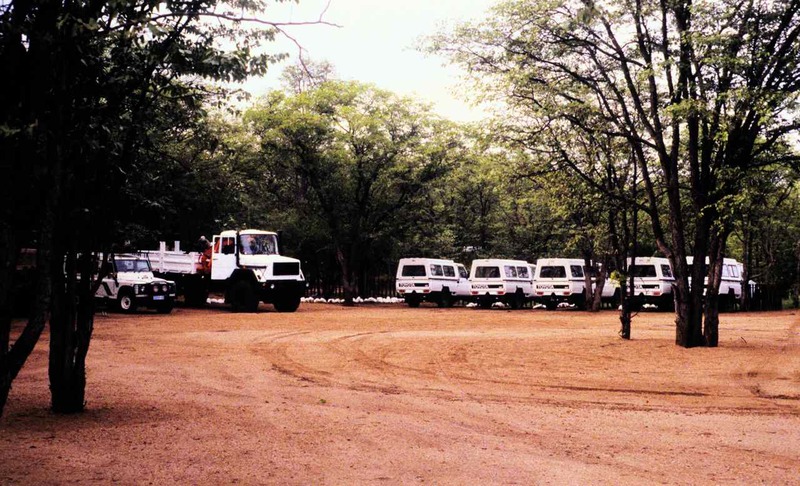 Figure 186- Underground drilling team (East Driefontein Gold Mine, Carletonville South Africa). 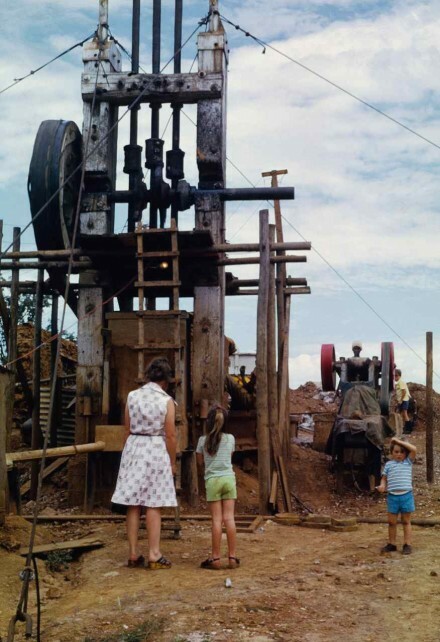 but by the time I left, 1975, boring machines were staring to be used in main haulages and raises (fig. 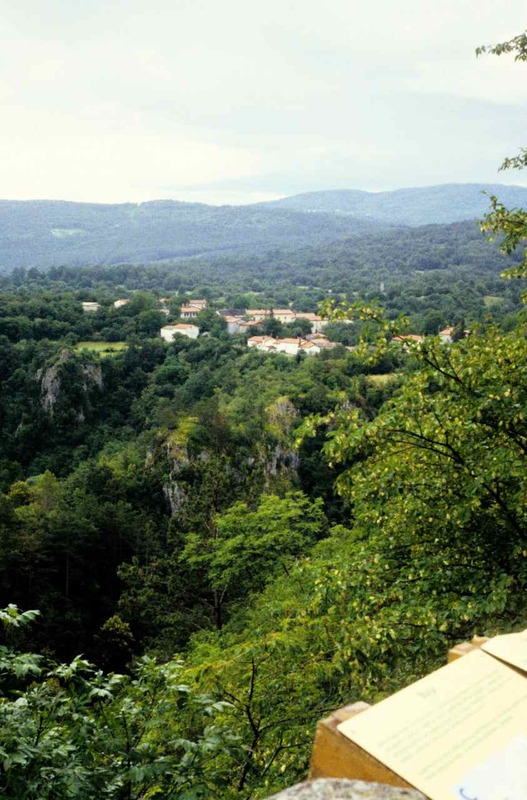 187). 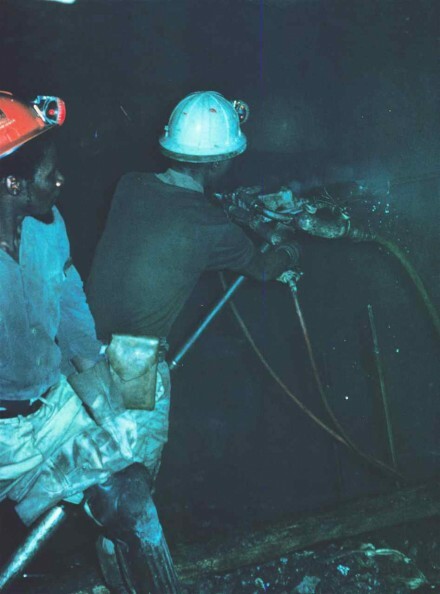 Figure 187 – Raise borer hole (East Driefontein Gold Mine, Carletonville South Africa). 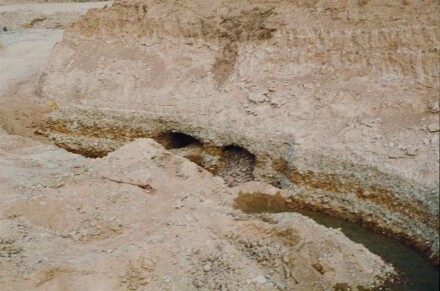 Stopes are the section of the mine from where the ore is extracted. 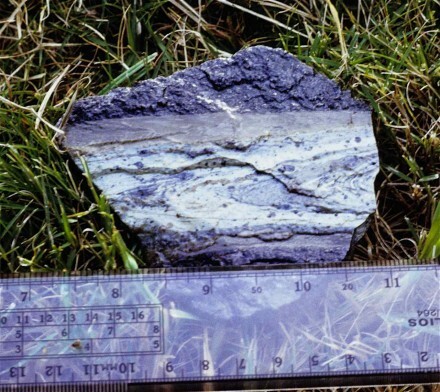 Since we are dealing with a sedimentary horizon, mine-wise speaking, it has a limited thickness but an unlimited length and width. 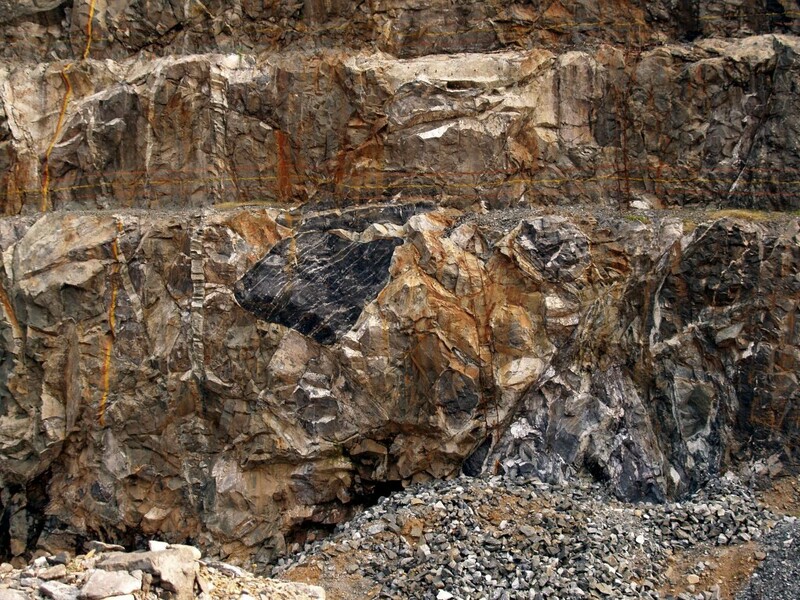 Thus wherever the grade is economical that layer of the rock sequence is entirely removed. 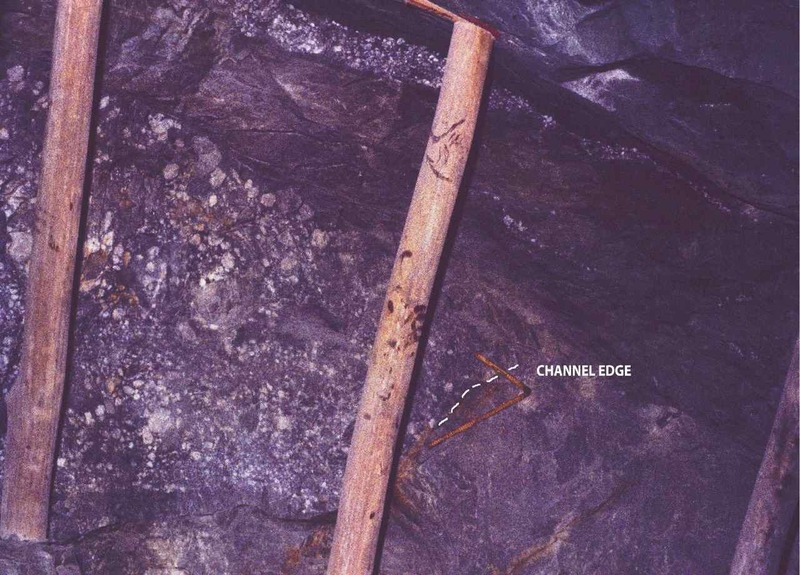 Figure 188 shows a stope face with the ore exposed. Figure 188 – Stope face (East Driefontein Gold Mine, Carletonville South Africa). 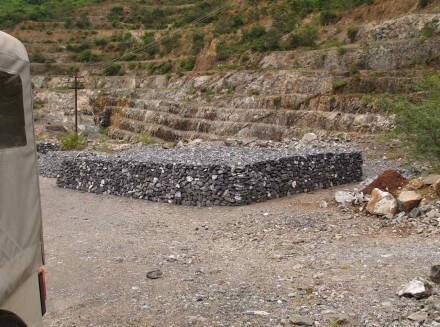 To use rock pillars, is to reduce the amount of extractable ore. 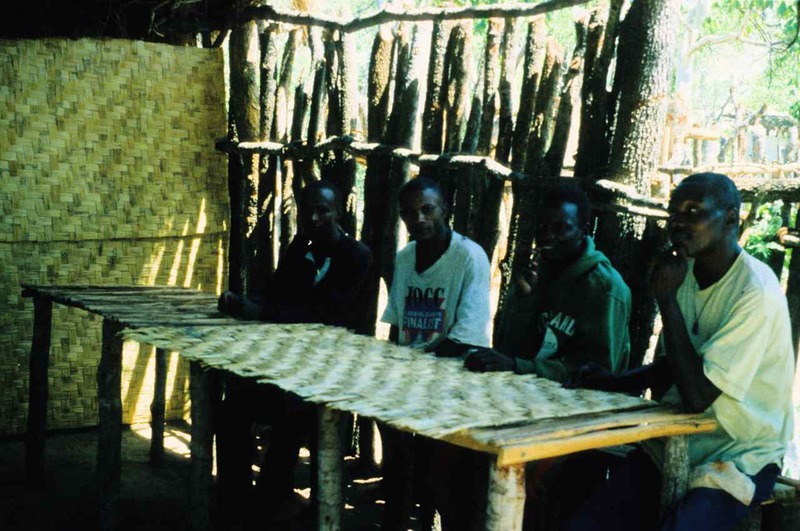 Thus they used wood log mats (fig. 189). The picture shows two pillars already in place and in the middle a loose pile of mats. Figure 189 – Sotpe pillar support (East Driefontein Gold Mine, Carletonville South Africa). Finally, observation of my assistant, Zé (fig. 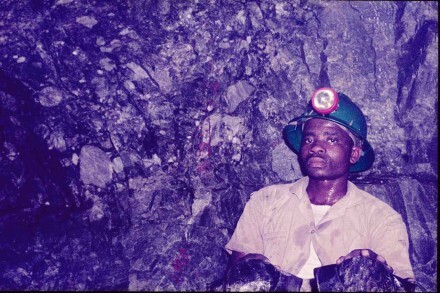 188), shows how hot it is in those mines. 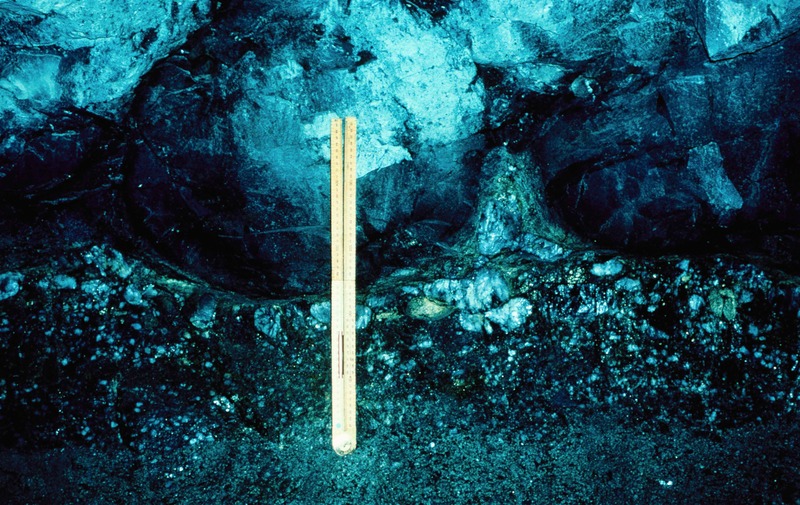 This picture was taken at about 1800m below surface and the rock temperature was close to 50ºC. 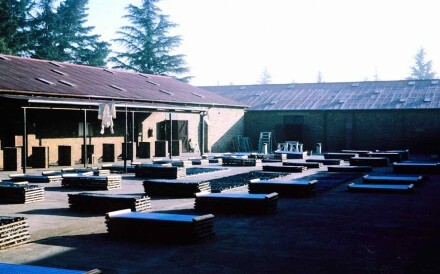 Work is only possible because refrigeration is used in the ventilation. 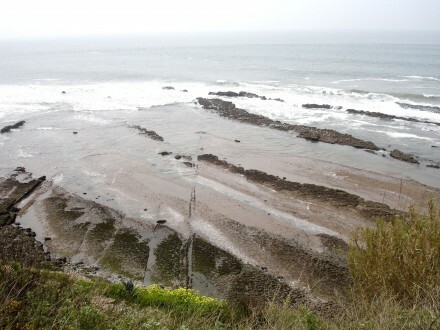 Marine – Wave Dominated; Tide Dominated; Bathyal/Abyssal. 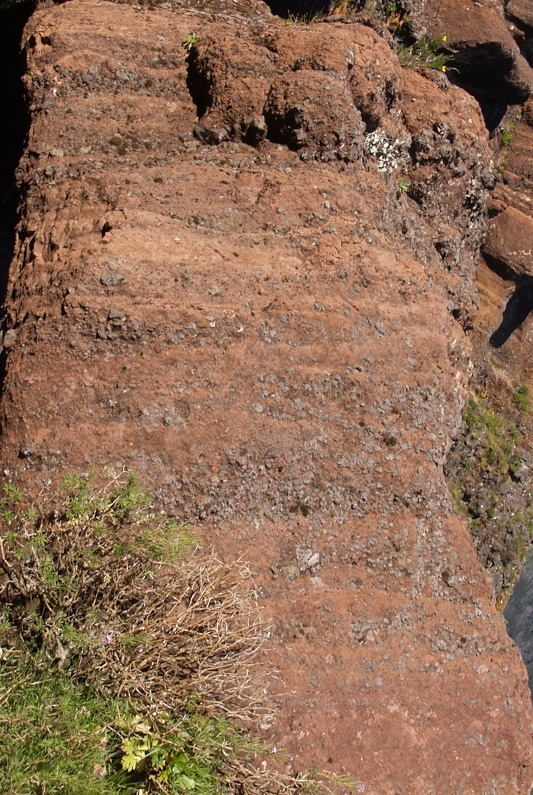 As with erosion, we start with the least energetic agent, air. 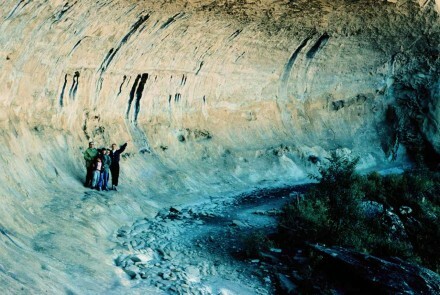 Aeolian sediments range in the very lower volumetric size in suspension and a marginally larger dimension in saltation. 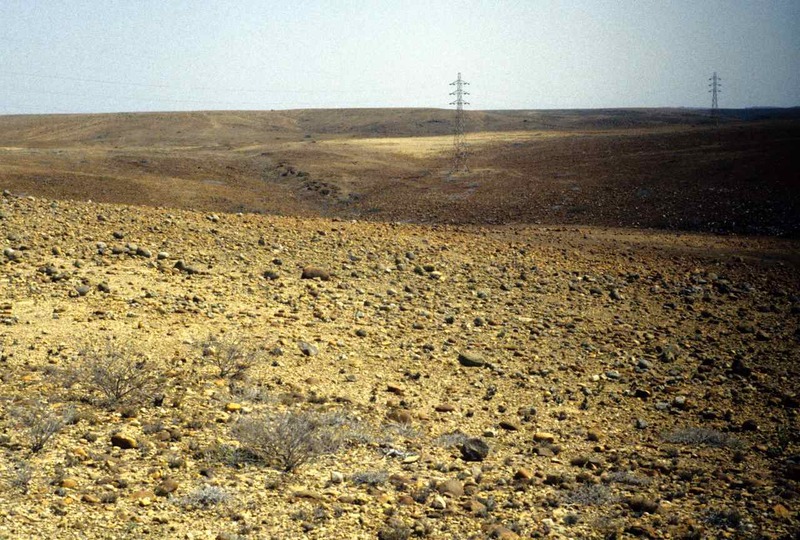 For wind to be an effective erosion/sedimentation agent, the ground must be unprotected which, under general conditions, means little or no vegetation. 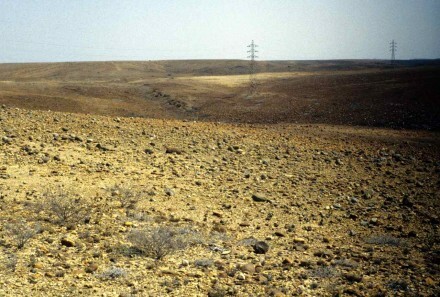 Hence the aeolian sedimentary environment is restricted to deserts (fig. 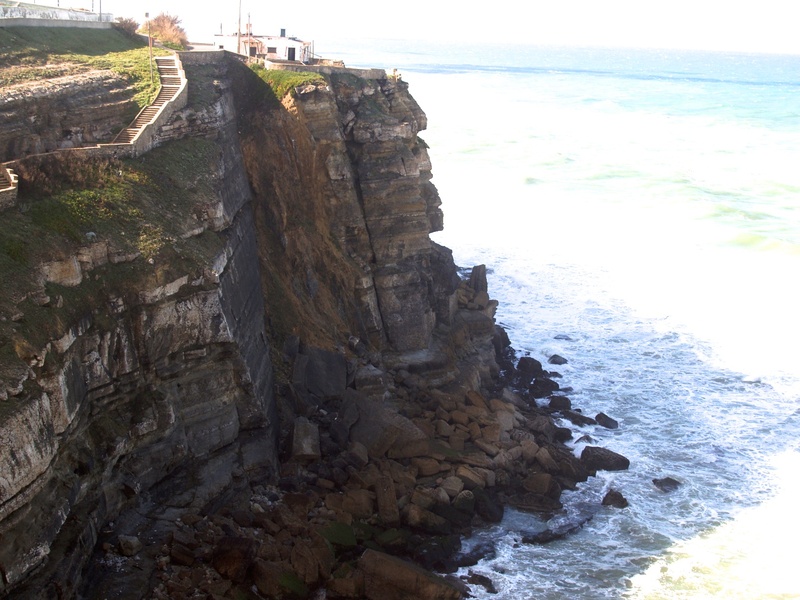 89) and unprotected coast lines (fig. 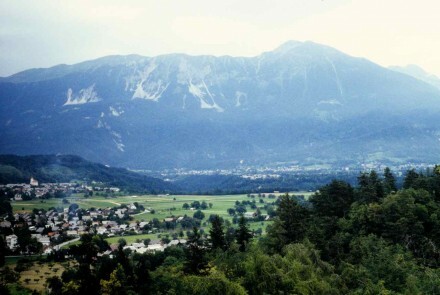 90). Figure 89 – Consolidated desert dunes (Namibe, Angola). Aeolian deposits consist of dunes formed by rather fine grained sand and characteristically have large scale cross-bedding, which refers to the internal arrangement of the sedimentary layers consisting of minor beds or laminae inclined to the principal bedding planes. 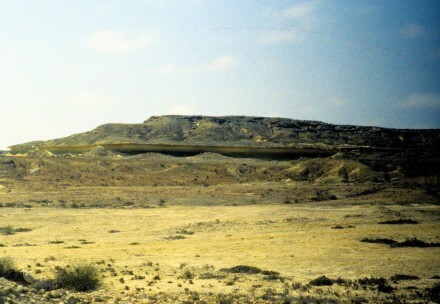 In the case of dunes, most sets of cross-strata have dips greater than 10º and deposition is done on the downwind side. Occasionally different sets of cross-strata are separated by low angle strata sets which represent deposition near the base of the dune. 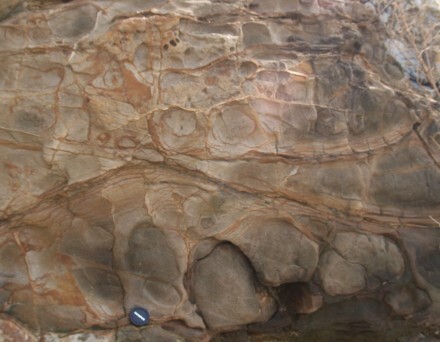 It is easier to identify cross-bedding in consolidated rocks. I have only seen consolidated desert dunes in the Namibe desert in Angola, but no cross stratification was apparent and, as figure 89 shows, if anything, planar stratification seems to be more likely. 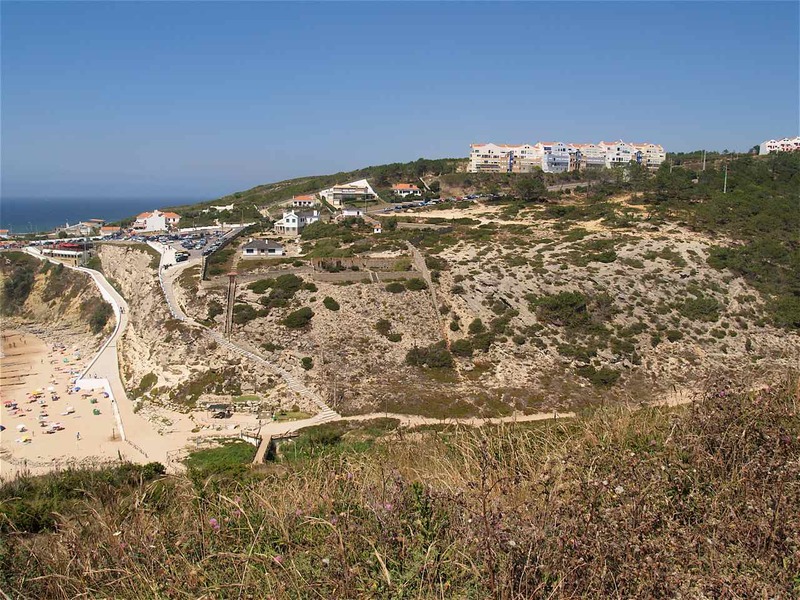 Figure 90 – Consolidated coastal dune (Magoito, Portugal). 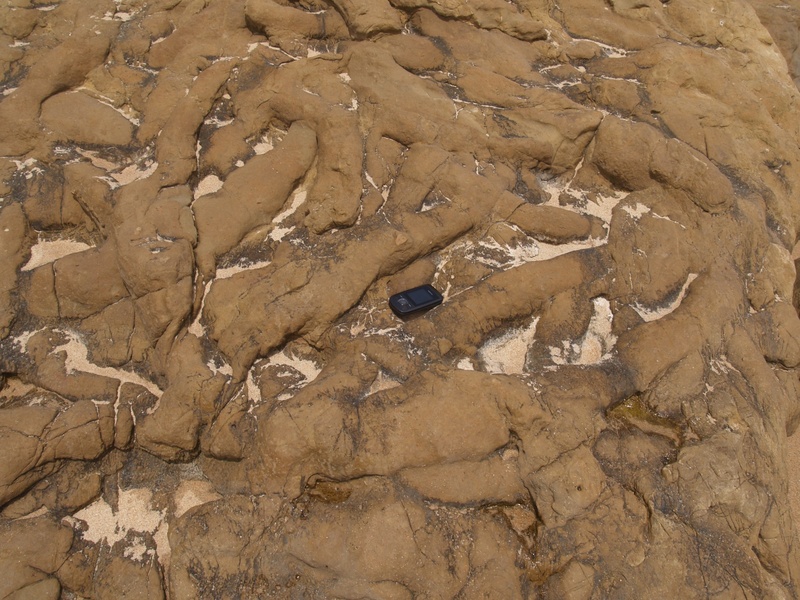 On the other hand, the cross bedding is absolutely distinct at the Magoito consolidated coastal dune. 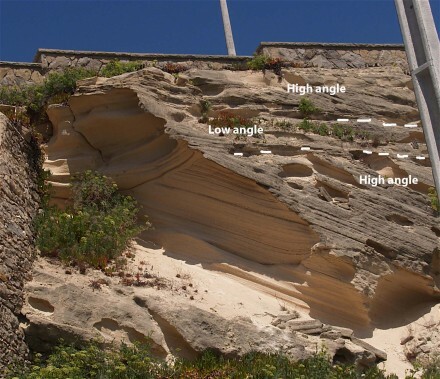 In figure 91 we see a set of moderately steep cross beds at the top, with an almost flat set below, but still quite high up the present dune’s cross section. 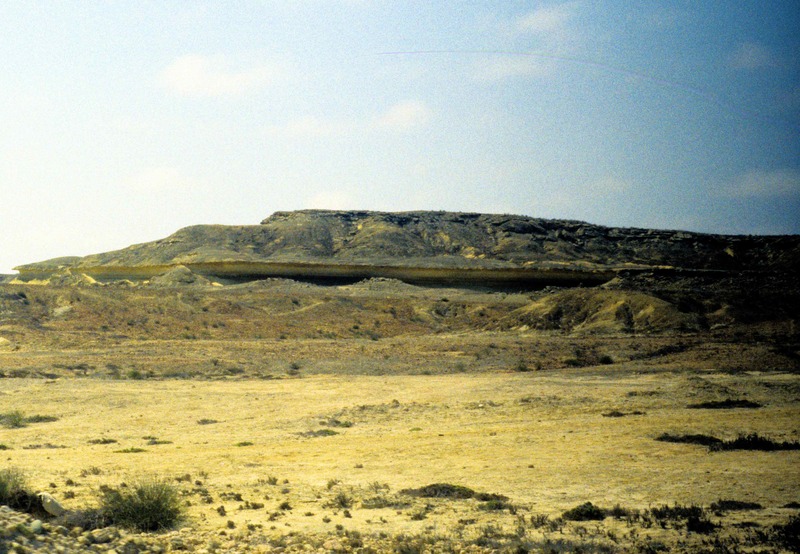 Since these flat sets tend to form at the base, we must assume that the upper set represents the base of the dune during a later migration stage. 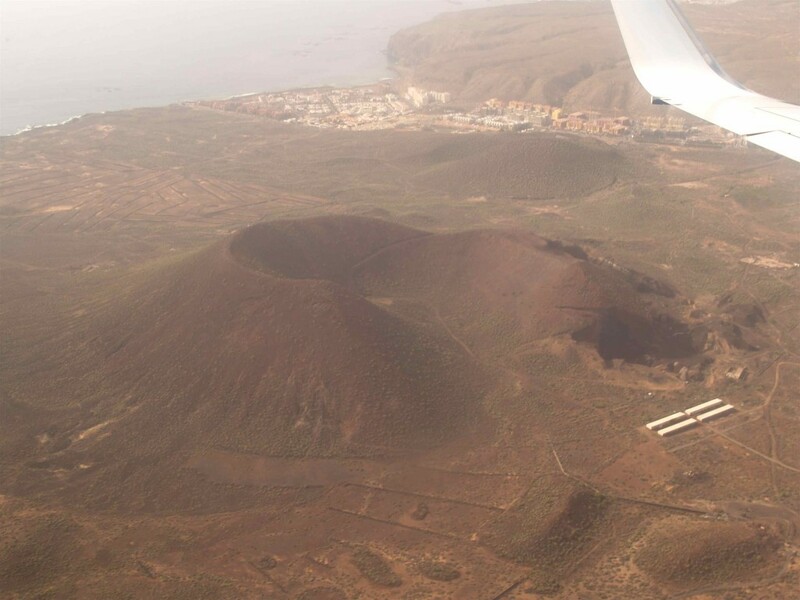 Barchan dunes, have a crescent shape with the horns extending downwind. Figure 92 – Glacier lake (Bled, Slovenia). and a rather small one in Portugal (fig. 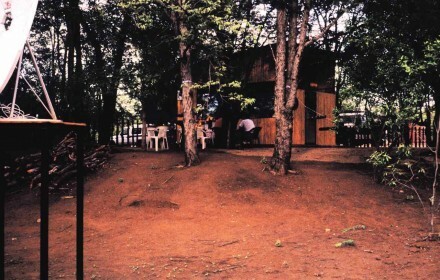 93). 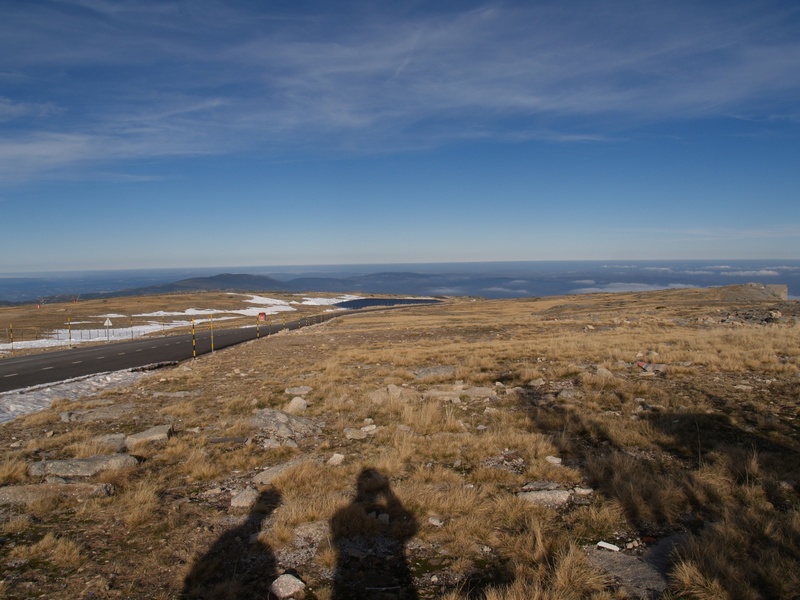 Figure 93 – Lagoa Comprida, Serra da Estrela, Portugal. This is the general term for the depositional environments related to the flow of water on land. 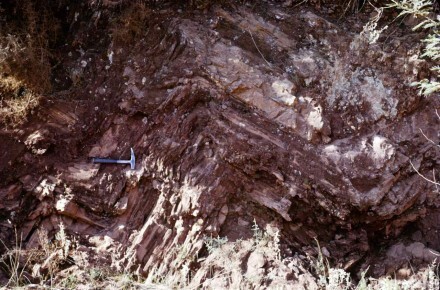 The term Piedmont means at the base of a hill, and its most important sediment type is the alluvial fan which is a low, outspread, relatively conical succession of alternating rather laminar beds of poorly sorted clasts, deposited by water flash flows from narrow mountain valleys upon a flat surface. 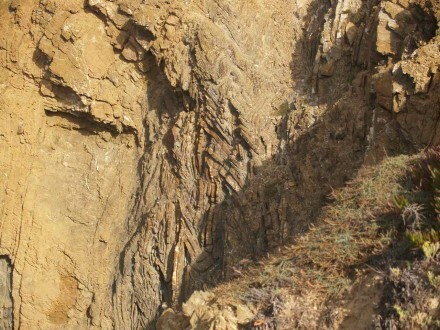 Each of these stacked sedimentary layers represents individual flush discharge periods caused by heavy rain downpours. 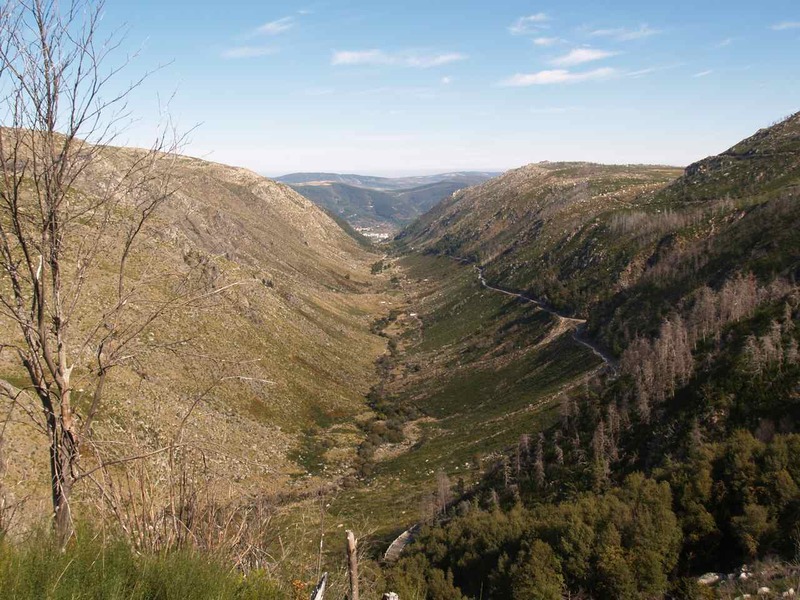 I also include here sediments deposited on ravines as well as mountain river valleys. That is, those characterised by high energy environments, but with short periods of action and thus with very limited transport and consequent poor sorting. If the rock scree shown in figure 46 had consolidated, it would be classified as a piedmont type deposit, more specifically, a debris flow, which is when large clasts predominate. 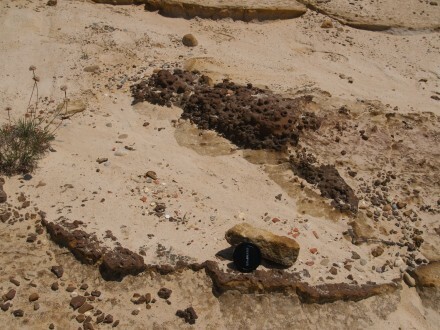 One of the depositional facies of the gold bearing Ventersdorp Contact Reef (VCR), which stratigrafically lies at the very top of the Witwatersrand Supper Group, is a classic example of a debris flow, with figure 94 showing two separate flow periods of large clasts with an intermediate, shorter flow period of coarse grained sand. 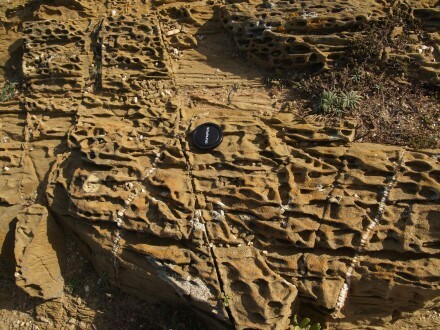 Notice also how poorly rounded, packed and sorted the clasts are. 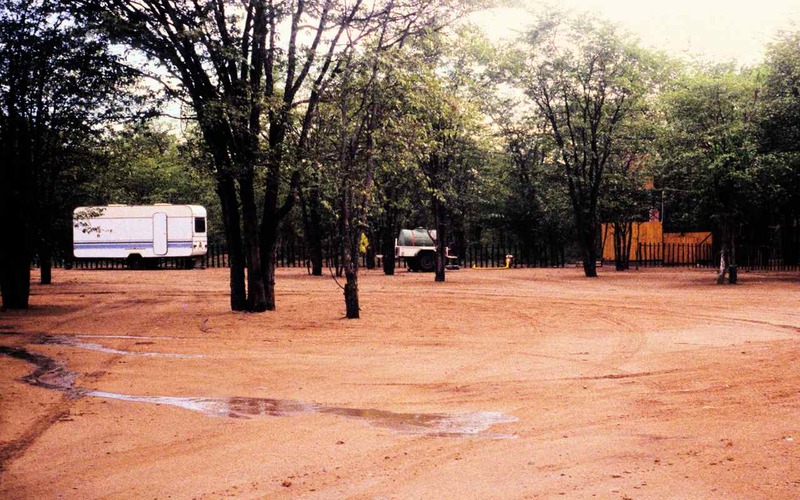 ￼Figure 94 – Debris flow type Ventersdorp Contact Reef (East Driefontein Gold Mine S. Africa). 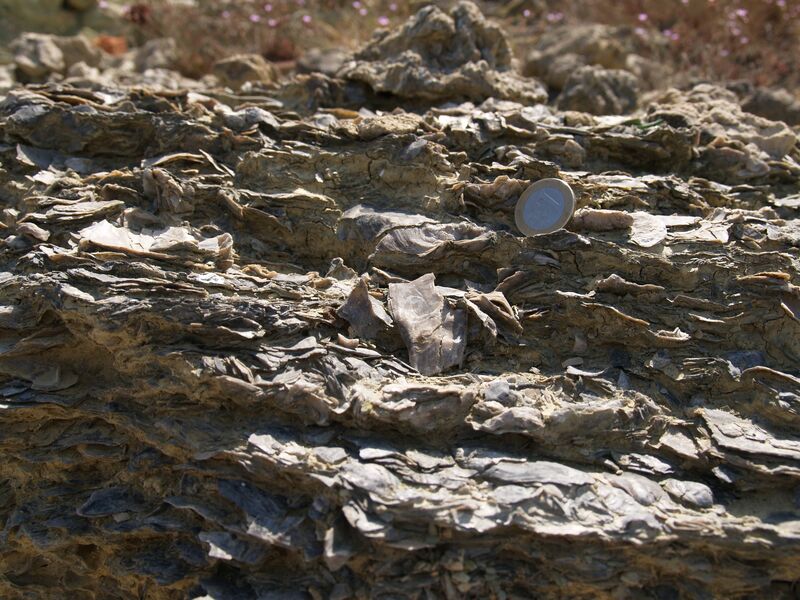 Often too, the composition of these clasts is very varied (figs. 95 and 96). 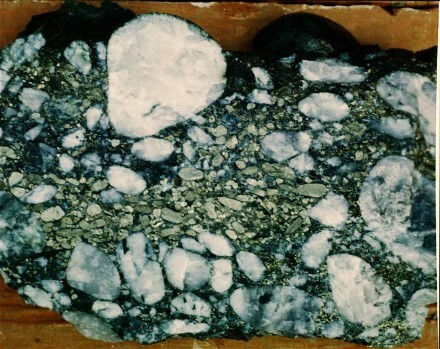 Figure 95 – Example of clast composition variation within the VCR (East Driefontein Gold Mine S. Africa). 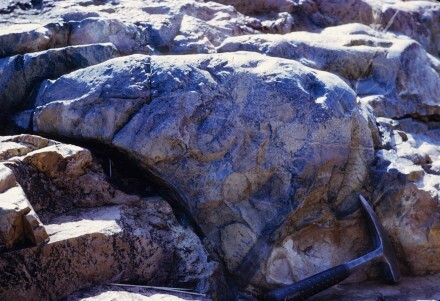 Figure 96 – Another example of clast composition variation within the VCR (East Driefontein Gold Mine S. Africa). 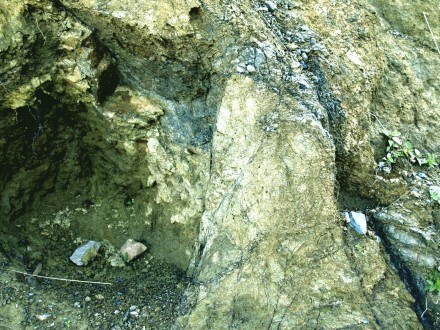 Figure 97 shows the present day infilling of a ravine, with a very unsorted assemblage of predominately small clasts. 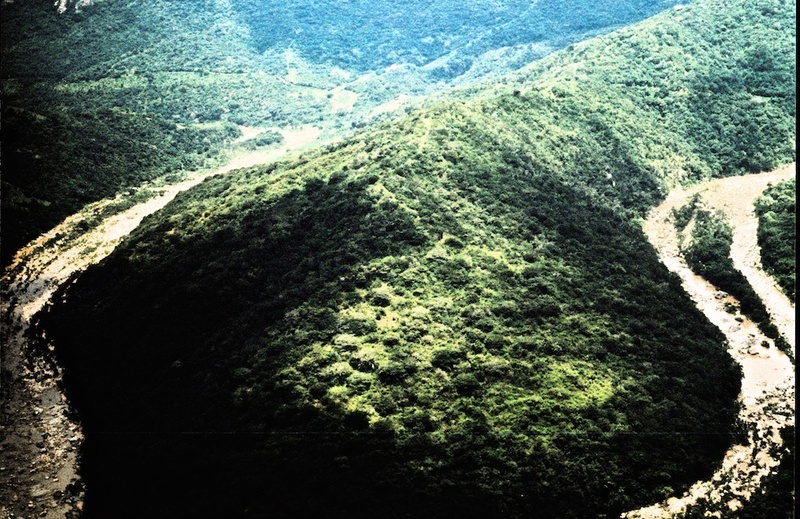 Figure 97 – Present day infill of a ravine (view approximately 2 m high) (Barberton Mountain Land, South Africa). 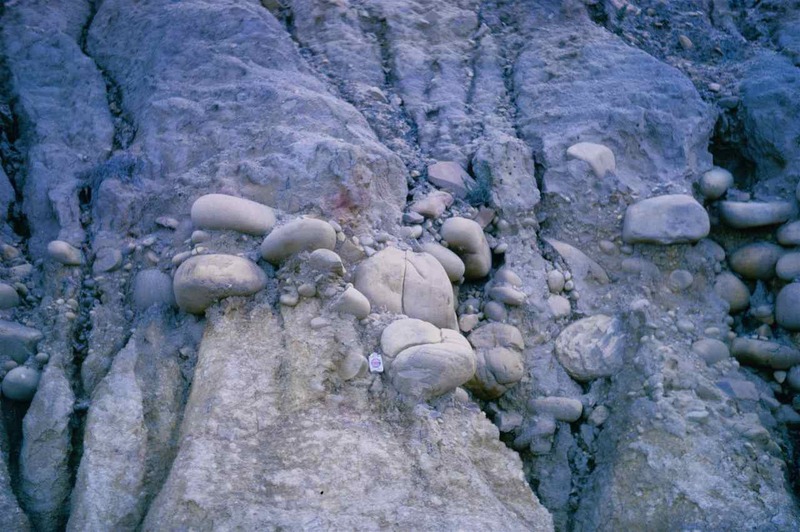 Figure 98 shows a close up of the infill at the edge of a ravine cutting across a Jurassic age limestone where again, the clasts are very unsorted and very poorly rounded. However, at the bottom of the ravine there is a considerable concentration of the larger clasts (fig. 98B). Figure 98C shows another example, of the VCR, but this time it is infilling the base of a ravine. 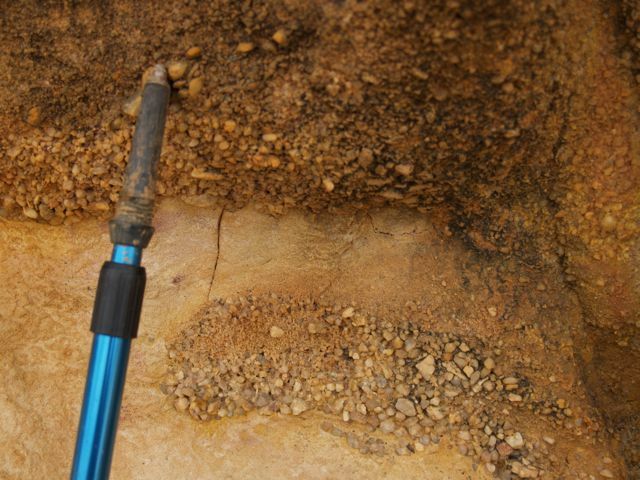 Again the similarity with the infill at the base of the ravine in the limestone of the previous figure is also quite distinct. 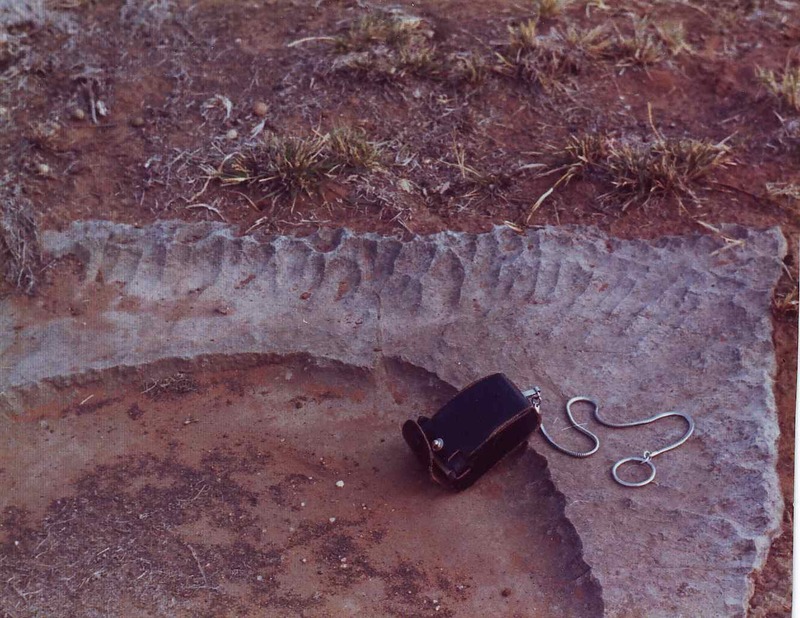 Figure 98C – VCR infill at the base of a Ventersdorp age ravine (stope hight, approximately 1.5 m) (East Driefontein Gold Mine S. Africa). 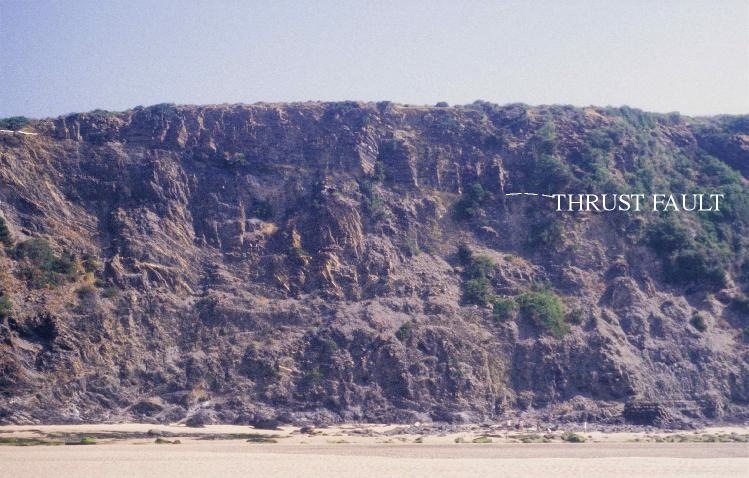 Fluvial depositional environments refer to sediments related to rivers that are past the transient stage. Of the different fluvial facies, the first important stage of deposition is perhaps the braided flow regime, where the master stream separates into numerous channels. The energy level is still very high and the deposition of heavy clasts predominates, forming inter-tonguing lenses or small sheets of sediments characterized by cut and fill structures and abrupt changes in particle sizes. 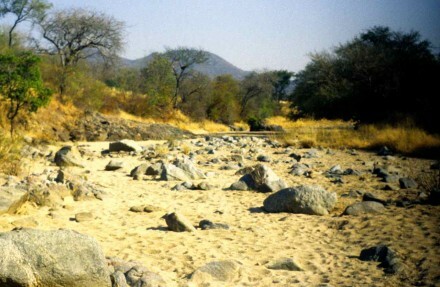 A reasonably contemporaneous example can be seen along the Orange River near Ulco in South Africa, where inter-tonging sand and gravel bars occur and the gravel sections are locally mined for alluvial diamonds (fig. 99). ￼Figure 99 – Braided river gravel bar, mined for alluvial diamonds (view approximately 4 m high) (Orange River, Northern Cape, S. Africa). Detailed observation of this type of environment shows quite nicely the relationship between adjoining bars of coarser and finer clasts (fig. 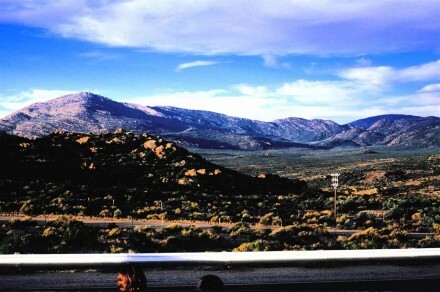 99B). Naturally this alluvial high energy regime is also a sorting mechanism, where the most important factor is mass rather than volume and an obvious example is shown in figure 100 where we have large well rounded quartz pebbles with an SG of 2.6, associated with much smaller, also well rounded, pebbles of pyrite (buck shot), with a significantly higher SG of 5.0. Gold, with an even higher SG of 18, consequently needing much smaller dimensions is also present. 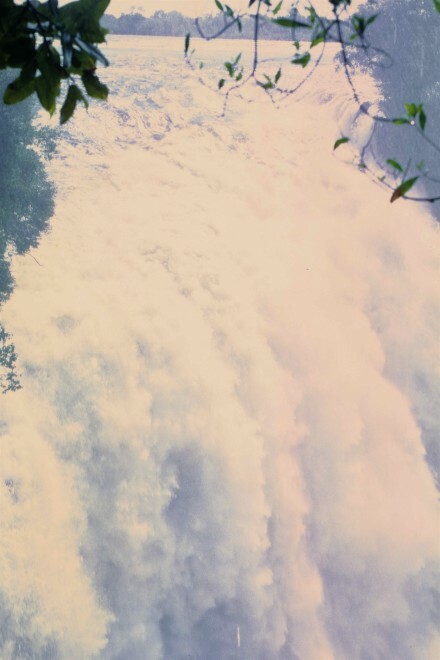 In fact, it is seldom visible by the naked eye. In this case though, if my memory does not fail me, at the bottom right hand corner of the picture, those small shiny specks are gold. 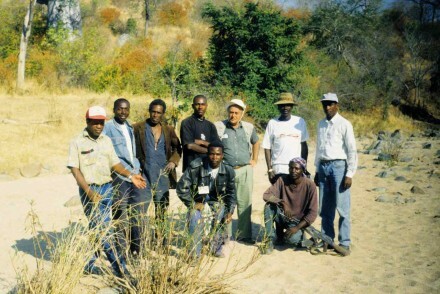 Returning to figure 99, it is now more easy to understand why the search for diamonds concentrates on the gravel lenses, even though the diamond’s SG is not that high, 3.5. 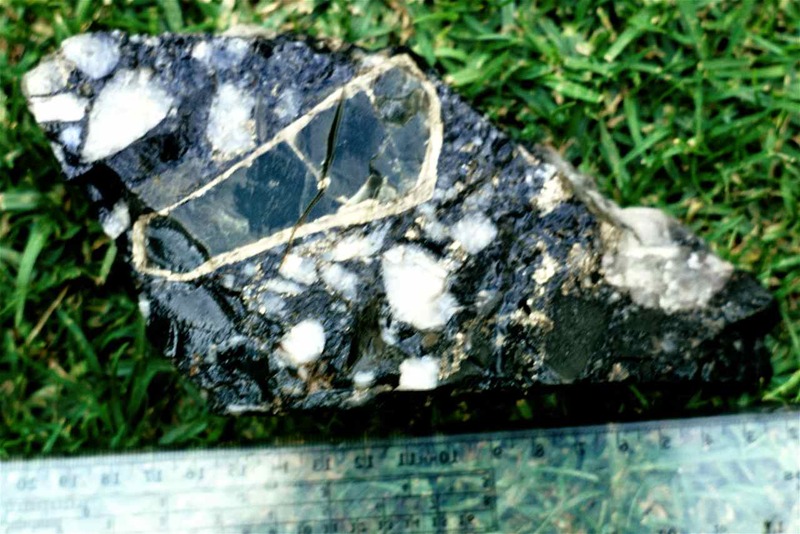 Figure 100 – Channel type VCR rich in “buckshot” pyrite (sample approximately 20 x 10 cm) (East Driefontein Gold Mine, Carletonville, S. Africa). 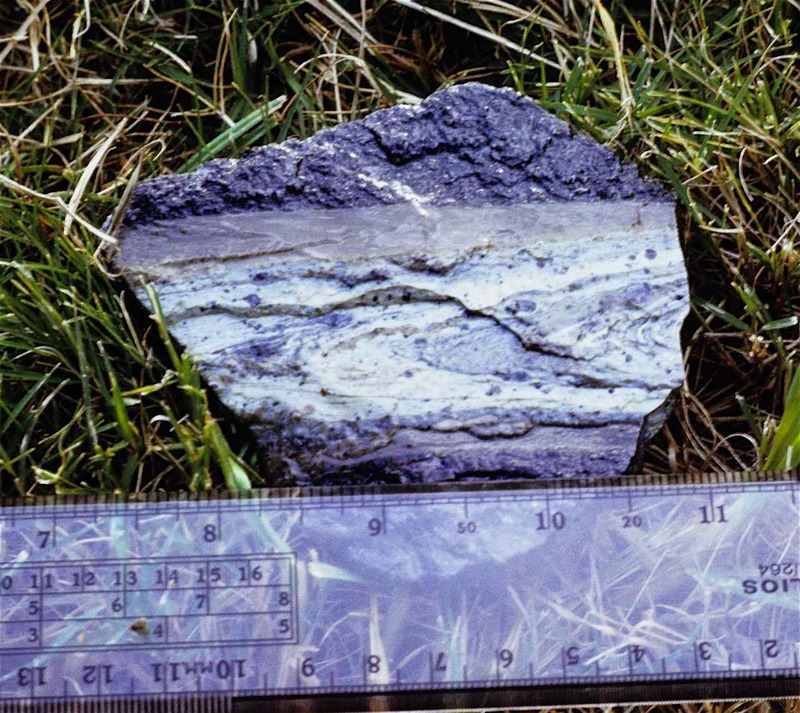 Grading, defined as the gradual upward reduction of clast size within a stratigraphic succession, is caused by the diminishing flow strength of the transporting medium. 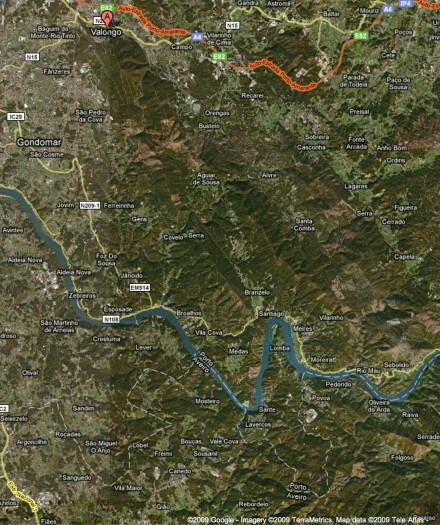 Thus, it must also be included here because it happens as the river reduces speed when reaching a section of its course with a lower gradient. Once again we have a very good text book example from the VCR (fig. 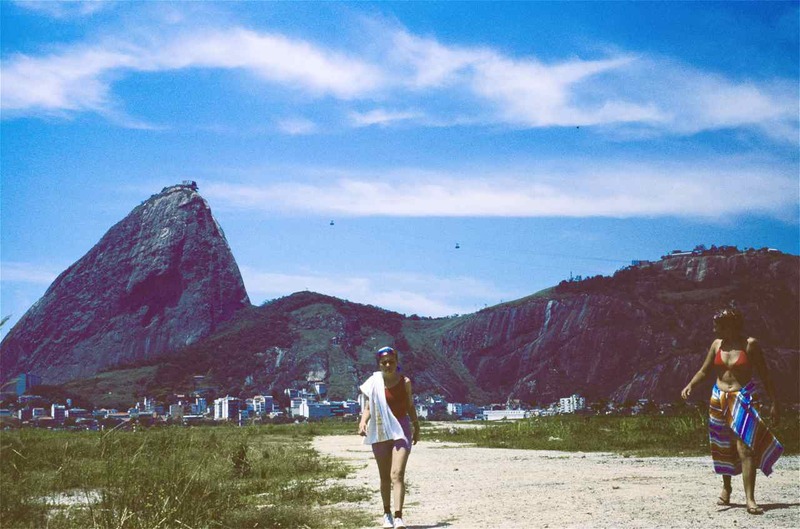 101). 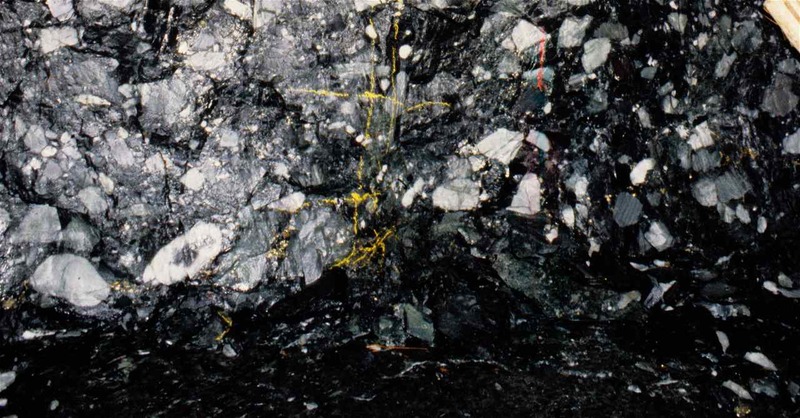 Figure 101 – Graded bedding in VCR (East Driefontein Gold Mine, Carletonville, S. Africa). 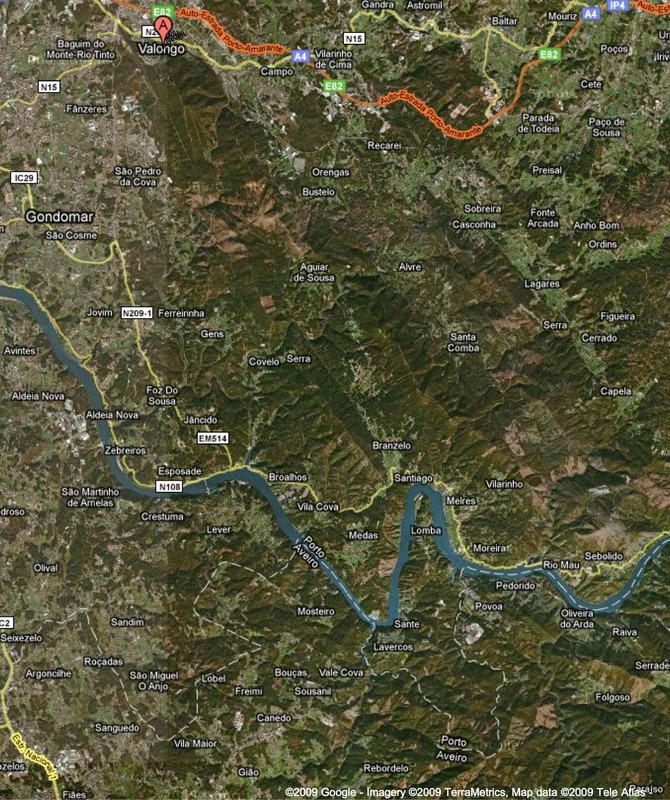 The meandering stage of the river is when high levels of deposition really begin. 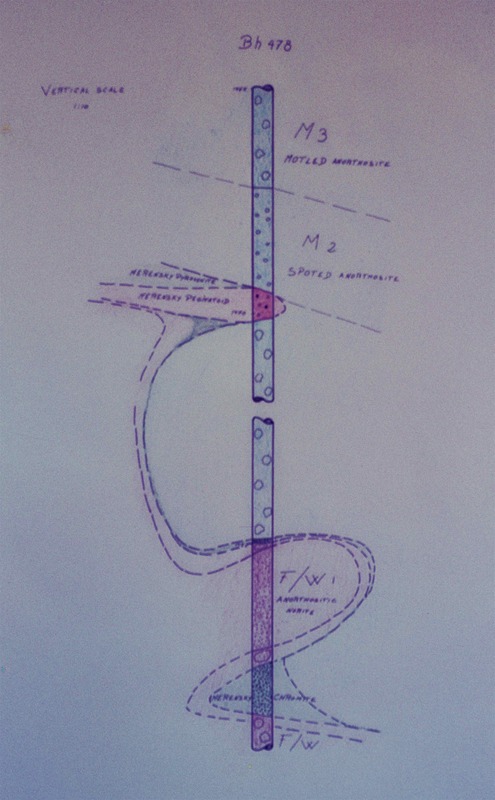 Meandering starts developing with the reduction of the water velocity, where the heavier gravel and sand start to deposit, preferentially at the inner side of the bends, where the speed is least, thus forming point bars which, with time enhances those bends. 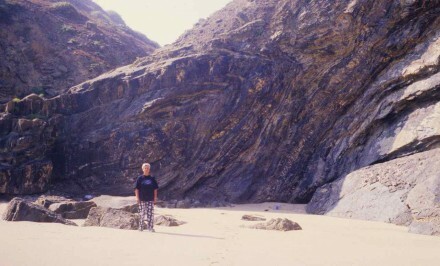 The sand concentration is quite distinct in figure 102. 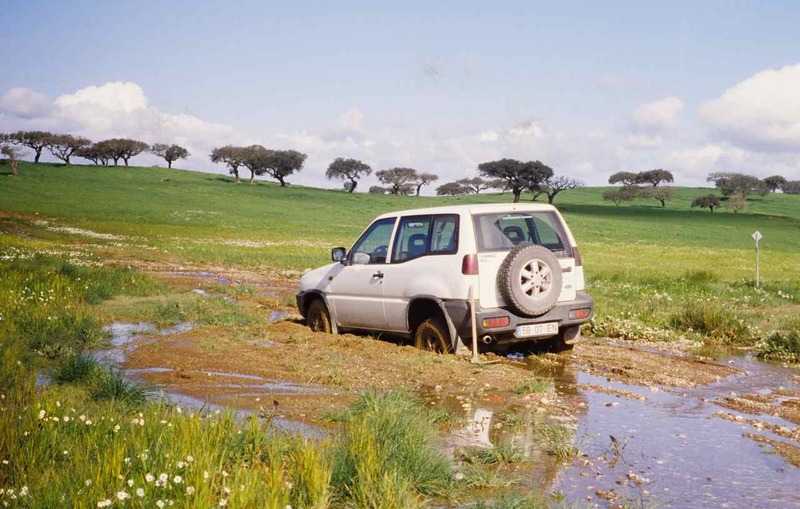 During flood periods, the river overflows its banks, dramatically reducing the flow speed and depositing the very fine silts and muds in suspension, giving rise to rich agricultural soils over the flood plains, also quite distinctly seen. 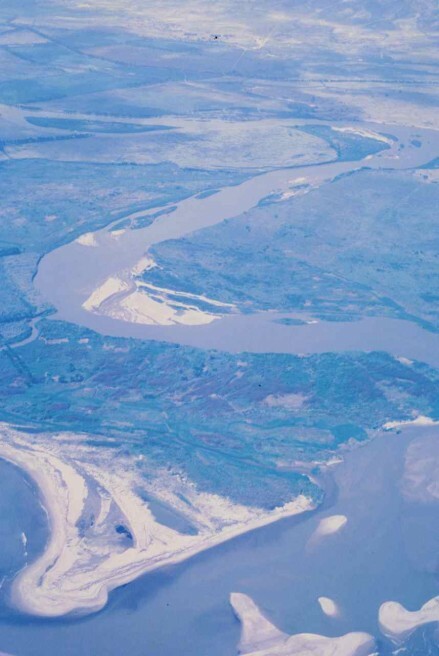 Figure 102 – The Catumbela River meanders and its mouth into the Atlantic Ocean (Angola). 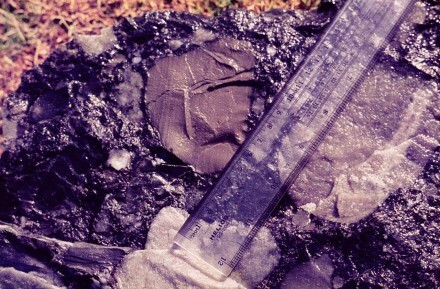 Figure 102B – Water puddle on clay rich ground showing the beginning of mud crack formation (Salvadorinho clay pit, Rocio ao Sul do Tejo, Portugal). 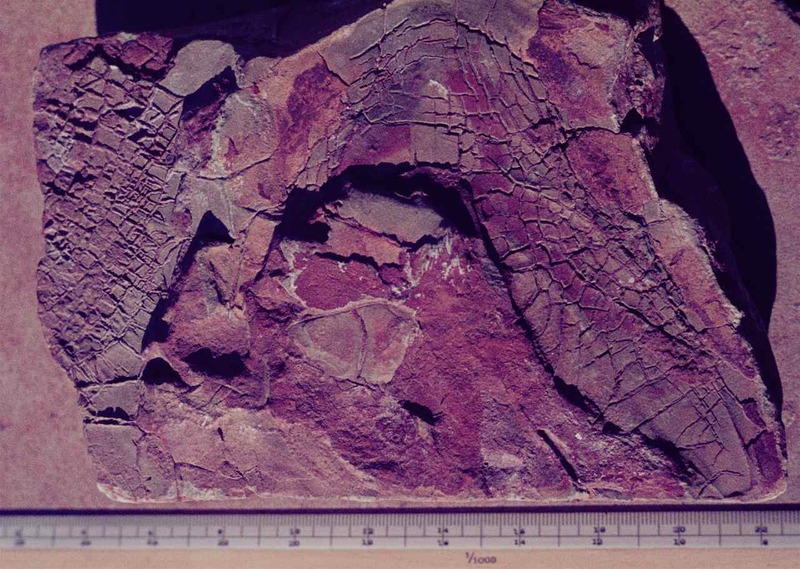 and figure 102C, shows consolidated mud cracks as well as casts. 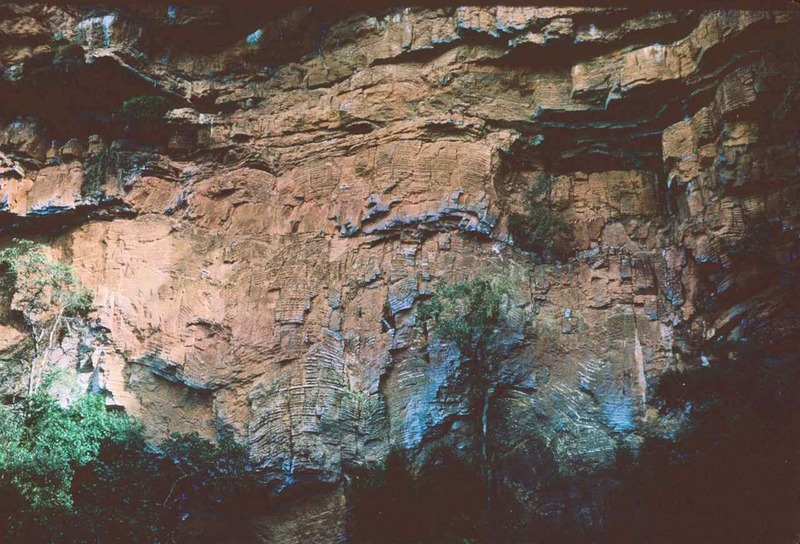 figure 102C – Cast of consolidated mud cracks in mudstone (Transvaal, S. Africa). Figure 102D – Preserved mud cracks in limestone (Ulco. 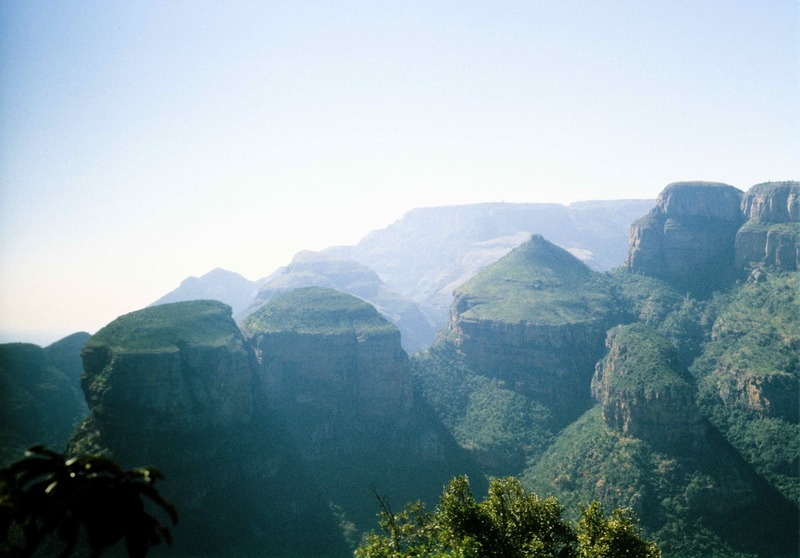 S. Africa). 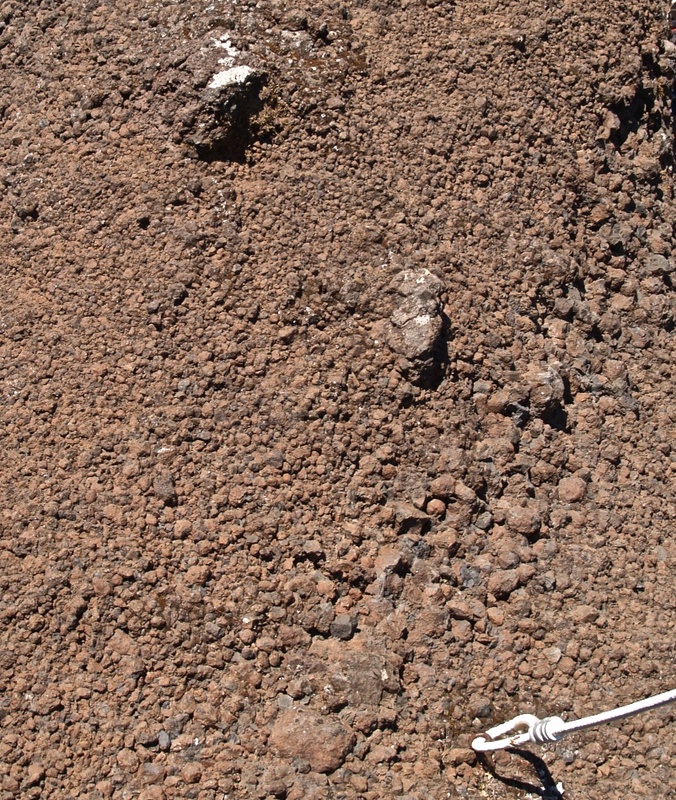 where even the actual curling at the edges of the mud crack slabs was preserved (fig. 102E). As for the slight ripples along the edges and the indentations at the centre of some of the mud plates, I assume they were caused by rain drops, just before there was a new inflow of sediments which covered and thus preserved them. 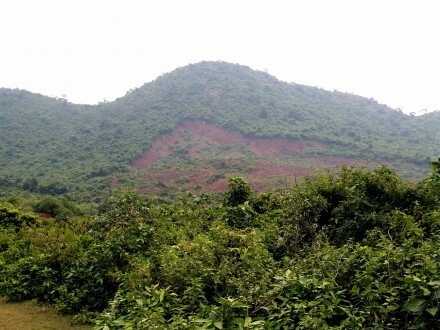 Finally, under this kind of fertile flood plane environment, we should expect abundant fauna and flora. 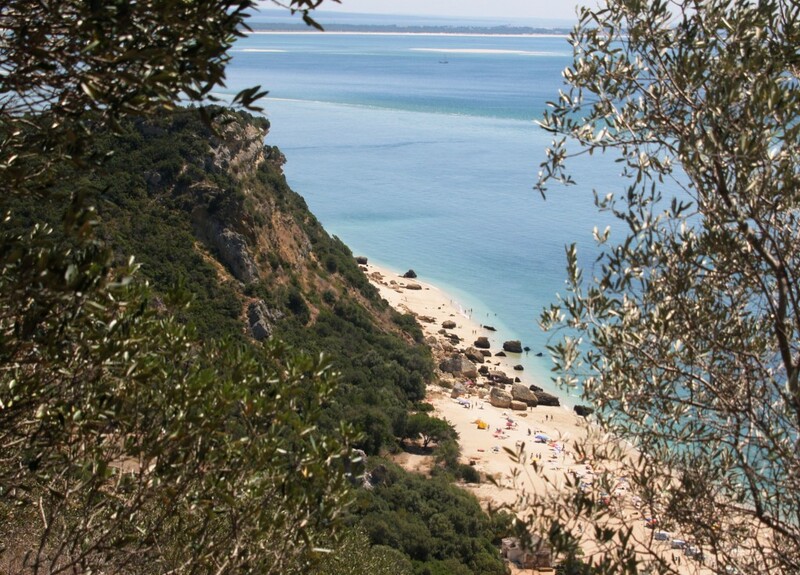 The richest portion must surely be the estuary where the river water rich in all sorts of dissolved organic matter, contacts the ocean’s salt water. 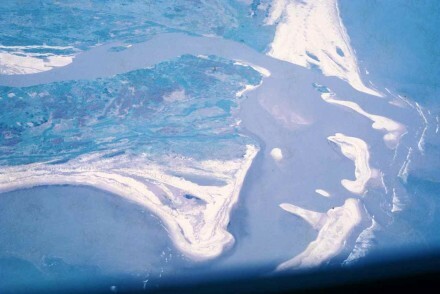 Evidence of the fertility of this type of environment can be seen where there is a significant tidal variation, because the mud-flats get exposed (fig. 102F). 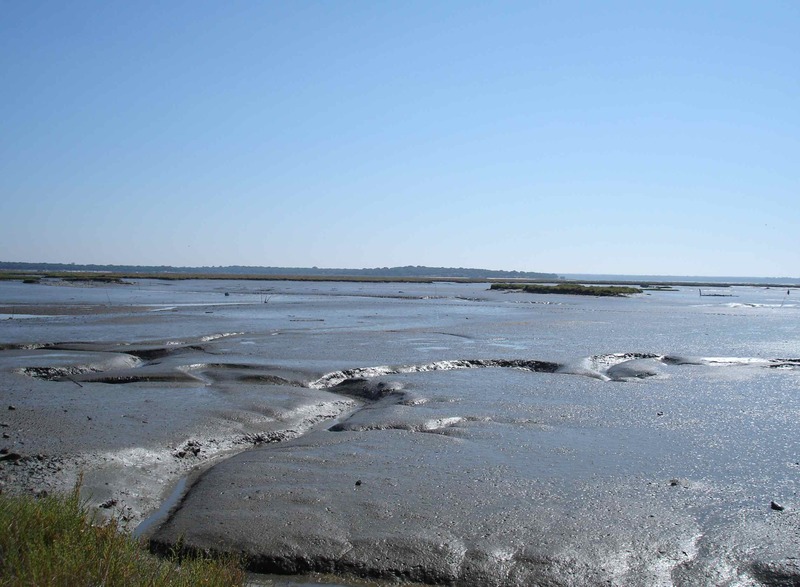 Figure 102F – Present day mud flats rich in burrowing animals (Sado River Estuary, Portugal). When these sedimentary layers are preserved, the signs of the various types of animal burrowing gives very distinct characteristics to those horizons that are termed bioturbated beds (fig. 102G). 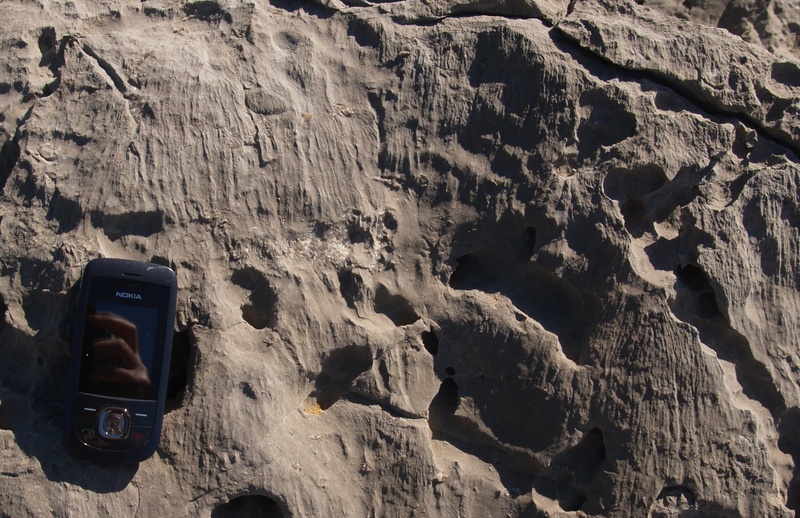 Figure 102G – Preserved burrowing casts in a clayey limestone (bioturbated) (Praia do Guincho, Cascais, Portugal). Under sedimentation, we are interested in prograding coast lines, that is, where sedimentation is taking place, with a consequent shore accretion, Figure 73B shows very nicely a prograding situation with a well defined on-lap phase. 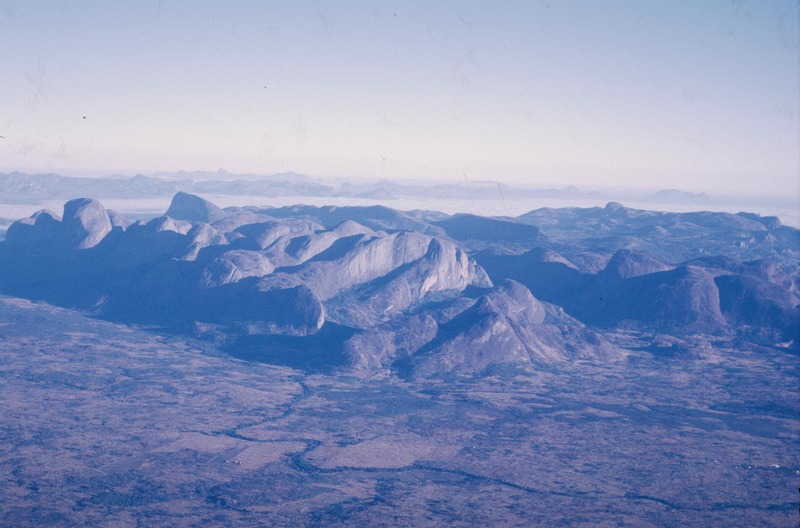 As for our example of the Catumbela River in Angola, it is impressive that even though the river is quite large and carries vast quantities of water, its mouth is actually parallel to the cost, pointing northwards (fig. 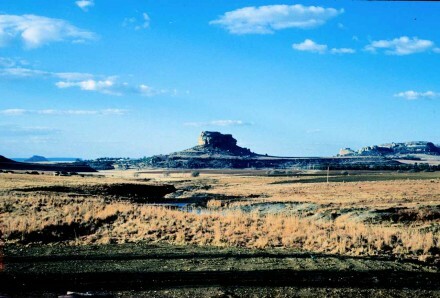 103). 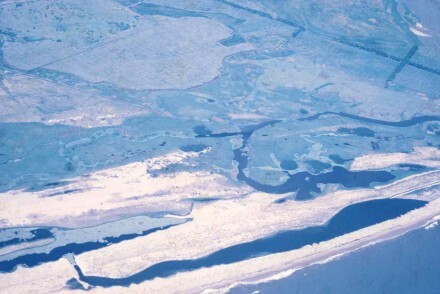 Figure 103 – The mouth of the Catumbela River (Angola). This is caused by the northwards flowing Benguela sea current which is even stronger. 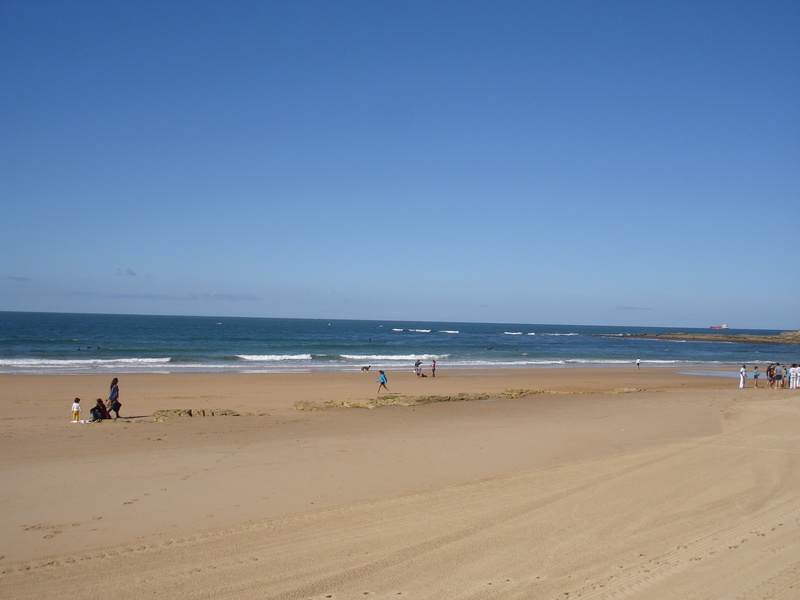 Hence, as the river water impacts the ocean current, its speed is dramatically reduced and the bed load particles are deposited, forming a sand barrier termed off shore bar, which progressively grows northwards. 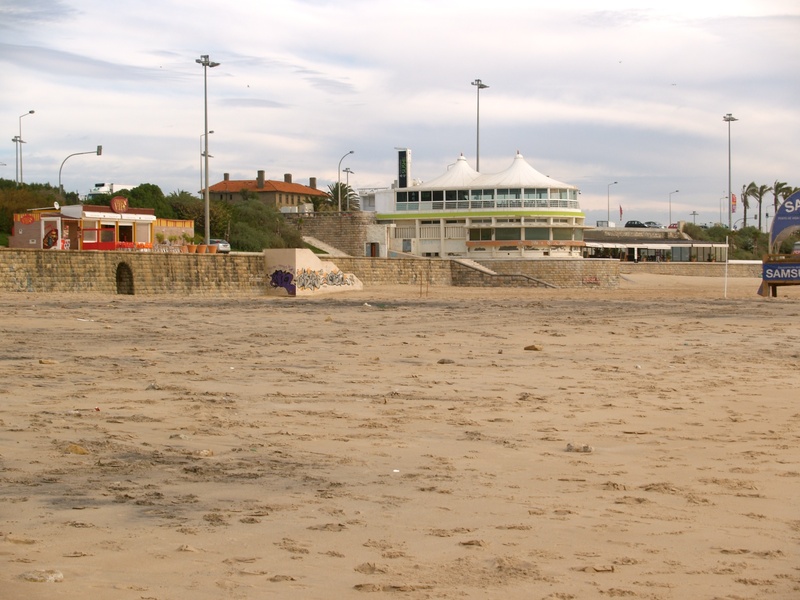 With time, this bar widened and the shore line pro-graded giving rise to sand banks, lagoons and marshes (fig. 104). Figure 104 – The coast line just N of the river mouth with a pro-grading marshy shore line (Catumbela River, Angola). 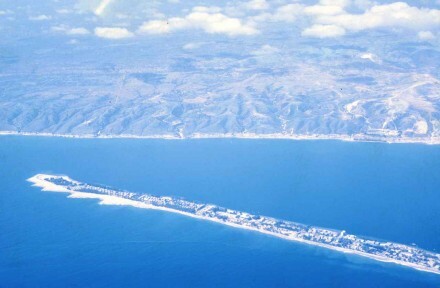 Figure 105 – Wide prograding coast line with the Lobito harbor (Angola). 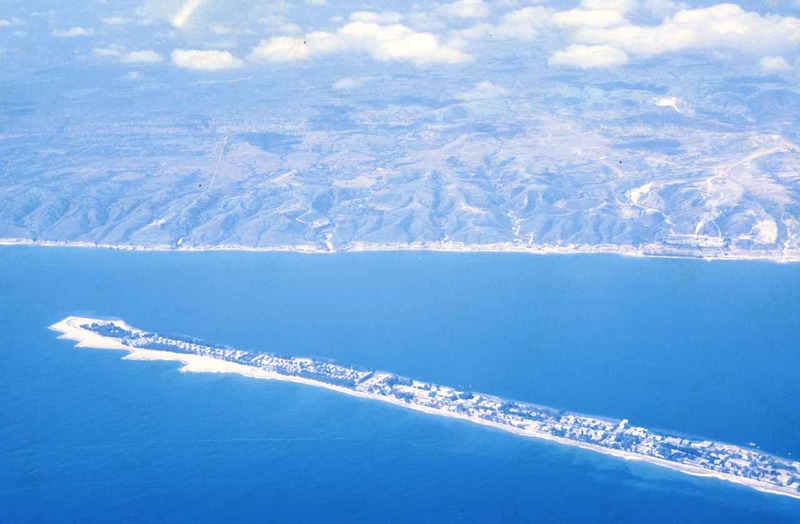 with the harbor having been formed by the natural extension of the off shore bar created by the Catumbela river sediments (fig. 106). 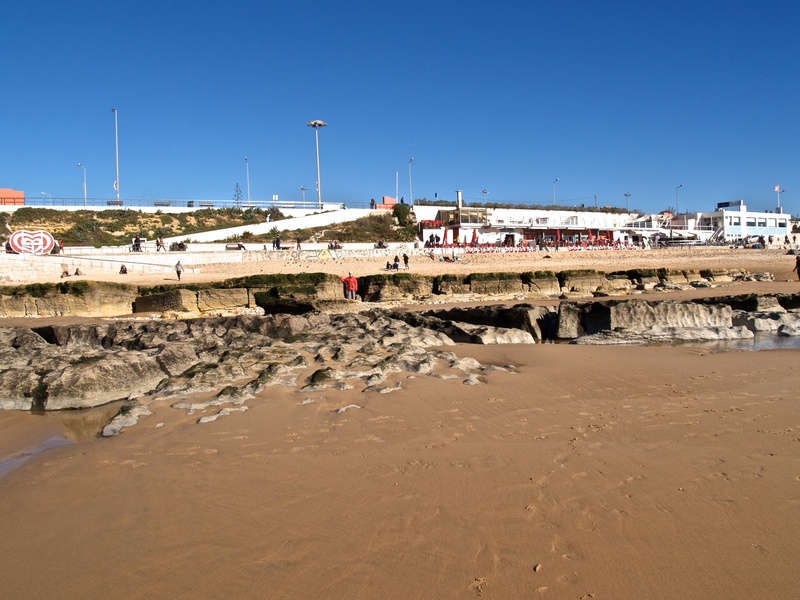 figure 106 – The sand barrier protecting the Lobito harbour (Angola). 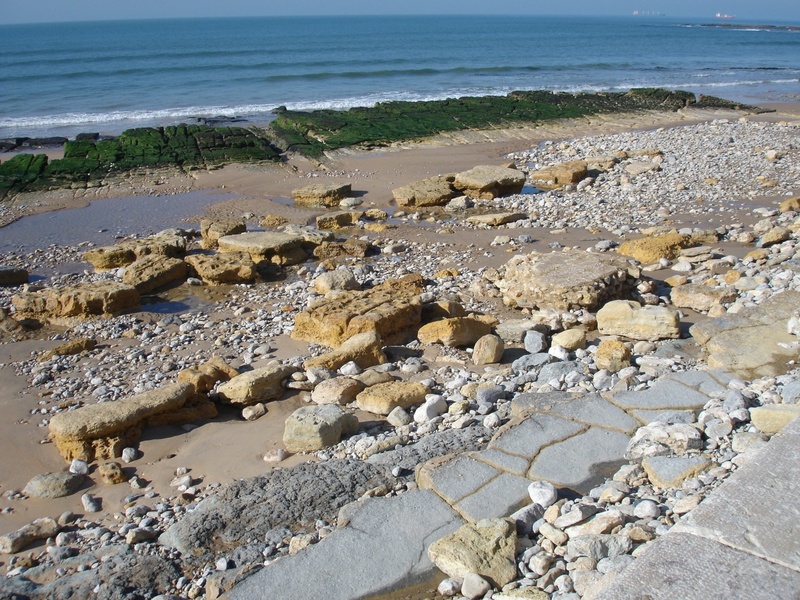 A very conspicuous feature of these arenaceous coastal environments is the development of ripple marks. The example shown in figure 106B is quite striking because the lower bedding plane has current ripples, that is, asymmetric, indicating water flow, suggestive of an environment still under the influence of a river or, with sea currents. 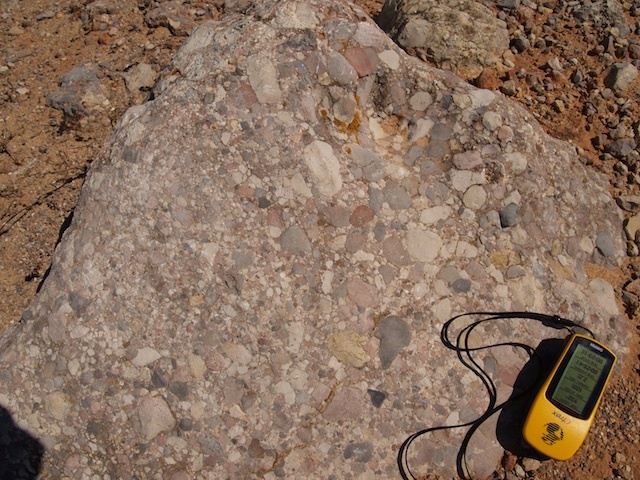 On the other hand, the next bedding plane only 5 cm above, has symmetric ripples, indicative of still waters where the ripples are developed by waves caused by the wind. 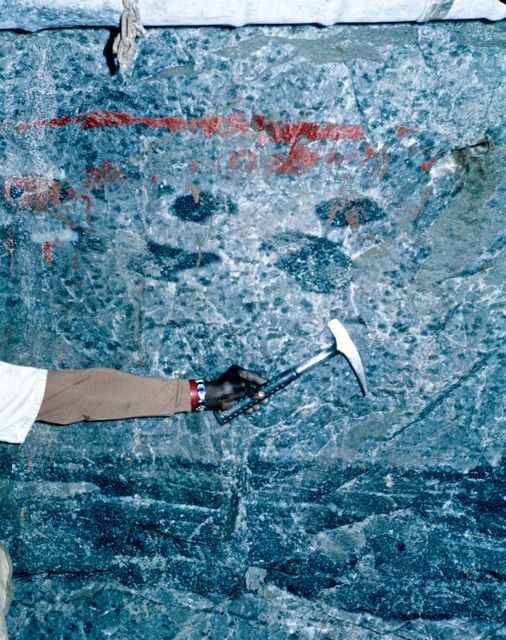 Hence, there is quite a marked facies change, possibly within a relatively short geological time. Significant too is the orientation difference between the two sets of ripples. 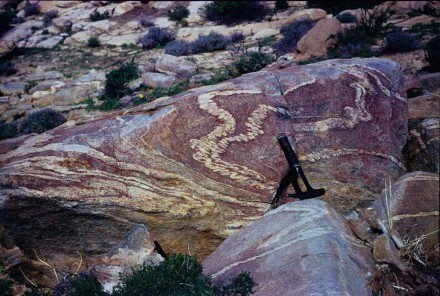 Figure 106B – Ripple marks in quartzite (photo width, approximately 1.5 m) (Ferro Quarry, Pretoria, S. Africa). and figure 107B for a rather unique case where the cross-bedding is enhanced by pyrite. 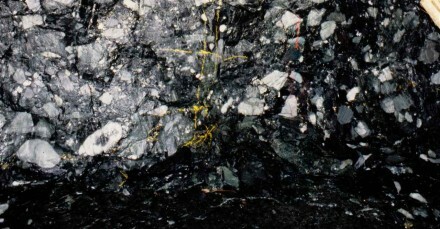 Figure 107B – Cross-bedding enhanced by pyrite in Main Reef internal waste (East Driefontein Mine, Carletonville, S. Africa). 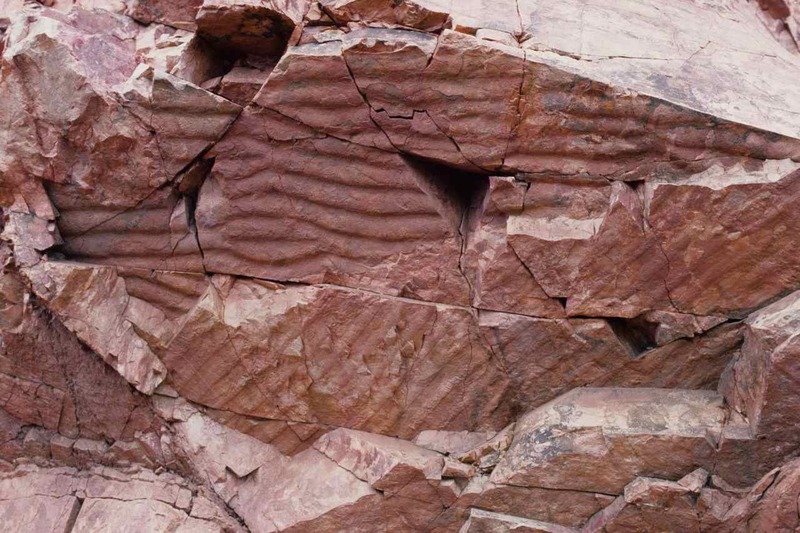 Also, the visual characteristics of this cross-bedding looks rather similar to those developing in(fig. 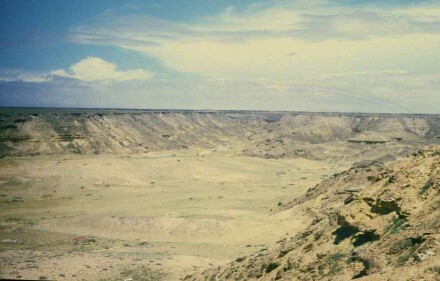 91),as well as alluvial dunes (fig. 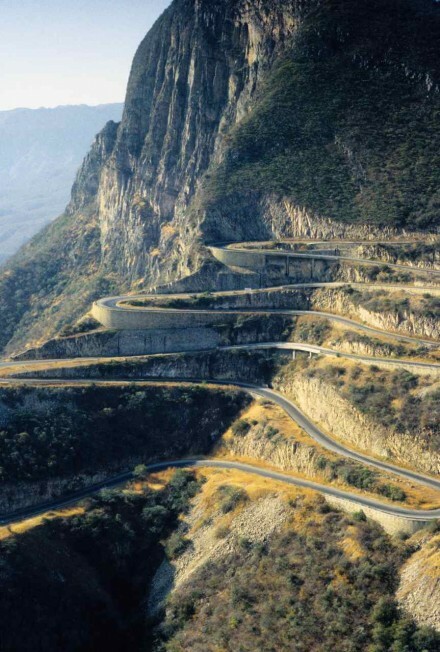 73B), but with a much smaller scale. This difference is important because the physical forces involved have completely different dynamic characteristics and thus are not comparable. 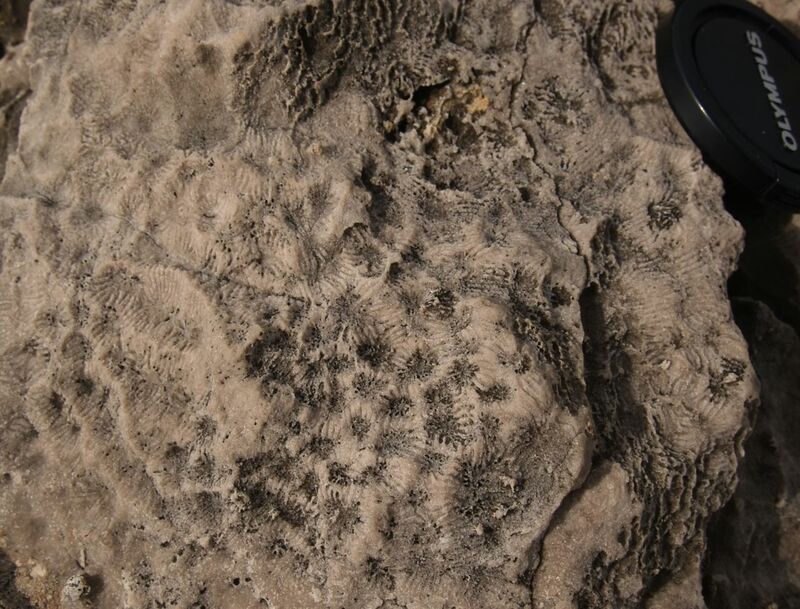 Finally, as already mentioned, these beach environments can be very rich in animal life and when there is a limited supply of inorganic clasts, assemblages composed entirely by the accumulation of mollusk shells may occur, giving rise to bioclastic limestone beds (fig. 108). Further away from the coast, outside the continental shelf, very little deposition takes place on the sea floor, other than the very slow accumulation of dead plankton and the skeletons of deep water dwellers. Some of the plankton inhabitants have silicious shells and others as well as some algae, produce minute amounts of calcium carbonate. The accumulation of these products on the sea floor often consolidate forming a succession of alternating layers of biogenic limestone and chert. 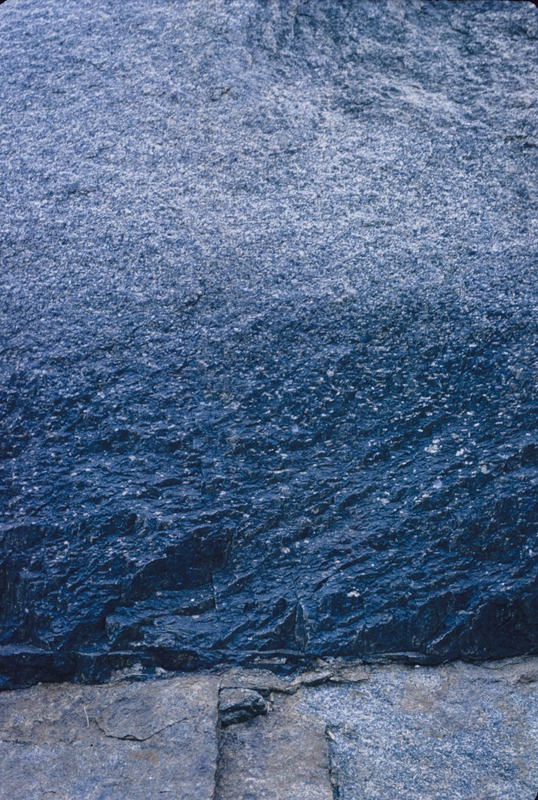 Such a succession is the absolute proof of deposition in a pelagic environment. 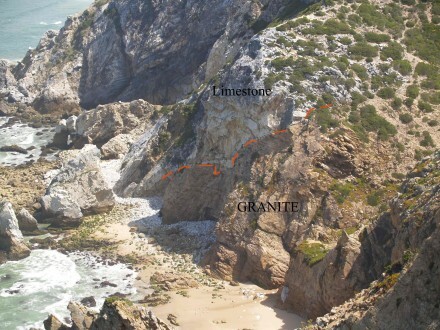 A very good example of these limestones is the thick succession of the Transvaal Dolomite in South Africa, that contains very abundant inter-layered chert bands (fig. 110). For diamond drilling purposes this is absolute agony, because the very sharp alternation between the relatively soft limestone and the thin but very hard chert bands, destroys the drilling crowns in no time at all. 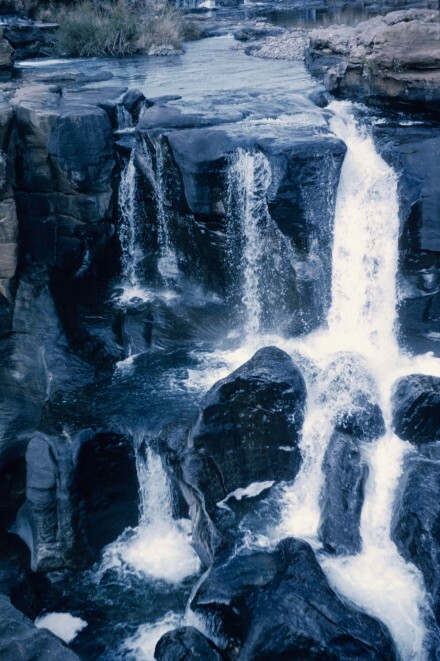 These are sedimentary rocks formed by the precipitation of chemical compounds carried in solution by the water. 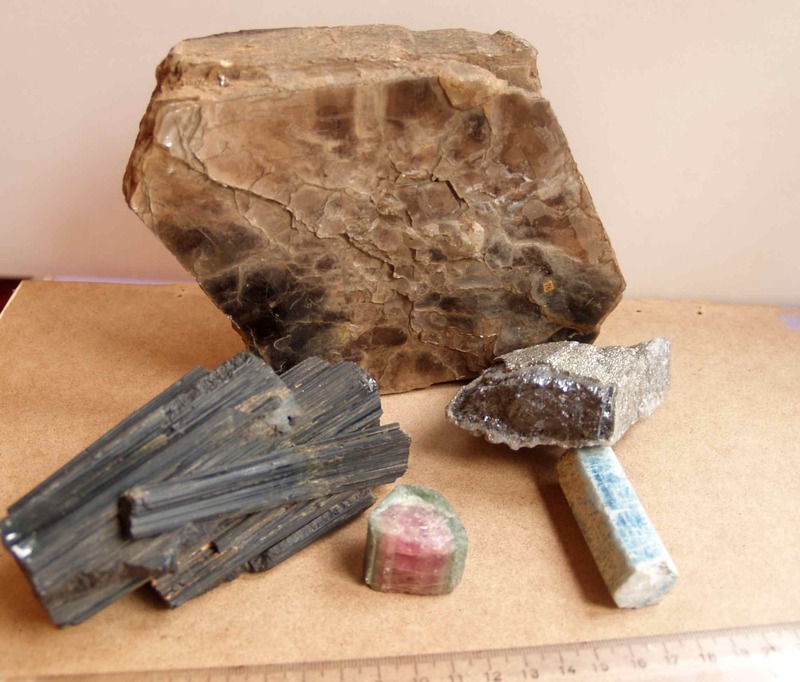 Naturally the components of these rocks will be those that are most soluble, like salt, gypsum, chert and calcite. 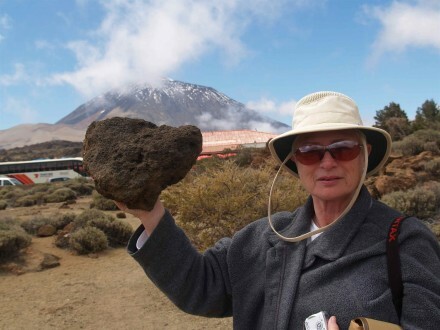 This is the general term for rocks originating from the precipitation of the substances under saturated solutions. Of these, the most abundant by far, are limestones which are constituted almost entirely by calcite. 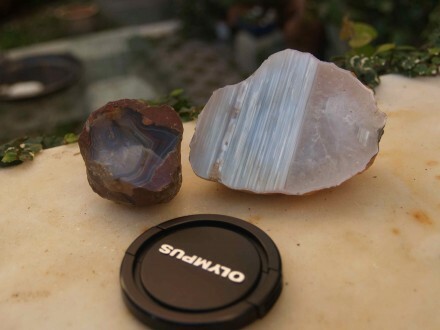 They are generally fine grained and range in colour from almost white, when very pure, to varying shades of gray depending on the quantity of organic matter present. 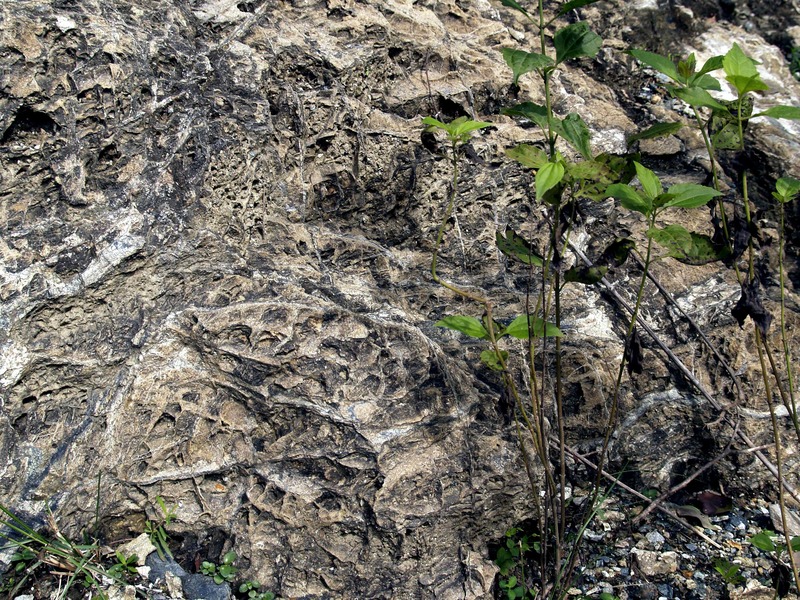 Often these limestones contain levels rich in chert nodules that originate from a diagenetic silicification within the rock in which they occur (fig. 111). 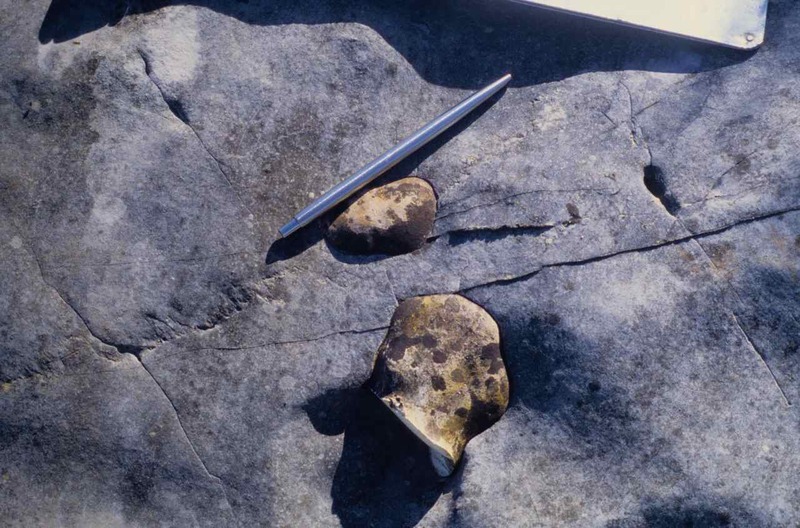 In other words, these chert nodules represent a post depositional modification with no significance relative to the identification of the depositional environment, as opposed to the biogenetic assemblages mentioned above. 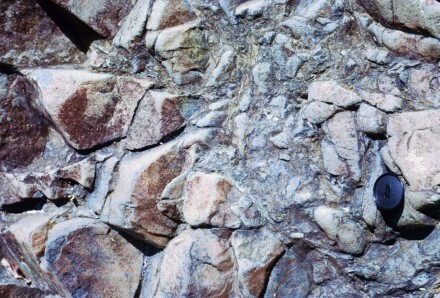 Figure 111 – Close up of silica nodules within a chemically precipitated limestone (Serra do Sicó, Portugal). 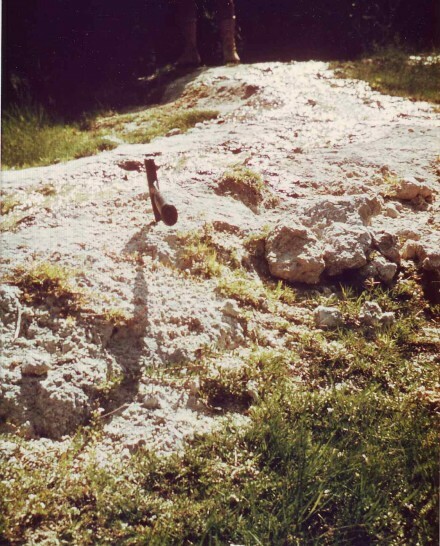 Perhaps one of the most striking examples of a chemically precipitated limestone is travertine, defined by the glossary of the American Geological Institute as a dense, finely crystalline concretionary limestone formed by the rapid chemical precipitation of calcium carbonate from saturated solutions on to the surfaces over which it flows. 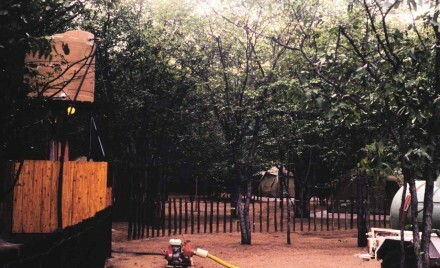 A contemporaneous example occurs at Ulco, South Africa (fig. 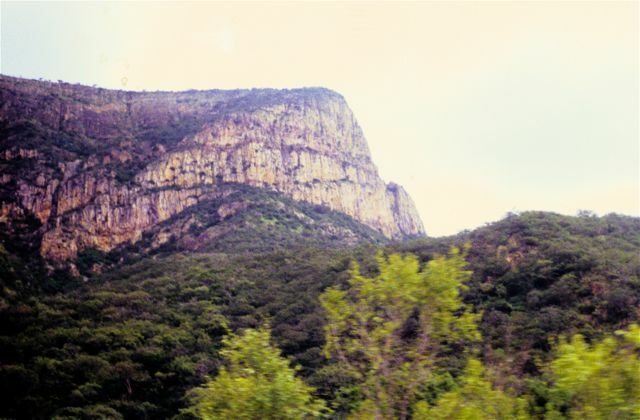 112 ). 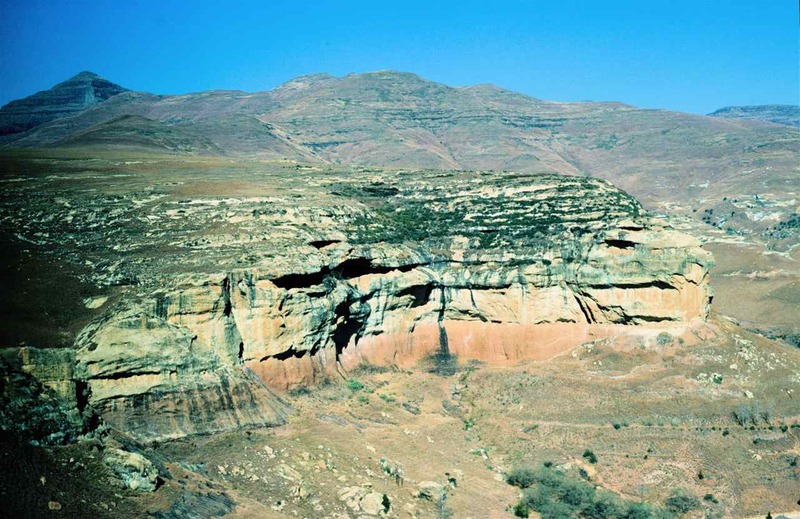 It has a fan shape and is being built by a stream falling over a Northern Cape dolomite ridge. 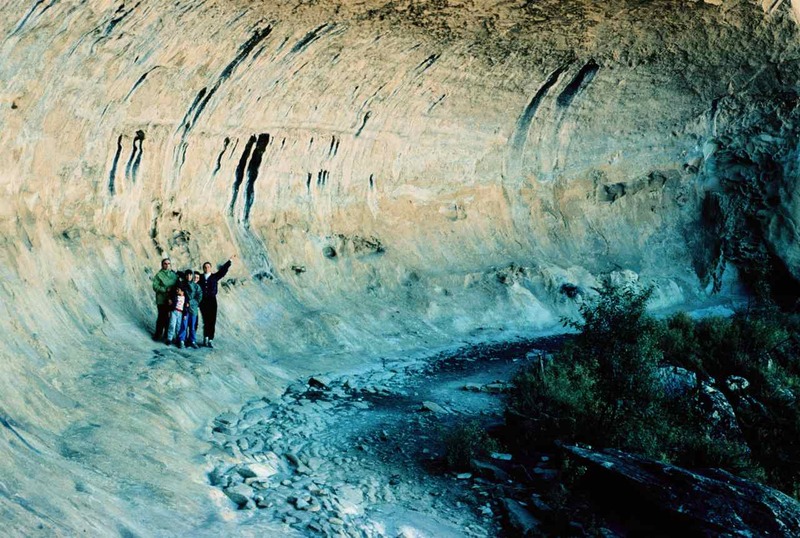 The water flowing over the ridge is saturated with the calcite it dissolved, and than precipitates covering every surface along which the water runs, thus causing the growth of the fan. 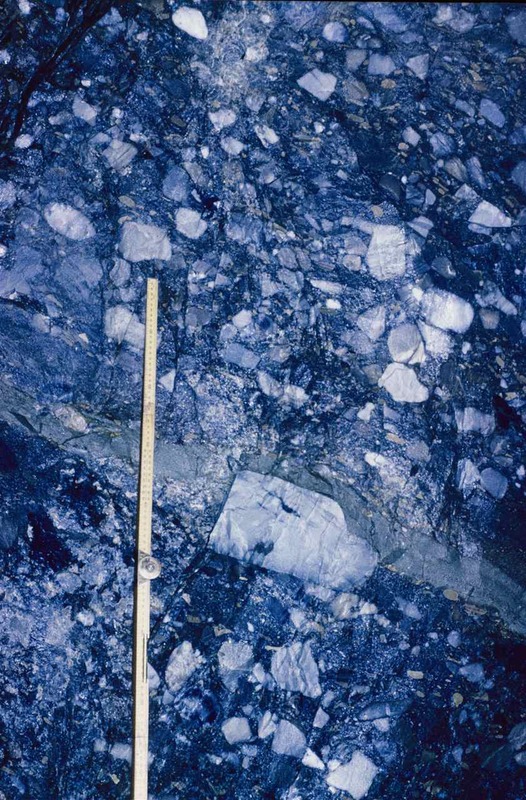 Figure 112 – General view of the fan of precipitated calcite from a saturated stream. 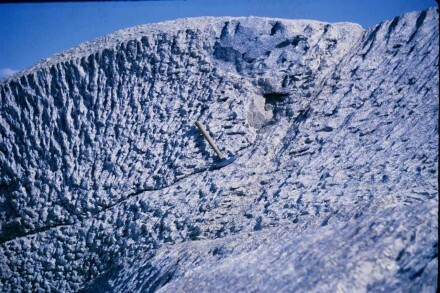 A closer view of the continuously growing ridge caused by the accumulation of calcite along the stream is shown in figure 113. 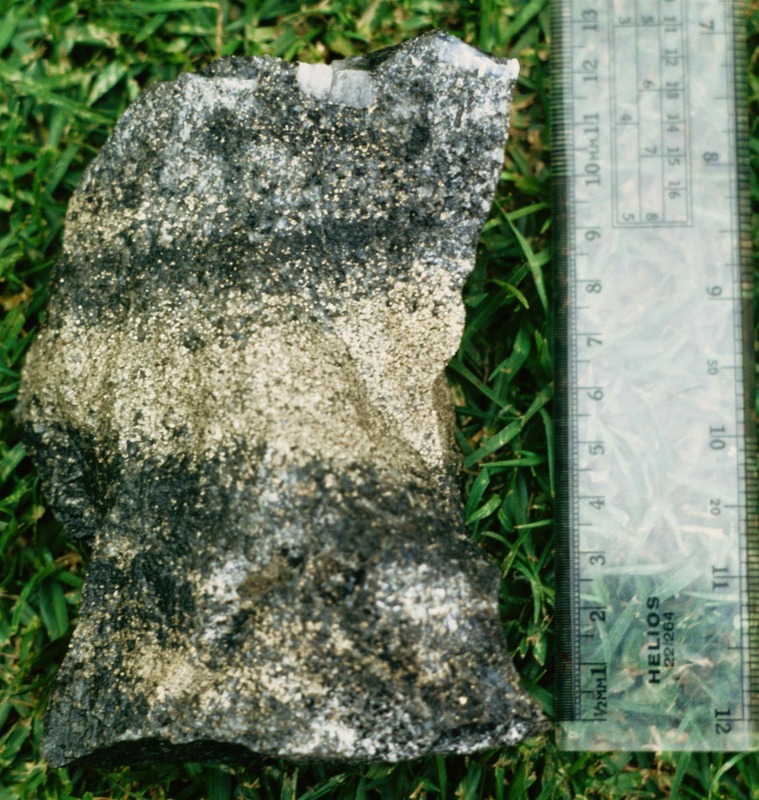 In fact, one can see growing grass stems being coated by calcite (fig. 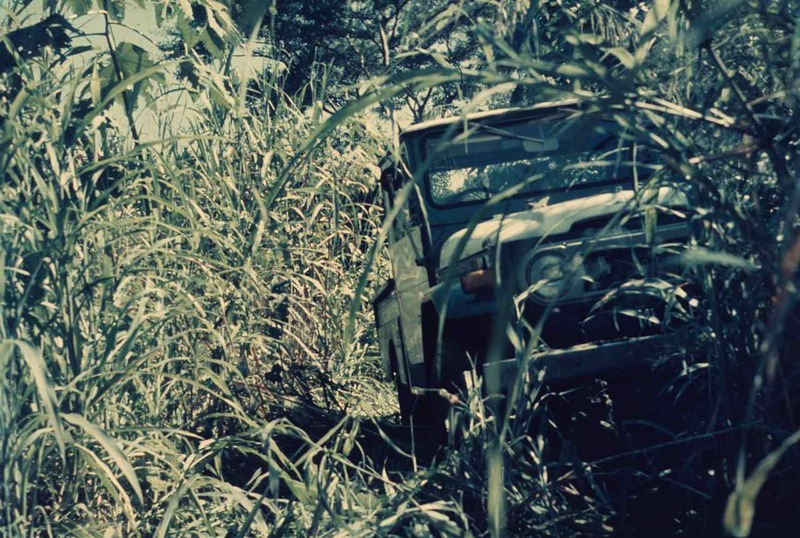 114). 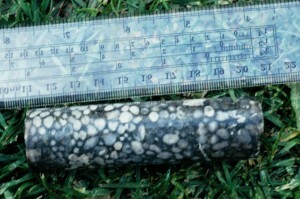 Figure 114 – Calcite coating around a growing grass stem (Ulco, South Africa). 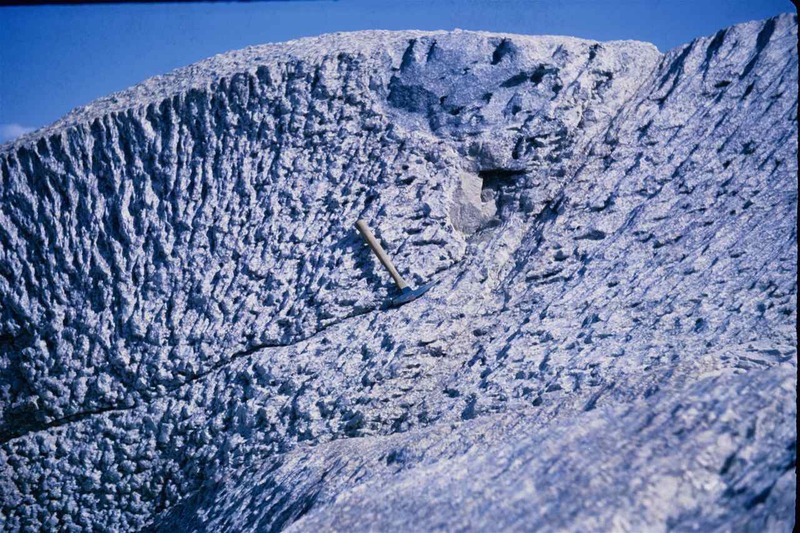 Diamond drill core cutting through the fan sequence proves that its development was caused by the continuous coating of whatever materials over which the saturated waters flowed (fig. 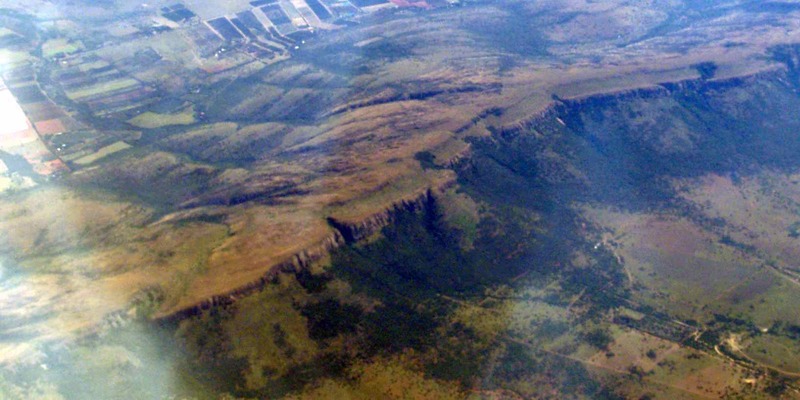 116). Figure 116 – Diamond drill core cutting through the Gorokop travertine fan (Ulco, South Africa). 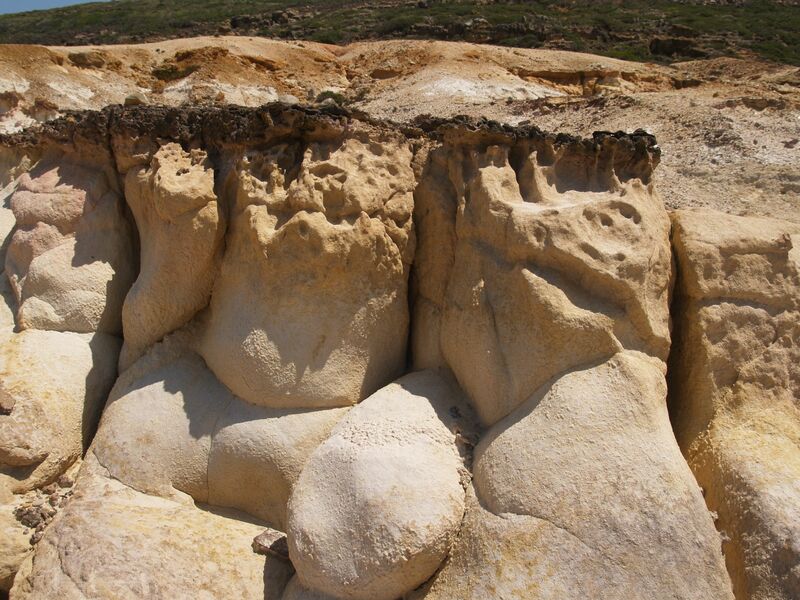 Also defined by the he American Geological Institute glossary, an evaporite is a rock composed primarily by a solution that became concentrated due to the evaporation of its solvent, for example, the present day coastal salt pans. 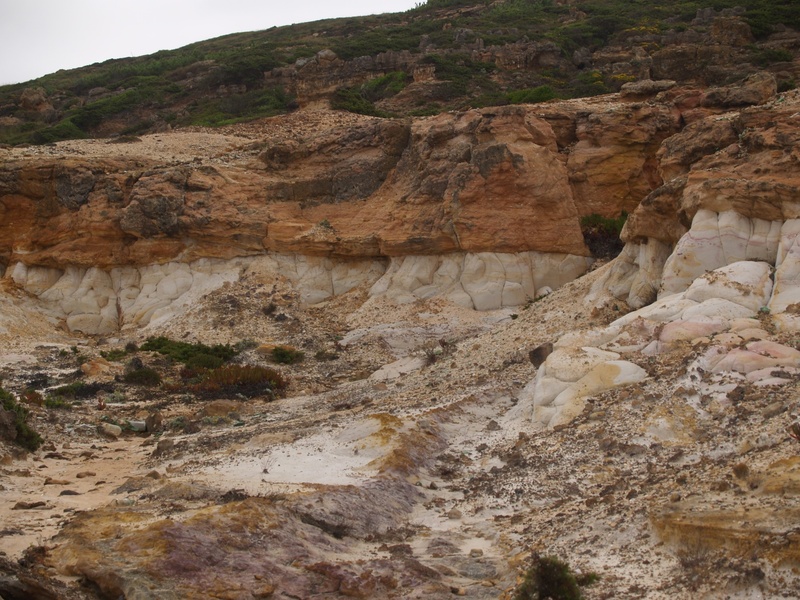 Evaporites of gypsum are also quite frequent in the geological record and can cover quite large areas like the one I saw in Angola. Unfortunately I did not have a camera, but I collected a specimen (fig. 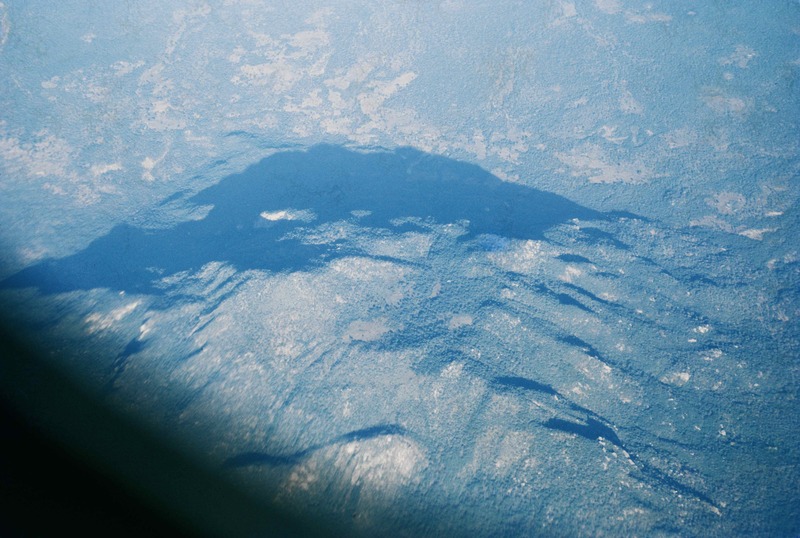 117). Calcite and gypsum may also form in desert pools, as well as from underground water brought to the surface by capillary action which, on evaporating leaves behind a residue of calcite and gypsum. 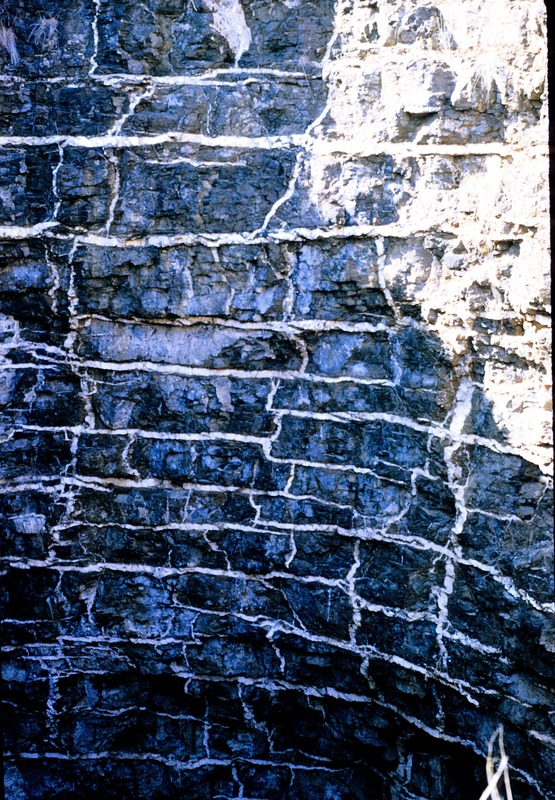 This latter process may form a surface crust of soluble salts and the process is known as calcification or more generally efflorescence (fig. 118). 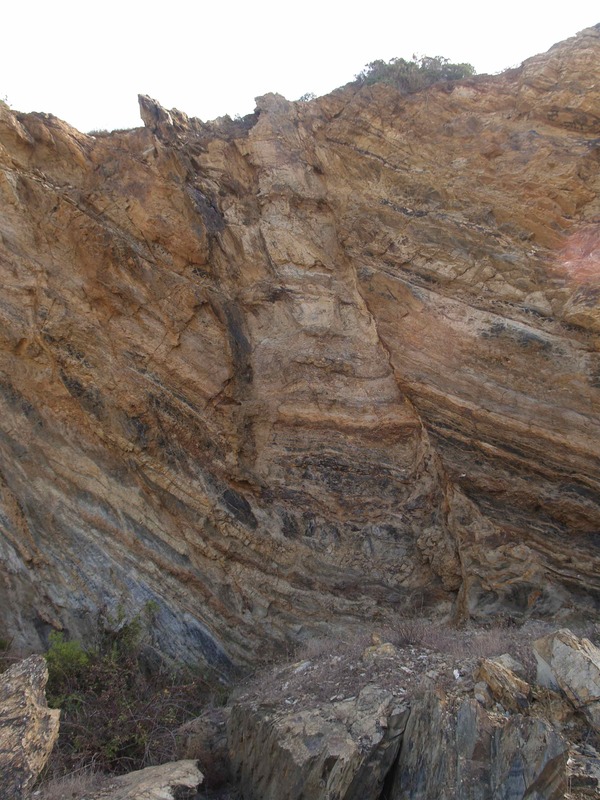 Figure 118 – Distinct hard calcrete layer half way down the succession (Namibe desert, Angola). It is under these conditions that the gypsum crystals known as desert roses form (fig. 119). 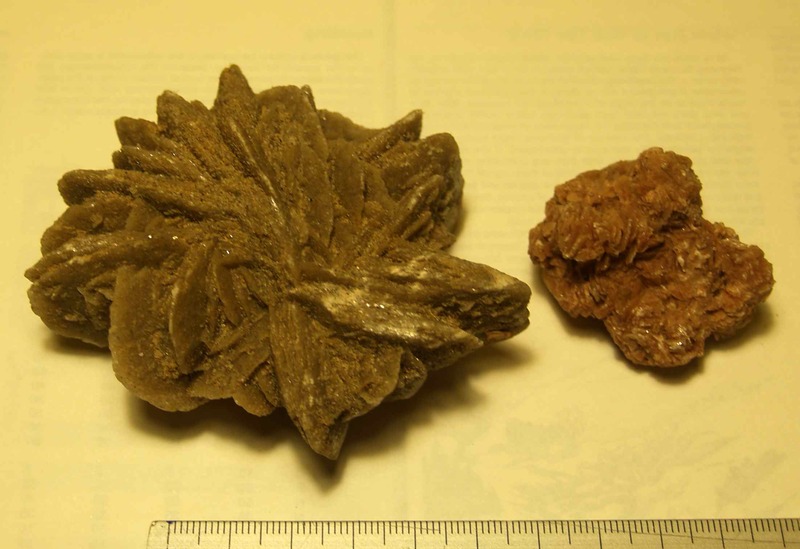 Figure 119 – Desert rose crystals (Namibia). 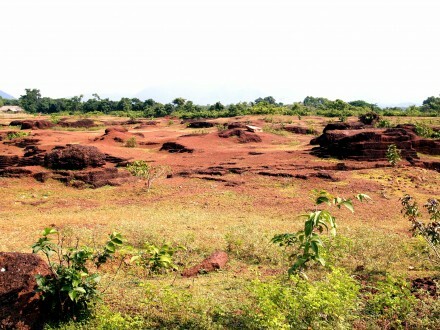 Figure 120 – Laterite field, rather barren compared to the lush vegetation in the background, and showing signs of primitive mining (Orissa, India). since it forms a rather solid rock with a very high content of iron and very little else (fig. 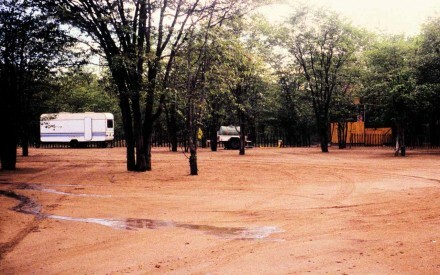 121). When aluminium predominates we have bauxite. 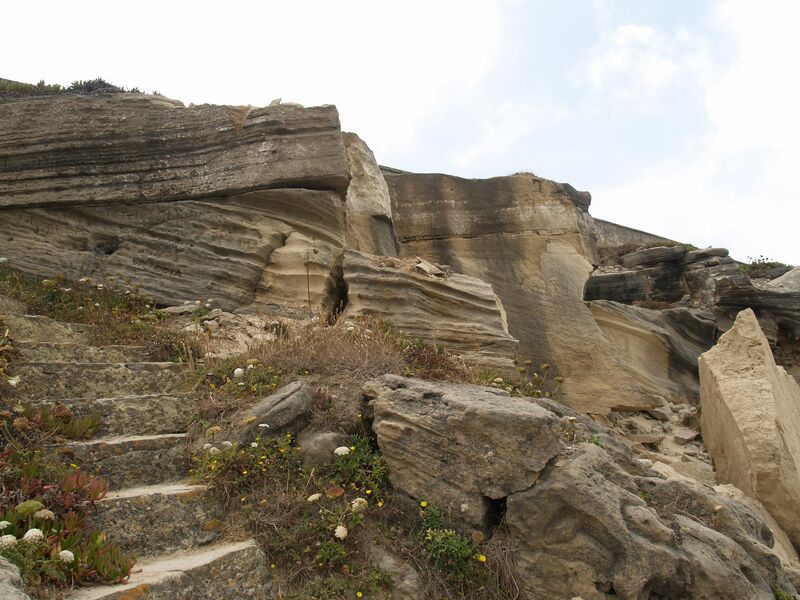 Thus, laterization is practically the opposite to what happens to limestone which, because it is so soluble in acidic waters, is almost totally washed away leaving caves behind. Figure 121 – Close up of the laterite (Orissa, India). Figure 122 – Thin crust of limonite capping a very clean sandstone (Lizandro River mouth, Portugal). Figure 123 – Limonite crust showing pisolitic texture (Lizandro River mouth, Portugal). 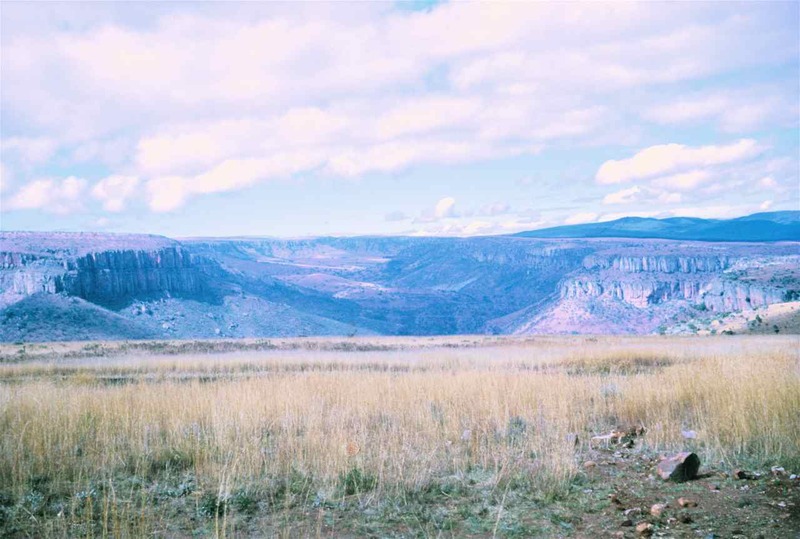 When, due to erosion these iron rich layers are exposed, they form “crusts” because they are more weather and erosion resistant. 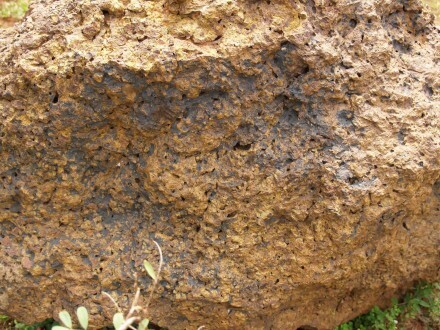 These horizons are termed duricrusts or ferricrete and fall under the general group of laterites, even tough their formation is practically the opposite of the much more voluminous bodies formed by the “in situ” concentration of iron mentioned above. As already referred to in item 2.2.1 (volcanic rocks), geodes are a consequence of the precipitation of saturated chemical solutions within voids. I come back to them here simply because of the exceptional case of the enormous selenite crystals at the Naica caves in Chihuahua, Mexico (fig. 124). 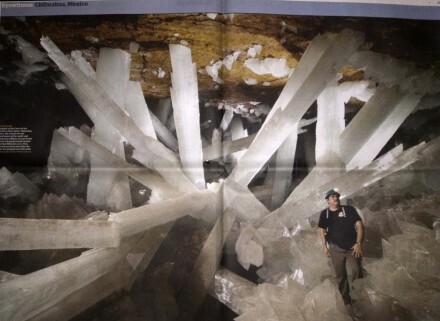 Even though this is another picture that I grabbed, this time from the Guardian Newspaper, I think these geodes at Naica must surely be the largest in the world. 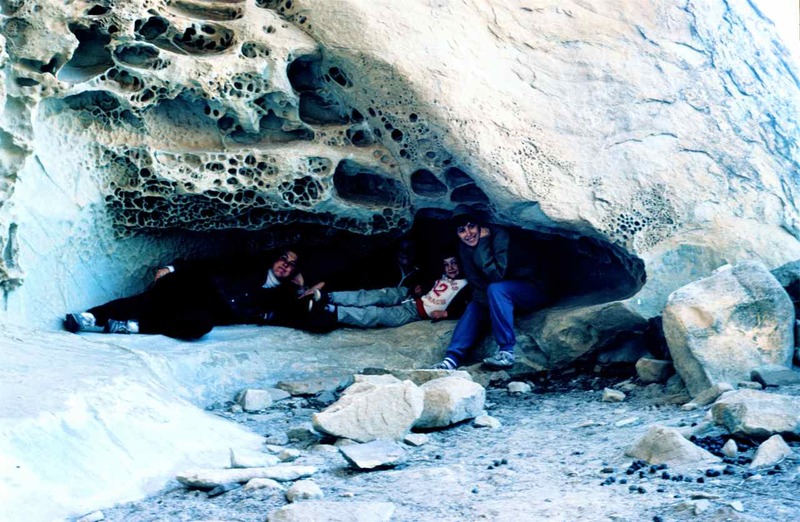 Figure 124 – Giant sized geode of selenite crystals (Naica caves, Chihuahua, Mexico). 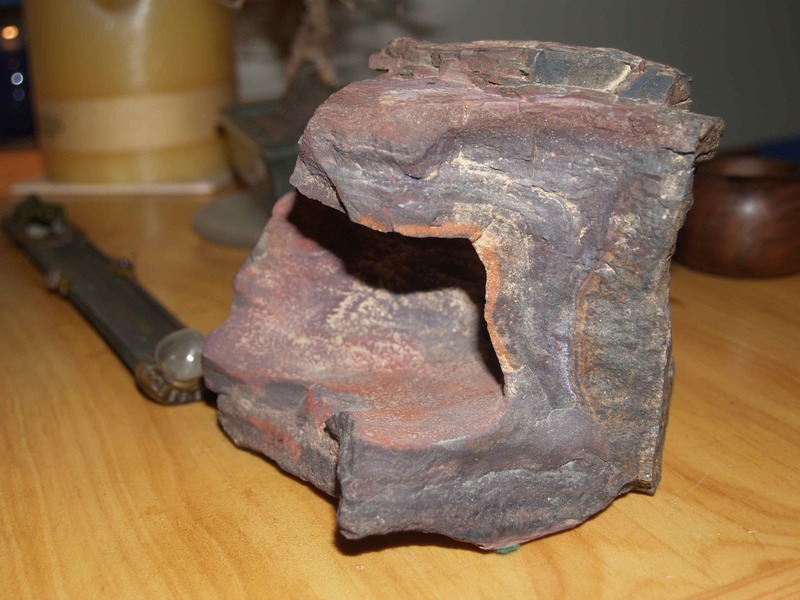 Weathering is the chemical alteration caused by the atmospheric water in vapor and/or liquid form, due to the reacting agents carried in solution. Thus, this was the first step in the alteration of the original consolidated rocks forming the initial land masses. 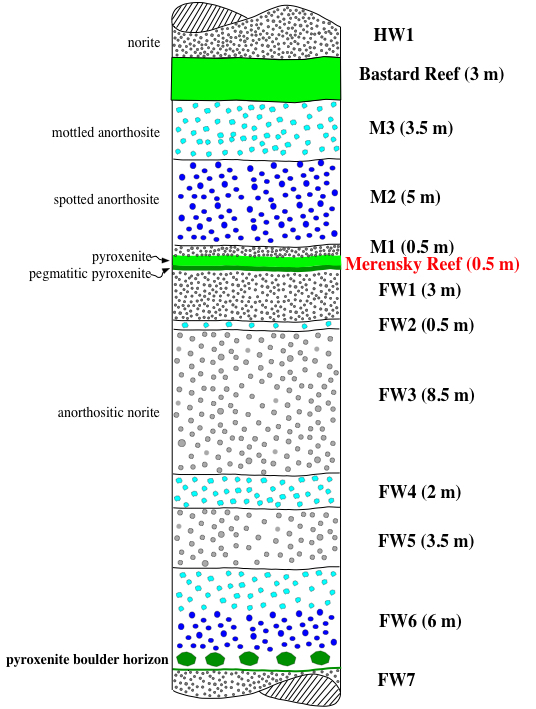 Figure 29 shows how the most reactive minerals are preferentially affected. 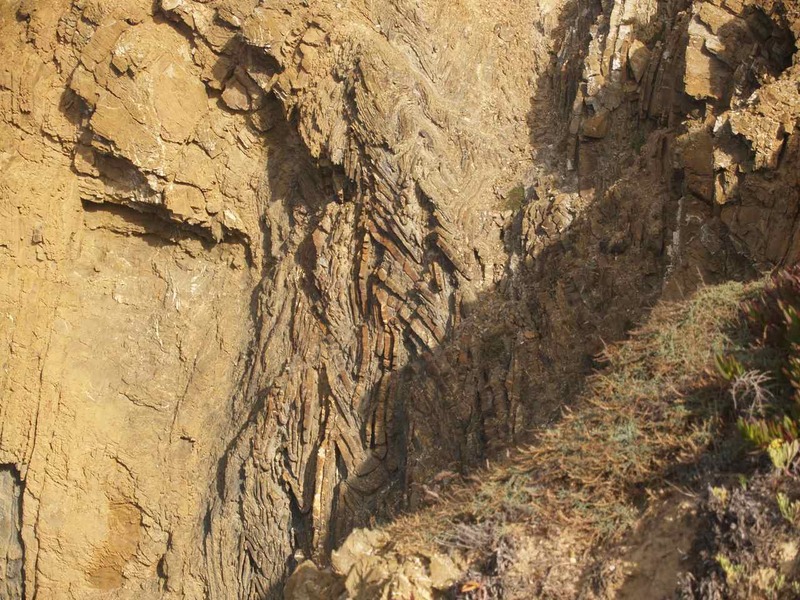 Figure 29 – Crumbling of weathered material within Flysch shale (Furnas, Alentejo, Portugal). 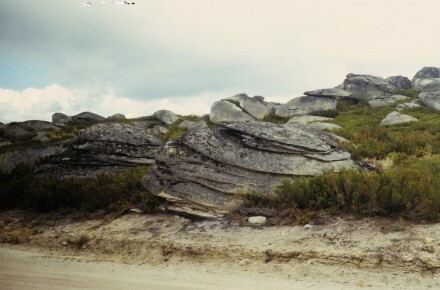 Also, the less soluble materials of the weathered rock will precipitate in the immediate vicinity, along fissures and/or bedding planes through which the water percolates. 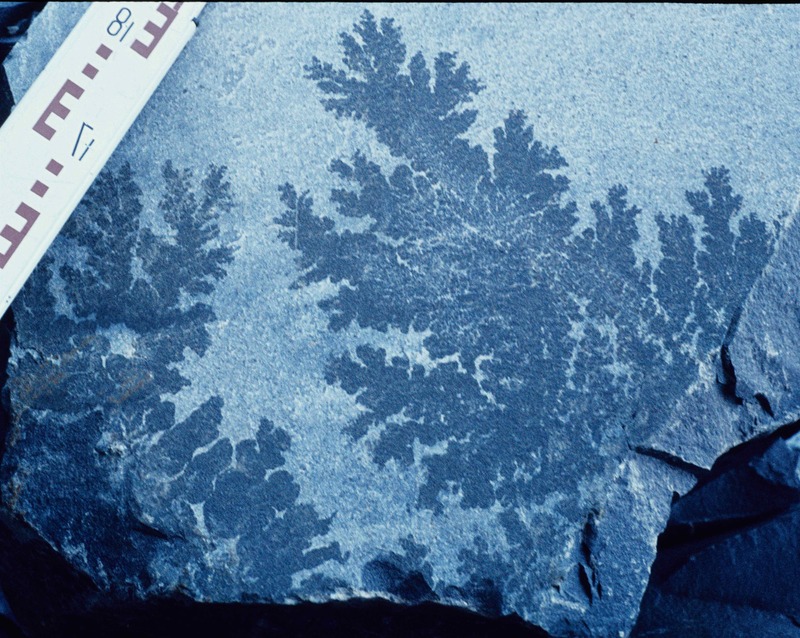 For example, the manganese dendritic growths frequently found on bedding planes and joints (fig. 30). 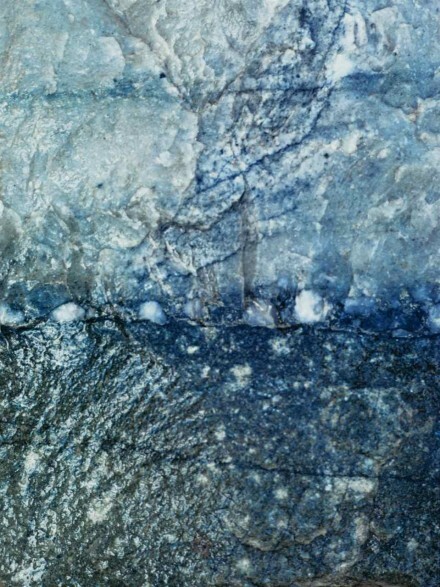 Figure 30 – Manganese dendritic growths on a quartzite bedding plane (Peninsula Quarry, Cape Peninsula, South Africa). These differential weathering characteristics can also be noticed in the variability between two different members of a rock outcrop such as in figure 31, where a dolorite dike is totally weathered away and the limestone through which it intrudes, being more weather resistant remains unaltered, thus causing a very sharp topographical contrast. 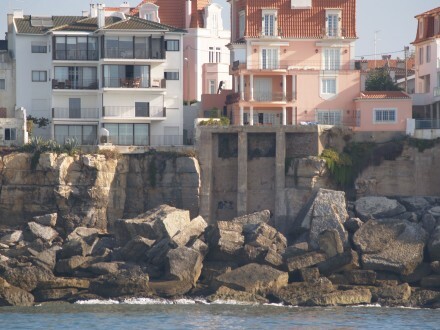 Figure 31 – Totally weathered and washed away dolorite dyke cutting through a limestone succession (Boca do Inferno, Cascais, Portugal). The above example is rather exceptional, because more often we have reasonably flat areas with uniform rock outcrops where the weathering is widespread, giving rise to the development of soils. 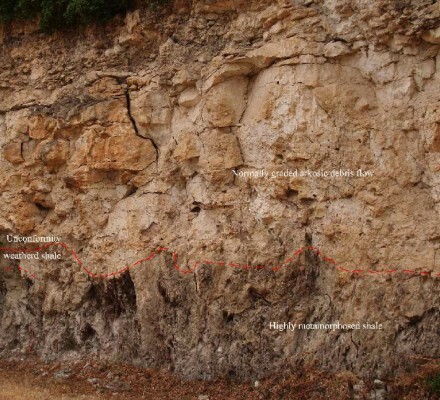 In this respect it is interesting, though seldom observable, to see an ancient soil (paleosol) layer preserved simply because it was covered by younger deposits. 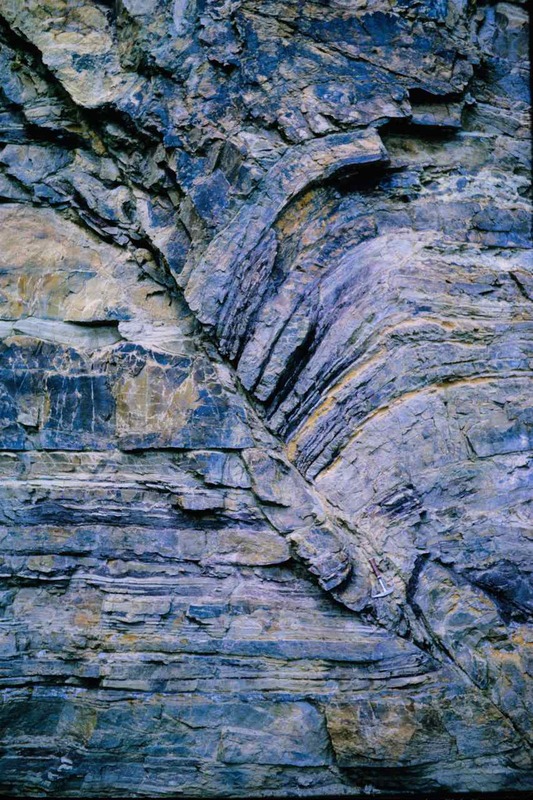 The succession seen in figure 31B shows on the right hand side, the lowermost member of a rock sequence which has a blotchy wine colour. 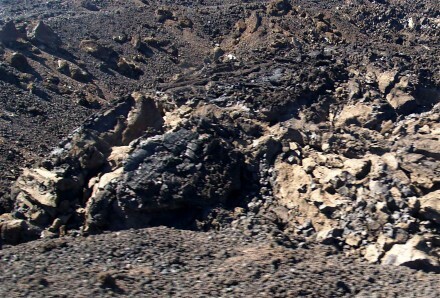 This layer is covered by another of very angular rock fragments, and above that we have a layer of fairly unaltered lava. 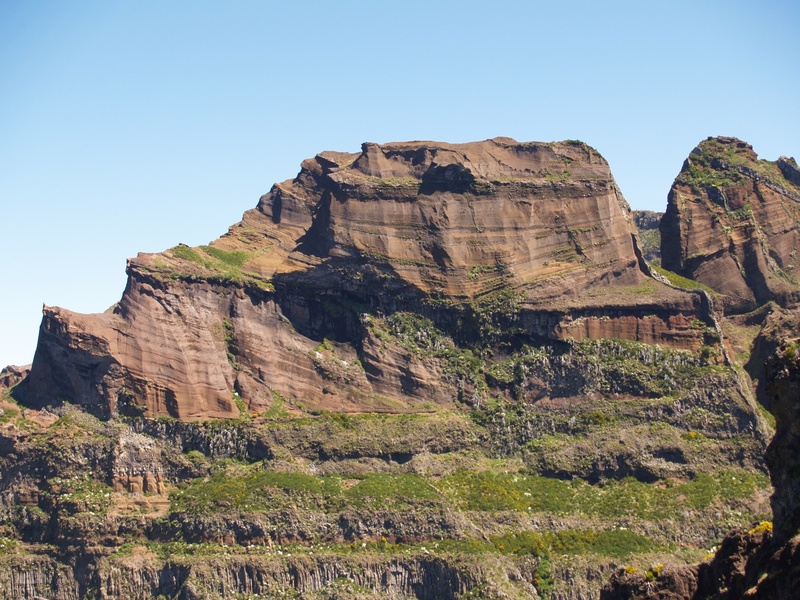 The wine coloured horizon is a basaltic lava and its colour is caused by the complete weathering of its minerals, which are rich in iron and the blotching indicates mineral assemblages with different chemical composition. 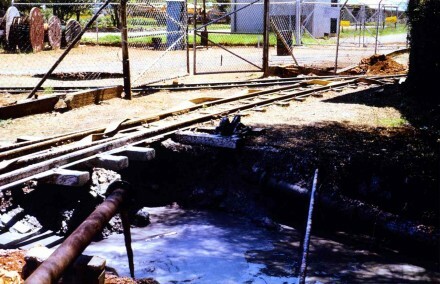 If this altered material that is now a soil, had been transported, the blotches would have disappeared because of the mixing during transport. Thus, in this case we have an “in situ” paleosol. 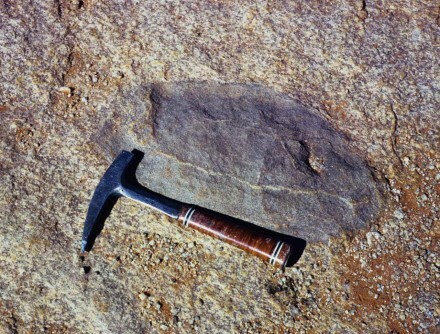 The difference in reactability of the various minerals constituting a rock gives rise to interesting surface features. 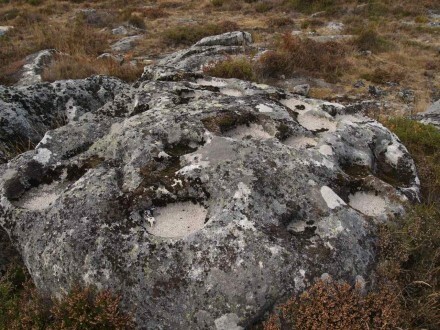 One such case is the formation of cup shaped holes on granite outcrops at mountain tops, known as gnammas (fig. 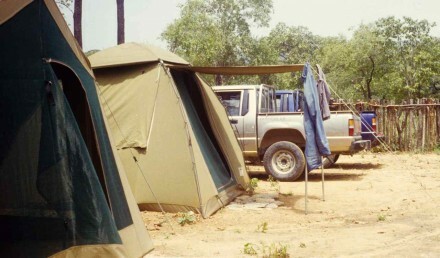 31C). I presume these remarkably circular depressions are caused by the weathering of the feldspars and other chemically unstable minerals into clays, initially in single rain drops size cups. 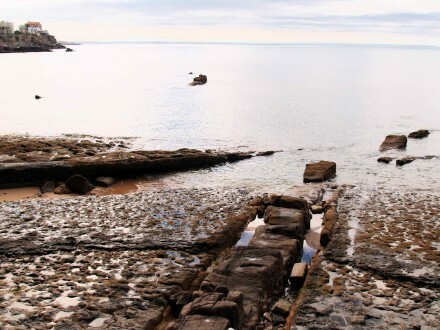 This because in winter, the snow or the freezing rain drops will fragment the mineral lattice, which will then become much more susceptible to weathering when the water melts. 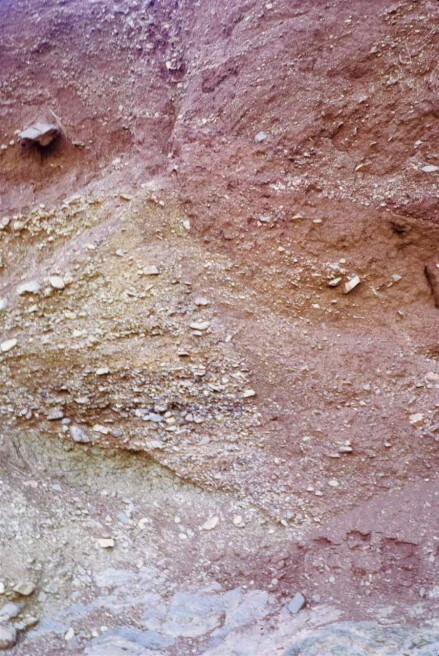 With the continuation of this cycle, the clay formed by the weathered minerals, being very light, is washed away, enlarging the cup and exposing newer surfaces of fresh rock. In the mean time, the much more weather resistant quartz grains present get loosened and acumulate at the bottom of the cup as shown in the picture. When the rain is stronger, these quartz grains will also be washed away, thus allowing the continuation of the enlargement of the cup, which can eventually reach significant dimensions like the ones at Marinieche in France, as was shown to me by Jean Jacques Espirat, another geologist. In fact, after his communication, I changed my mind about a depression in a granite boulder, with a mouth diameter of just over 1 meter, which I photographed in the vicinity of the Orange River (Agrabis Falls), in South Africa (fig. 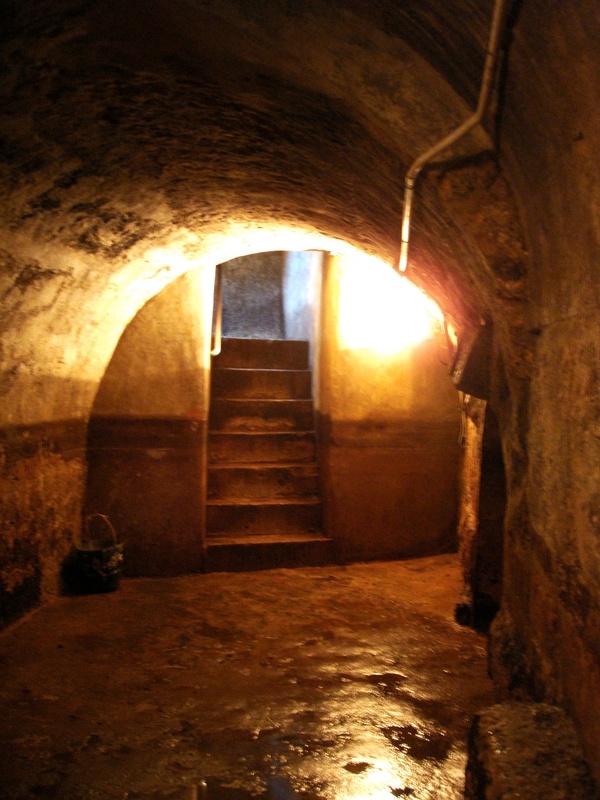 31D). I had originally interpreted it as being a river pothole, at a site which, although with an elevation somewhat higher than the present river bed, I presumed it was where the river previously flowed. 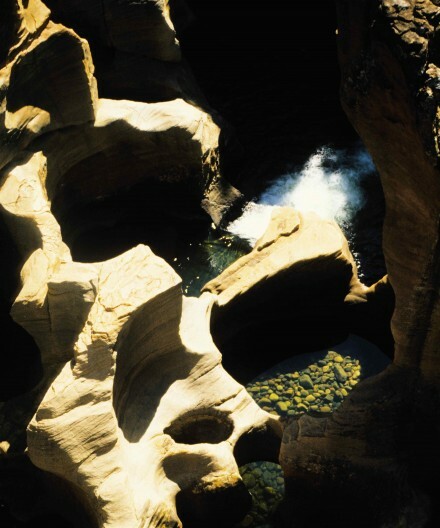 Perhaps another point in favour of this new interpretation is the fact that river potholes tend to be deep and have a proportionally narrow mouth, as against these weathering cups which appear to be shallow and have a relatively large mouth. 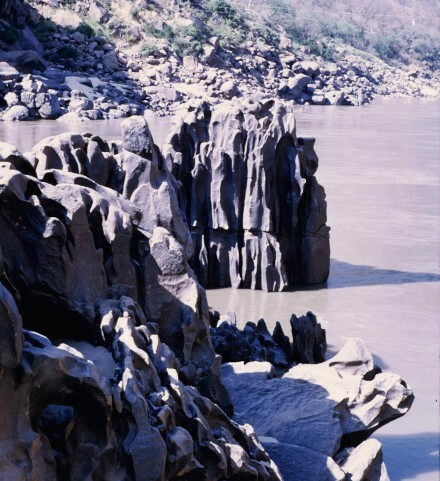 Figure 31D – A very large gnamma (diameter over 1 m) (Agrabis Falls, Orange River. 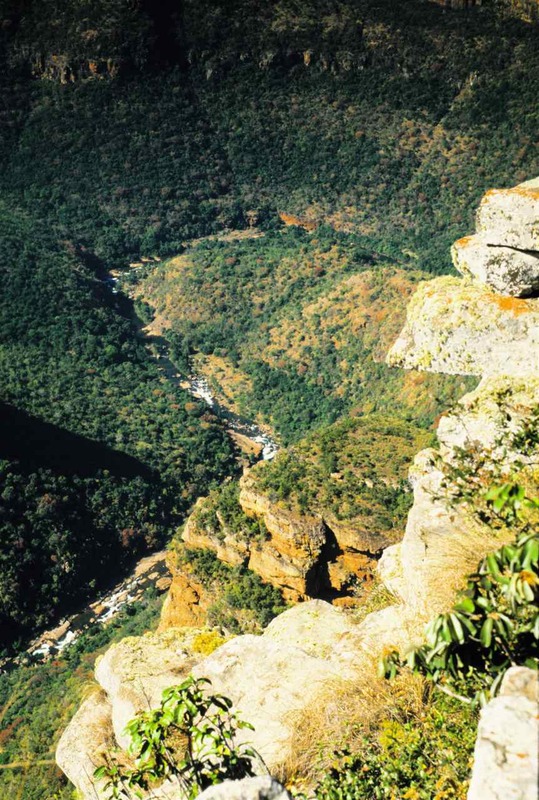 South Africa). 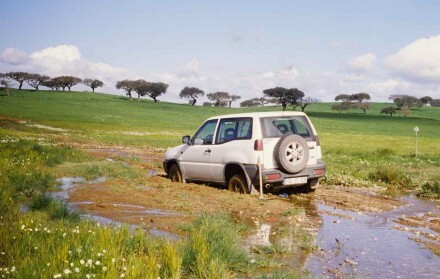 The larger the surface area being affected by the weathering, the more effective it will be. That is, the more cracked the original rock, the sooner it will become weathered, since the cracks greatly increase the area exposed. 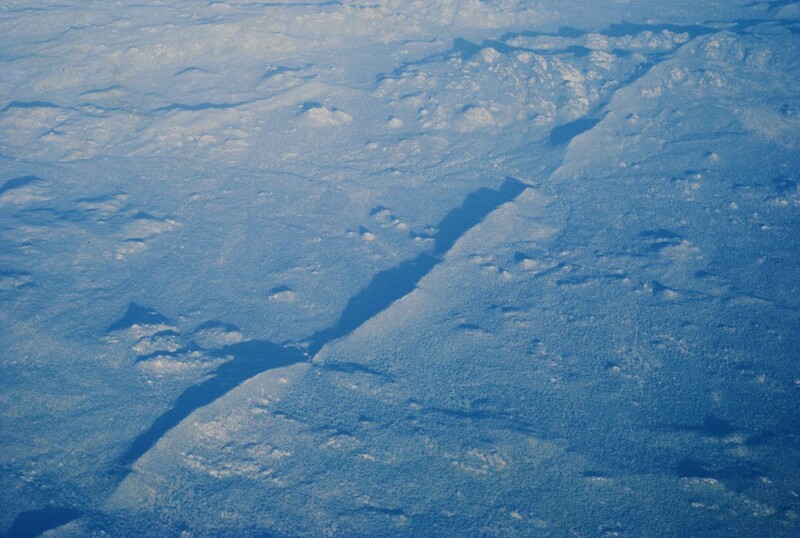 Cracks develop, for example, due to the influence of the temperature variations from night to day, causing consecutive expansions and contractions. 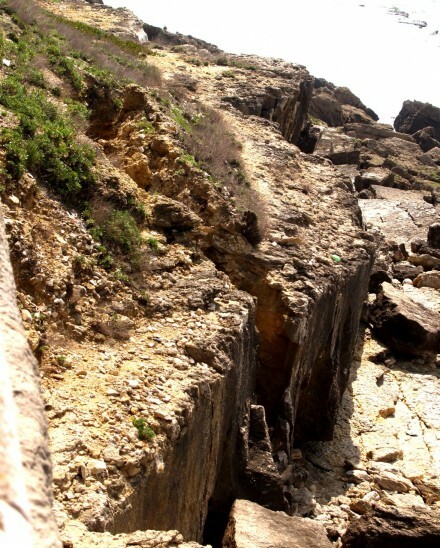 Along these cracks the weathering will have a larger surface of impact and it will often form troughs. 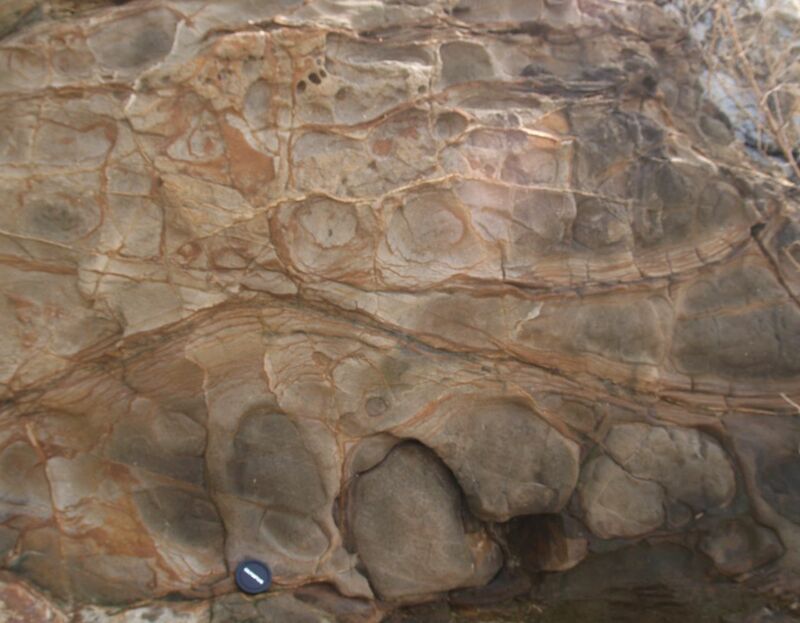 This is well demonstrated in figure 31E where the weathering effect on a gray limestone has such a similarity to the skin of an elephant, even the colour, that in South Africa this type of weathering is known as “elephant’s hide weathering”. 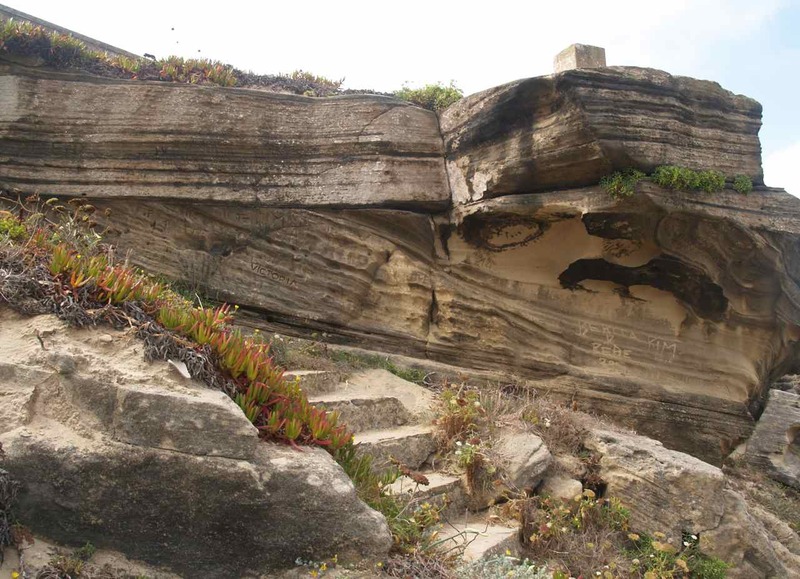 Figure 32 – Boxwork weathering on flisch sandstones (Cabo Sardão, Portugal). 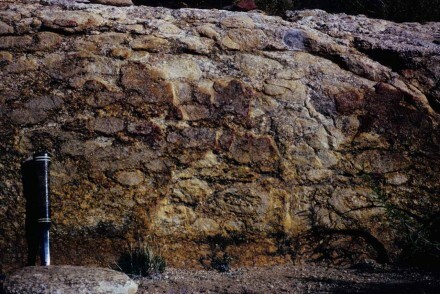 giving rise to a surface texture with the obvious name of box-work, which comes in all sizes and is quite noticeable in limonite rich sediments (fig. 33). Figure 33 – Large scale box-work weathering from a Fe rich horizon (Castro Verde, Portugal). Another example is the spectacular weathering sequence initiated with the alteration of olivine to serpentine (fig. 34). 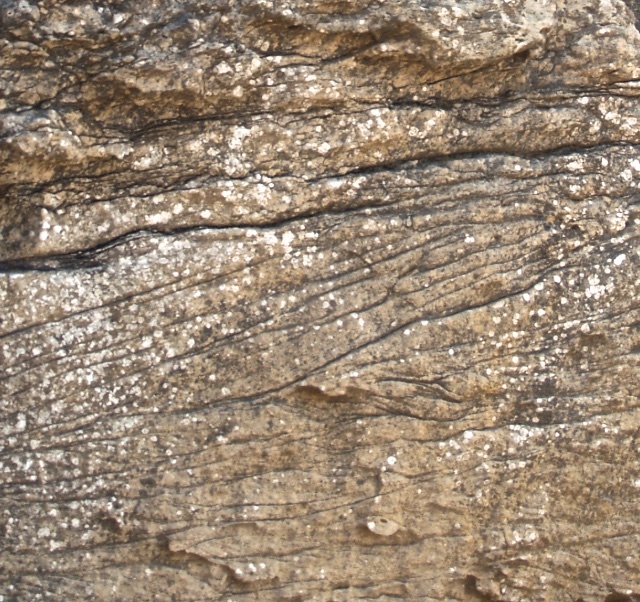 Figure 34 – Serpentine after olivine, notice the initial formation of a box-work texture (view approximately 100 x70 cm) (Boula, india). 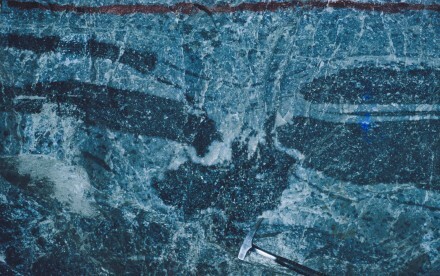 This is followed by a marked increase in the box-work texture, and the alteration of serpentine to breunerite (fig. 35). Figure 35 – Breunerite after serpentine with a distinct box-work texture (view approximately 100 x70 cm) (Orissa, India). Much better defined cracks (joints) develop when buried rocks are released from their surrounding pressure. 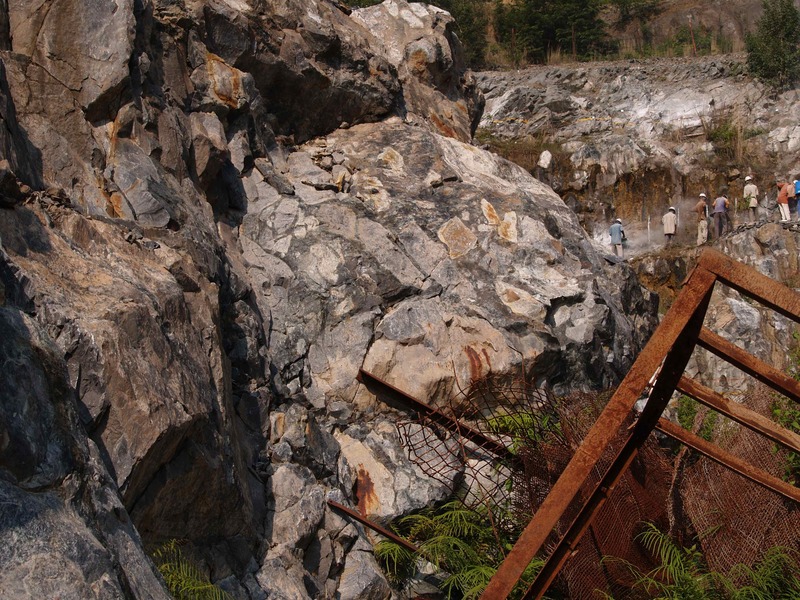 Mining for example, when the ore and associated waste is extracted, relieves the surrounding rock body from its original tension. 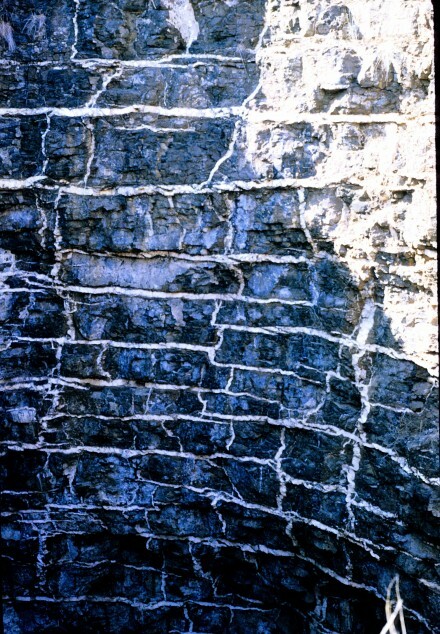 Figure 36 shows the cracks developed by the pressure release caused by the mining of this dunite pipe. Humidity concentrated along these cracks thus accelerating the weathering which altered the dunite into magnesite, now framing the joints so distinctly. Figure 36 – Magnesite after dunite, developed along the pressure release joints around the dunite pipe mined for platinum (view approximately 2.5 m high) (Bushveld Igneous Complex, South Africa). 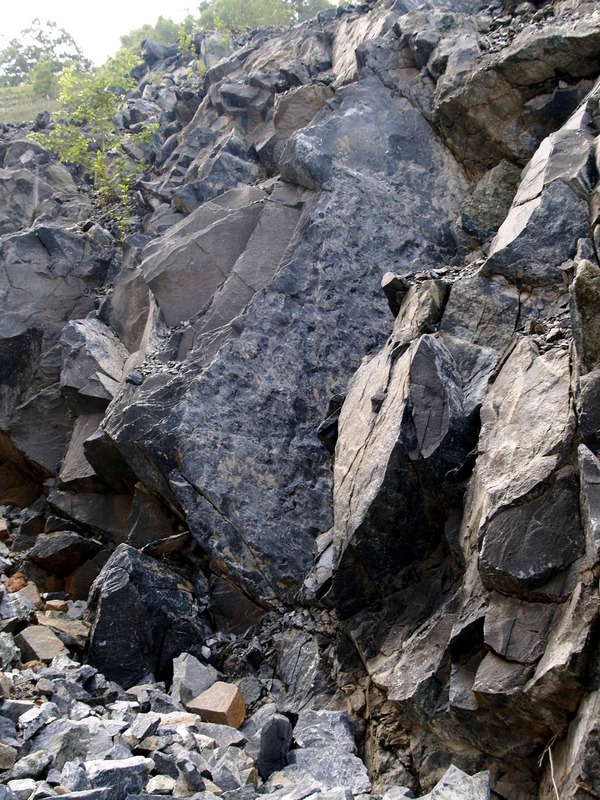 On a much larger scale, are the joints formed during the uplifting of rock masses caused by isostatic adjustment. 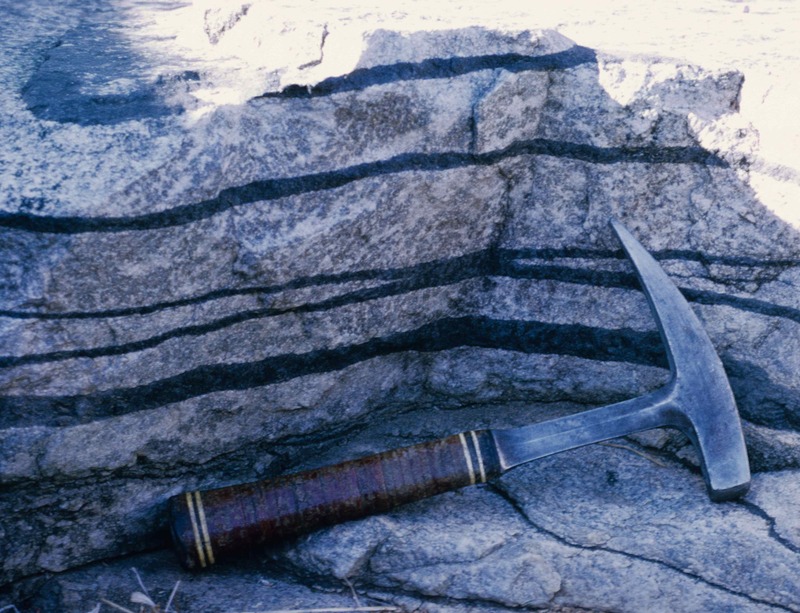 A good example is seen in granite outcrops, since they are formed at great depths and thus at very high pressures. 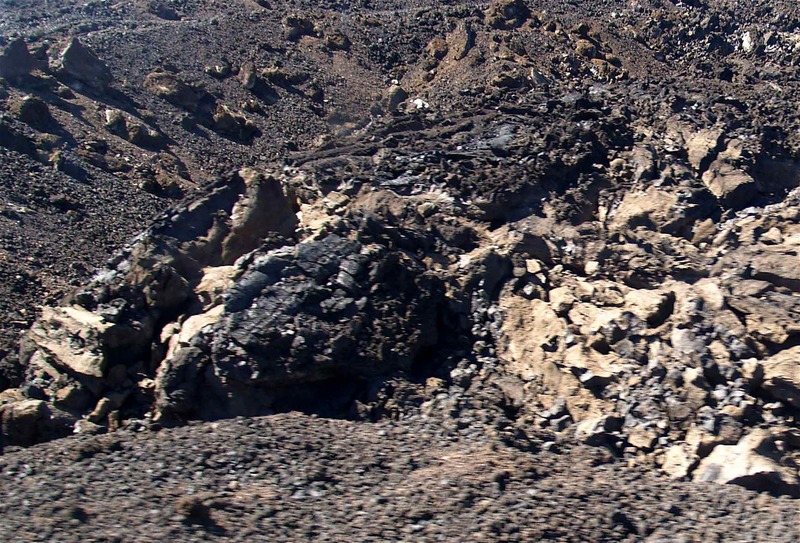 Erosion will eventually bring these large igneous rock masses to the surface reducing dramatically the surrounding pressure and causing them to break into large blocks. 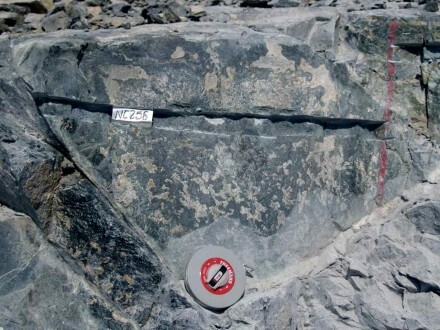 Since the weathering will be most intense at the corners of these blocks, these tend to become rounded, as nicely demonstrated in figure 36B. Hence the decomposition becomes more concentric causing a pealing effect, like an onion (exfoliation). In a grand scale like in a granitic land surface, this can give rise to the very characteristic geomorphology of upstanding huge egg shaped solid granite boulders, known as inselbergs (fig. 37). Figure 37 – The most famous inselberg in the World (Sugar Loaf – Rio de Janeiro). A very unusual effect of the decompression on a granite body and consequent enhancement of the exfoliation by weathering is shown in figure 38 where the granite boulders resemble piles of pancakes. 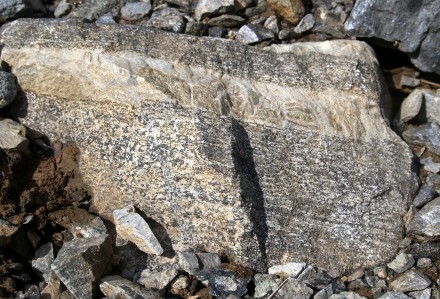 It is possible that this is a consequence of the lamination effect, caused by prior strong shear pressures on the granite mass. 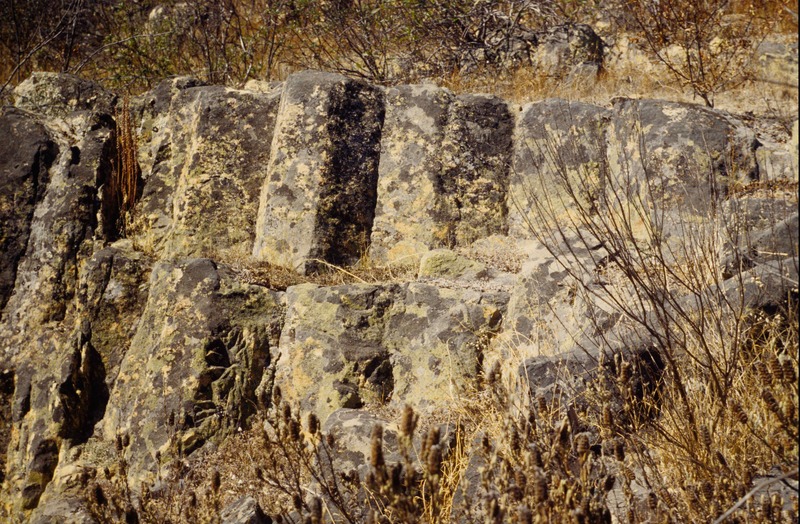 Figure 38 – Unusual exfoliation in granite (granite pile approximately 1 m high) (Serra de Montesinho -Trás-os-Montes. 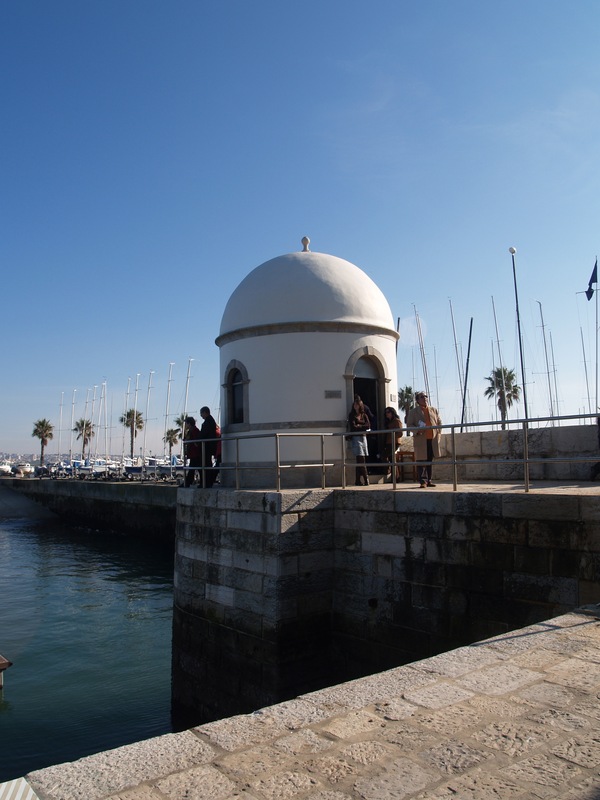 Portugal). 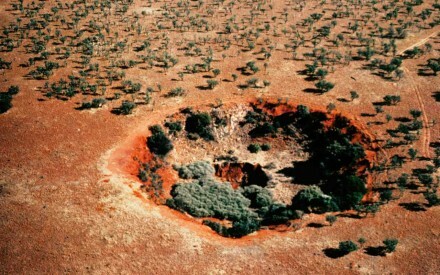 Perhaps the most devastating weathering effect, is the one giving rise to sink holes. 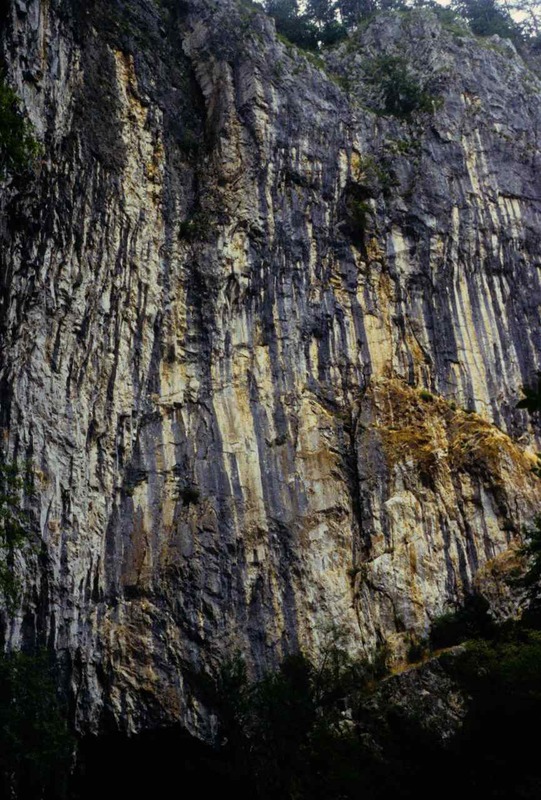 In acidic waters, limestones and dolomites are incredibly soluble rocks and thus very easily weathered. 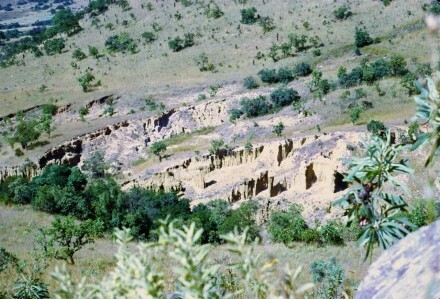 The effect on outcrops, termed “karst”, gives rise to a very irregular surface with rather deep hollows (fig. 39). 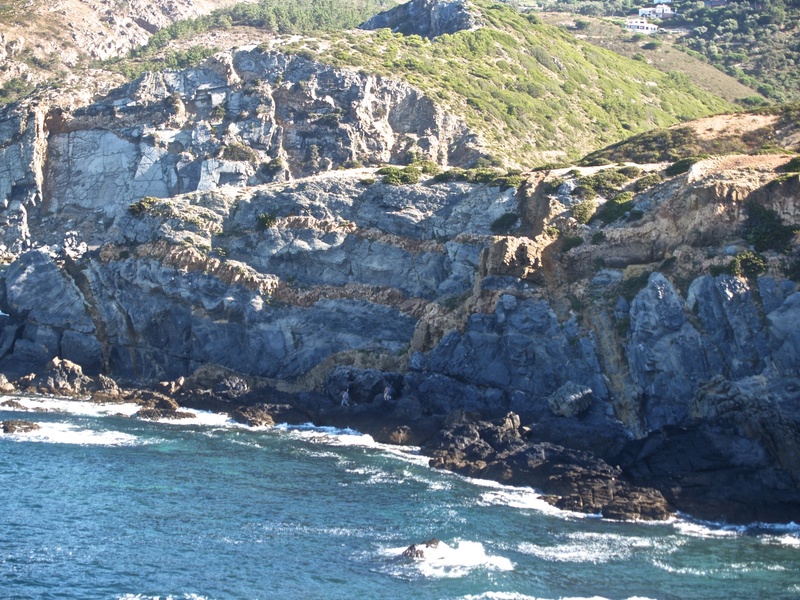 Figure 39 – Typical example of karst topography (Cabo Carvoeiro, Portugal). 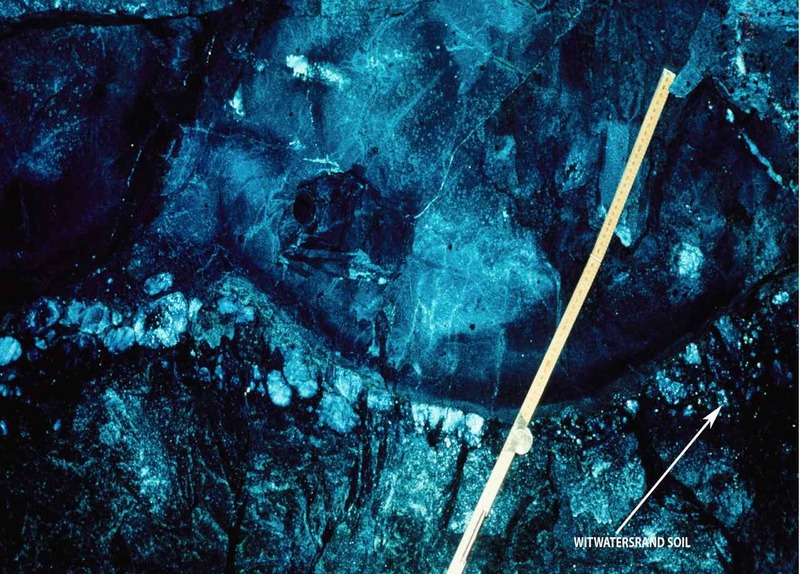 This weathering action continues under the surface anywhere above the ground water table (vadose zone). 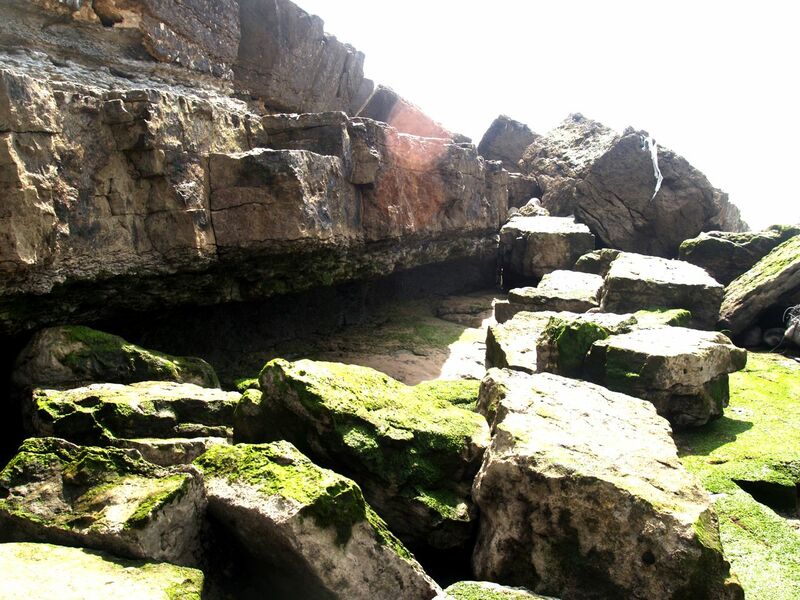 Thus, where the water table is sufficiently deep, the limestone will continue weathering above that and caves will form (fig. 40). Figure 40 – Inside the Sterkfontein Caves (Transvaal, South Africa). Figure 41 shows the difference between solubility levels. 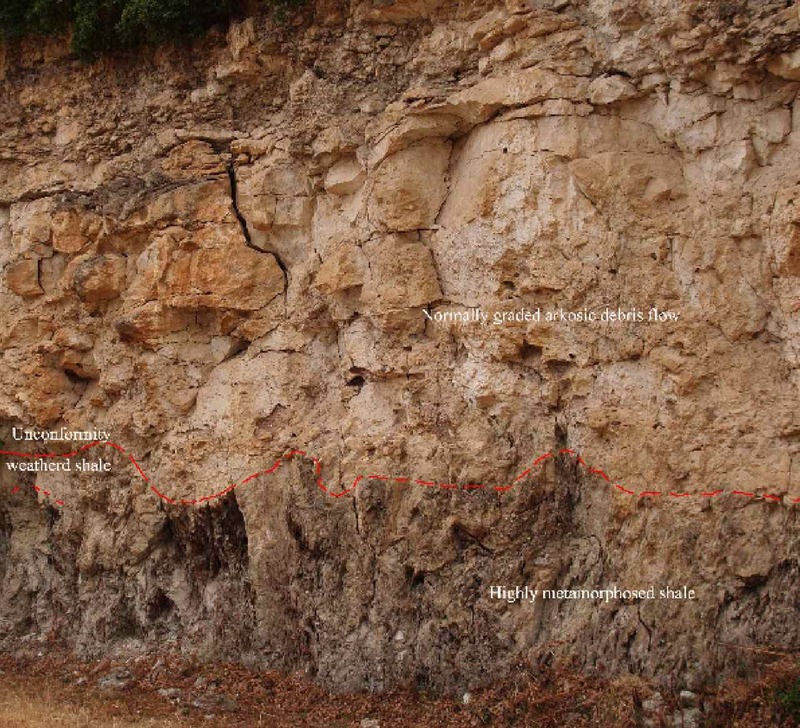 Notice the marked contrast between the very weathered, soluble, limestone bed, above, and an insoluble chert horizon below. Figure 41 – Highly weathered limestone horizon (above), and unweathered chert band below (view approximately 60 x40 cm) (Sterkfontein Caves,Transvaal, South Africa). 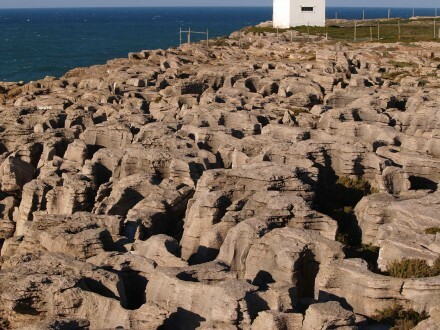 If the conditions remain constant for long periods, the weathering of the limestone will continue, the caves will increase in dimensions, reaching a stage when the ceilings, generally in the form of a vault, will no longer support the mass of ground above, and will collapse, forming sink holes. 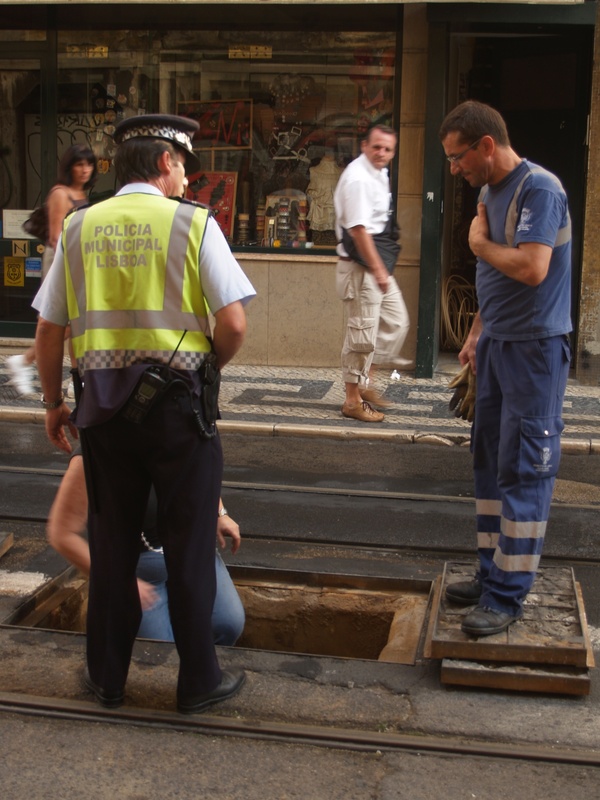 Even small sink holes can cause significant damage like the one shown under the railway line (fig. 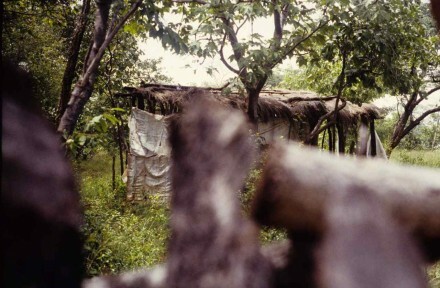 42). 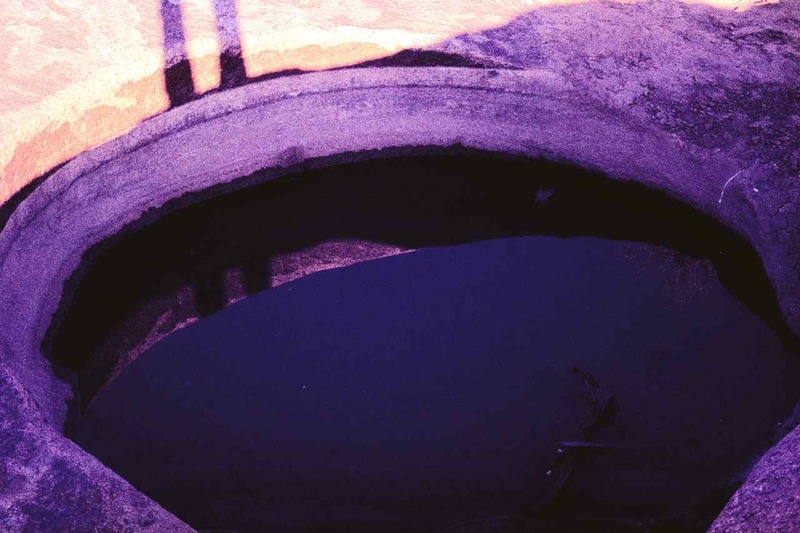 Figure 42 – Small sink hole under a railway line (Bufulsfontein Mine – Stilfontein – S. Africa). On the other hand, particularly interesting is the double sink hole shown in figure 43, where initially the dome collapsed, but somehow its central sector maintained its shape, to eventually disintegrate at a later stage. 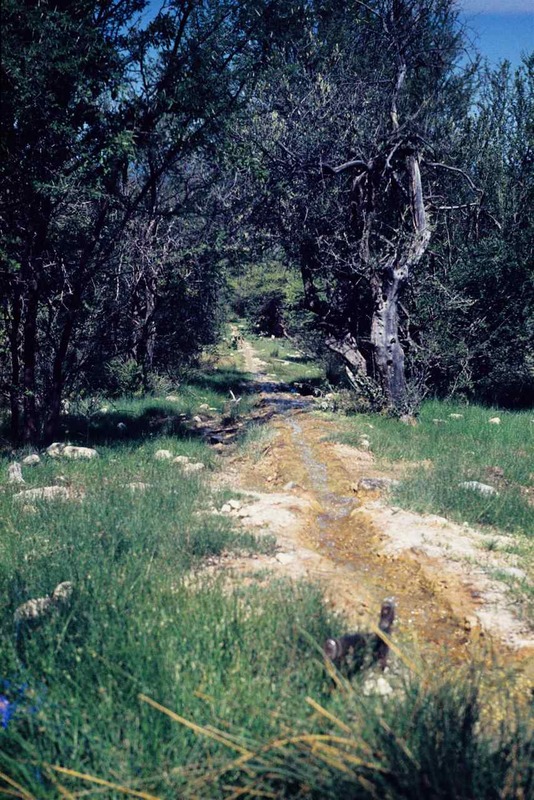 For a matter of scaling, the markings on the right side of the photo are car tracks. 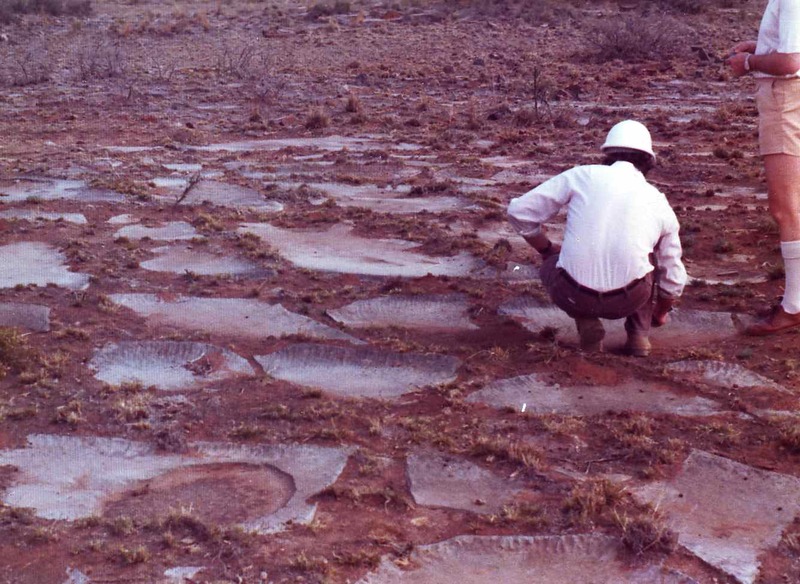 Figure 43 – Reactivated large sink hole (for scale, the parallel marks on the right hand side, are motor car tracks) (Carletonville, S. Africa). 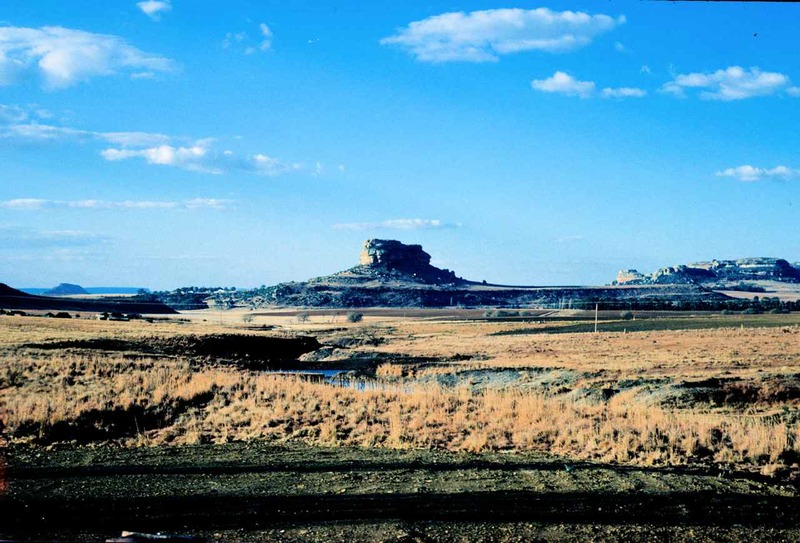 In the mining town of Carletonville, South Africa, there are/were 4 deep gold mines which pumped to the surface in excess of one million cubic meters of water per day, in order to maintain the underground workings sufficiently dry to enable the mining operations. 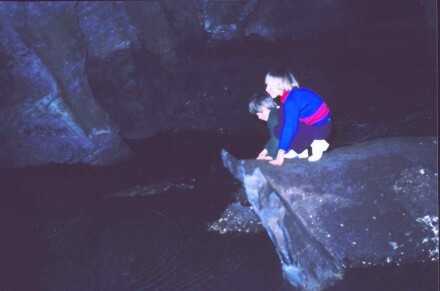 As a consequence, the ground water table (phreatic level) dropped tremendously in some places to more than 500m below surface, causing the development of large areas with perfect conditions for the formation of caves which naturally progressed into numerous sink holes. This eventually led to the evacuation of a few of the mining villages, because of the collapse of some of the constructions and the unfortunate death of some of the inhabitants. 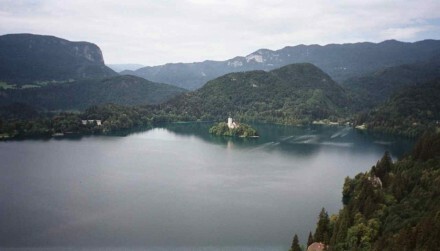 Figure 44 – the village of Skocjanske suspended amongst limestone arches separating different sink holes (Slovenia). 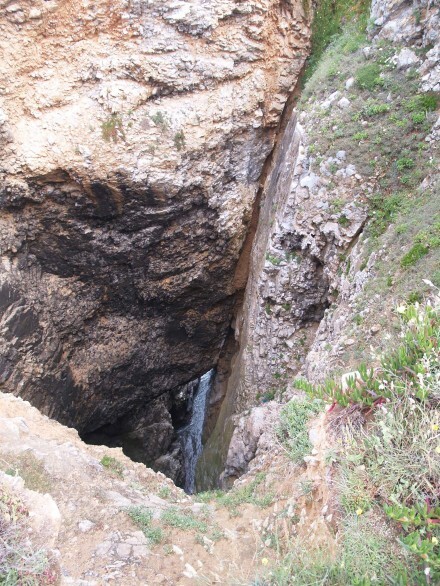 is located on top of arch remnants separating old sink holes (fig. 45). 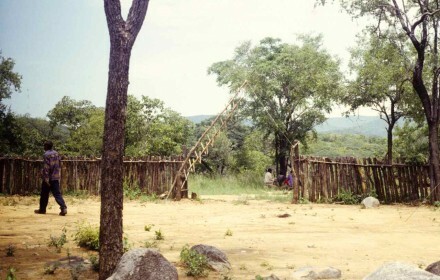 Having lived in Carletonville, I do not understand how a village can continue being inhabited under such conditions. Figure 45 – View from below, of a sink hole face (escarpment approximately 10 m high) (Slovenia). 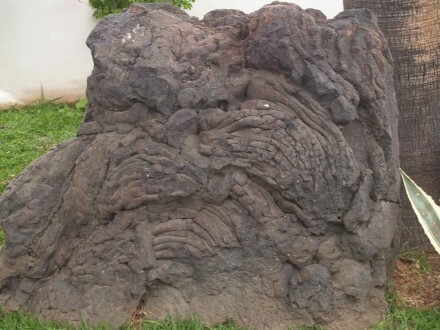 Geology is the study of the Earth’s crust and its continuous process of modification. 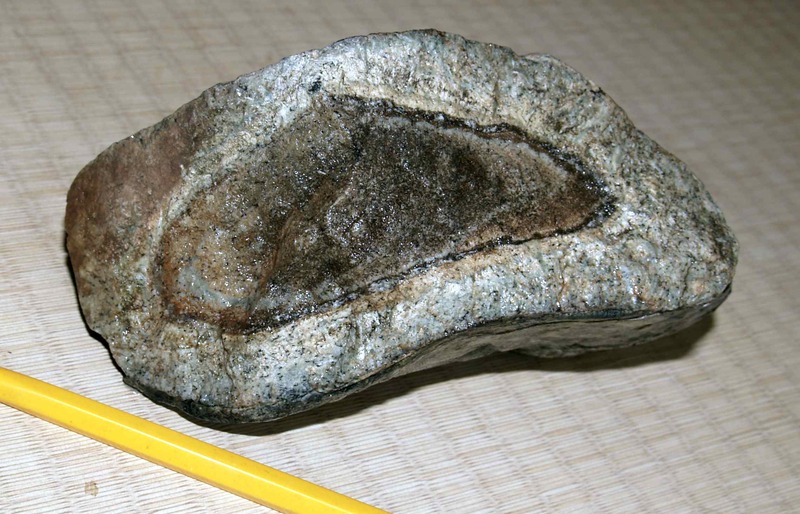 At the beginning of solidification, approximately 3,9 Ga (giga annum = 109 years) ago, there were only Igneous Rocks, originating from the consolidation of the initial magma. With time these disintegrated due to the atmospheric chemical and physical actions, termed Weathering and Erosion respectively and the altered products were transported by gravity, air or water, and eventually deposited elsewhere, forming the Sedimentary Rocks. 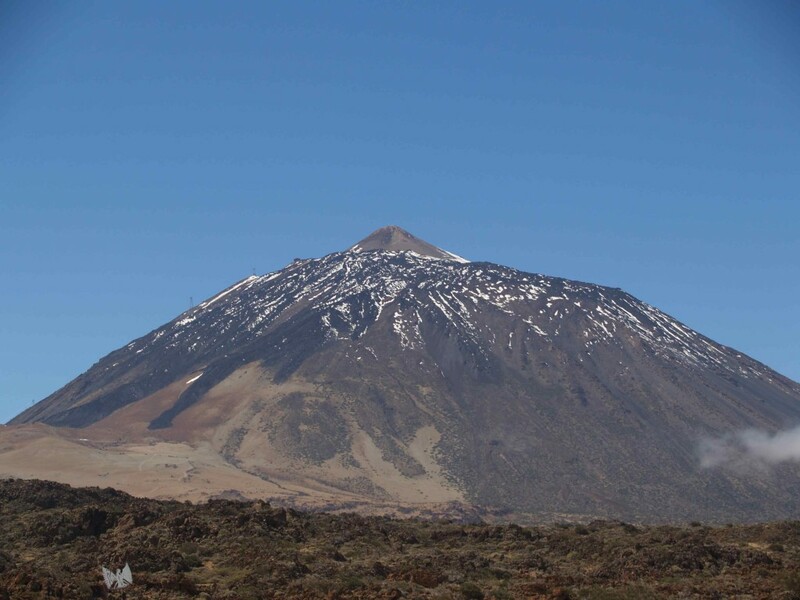 The heat emanating from the Earth’s core is transferred to the mantle, therefore keeping it fluid and giving rise to convection currents which causes the Earth’s crust to be on a continuous reshaping mode. This is magnificently well explained by the Plate Tectonic principle, with plates breaking away from each other at the Diverging Boundaries, and pushing against each other, at the Converging Boundaries. Very briefly, we can have diverging boundaries where a continental mass is being split into two, or the split has a continent on one side and an ocean on the other, or there is ocean on both sides of the split, being the Mid Atlantic Oceanic Ridge the classic example of the latter. 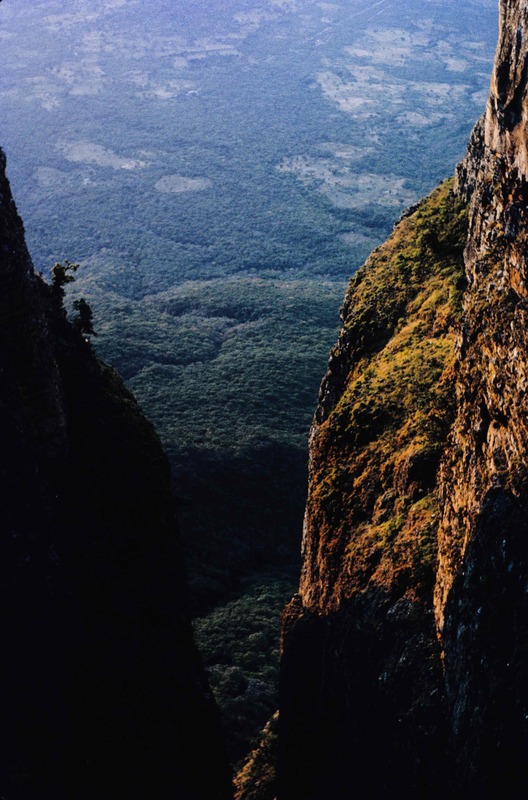 With converging boundaries we have for example the Himalayas being a consequence of the convergence between two continents, and the American western coast exemplifies a continental plate overriding an oceanic margin, the Pacific Ocean. 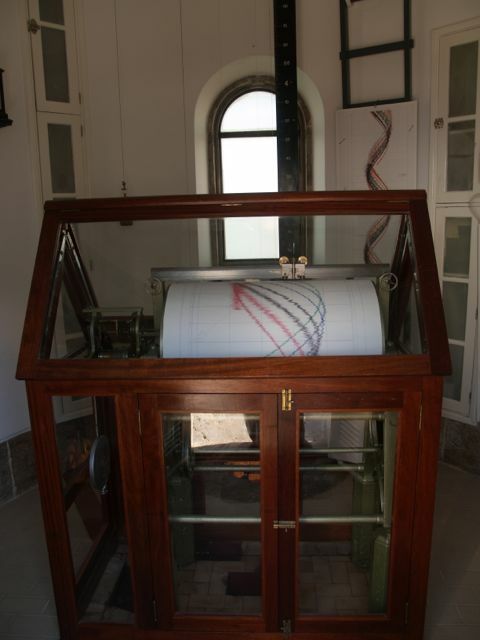 At the converging boundaries, with the impact between two plates, especially if both contain continental masses, we have the development of huge amounts of kinetic energy, a large proportion of which will be converted into heat. This, as well as the contact with the igneous rocks which continue being spewed from the mantle, causes a very marked change in the general characteristics, texture and composition of the rocks affected, thus Metamorphosing them. 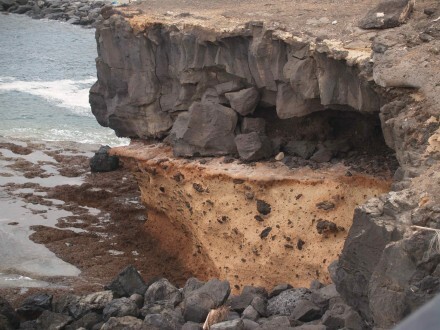 Finally, the mechanisms involved and the distortion caused to the rock masses when they are broken apart, or pushed together and its consequences, is studied under Structural Geology. Igneous Rocks – after all these were the first solid substances on the Earth’s surface. Weathering – which, it is fair to accept, was the initial action on the rocks by the atmosphere. Erosion – occurring at the same time as weathering and adding to it. 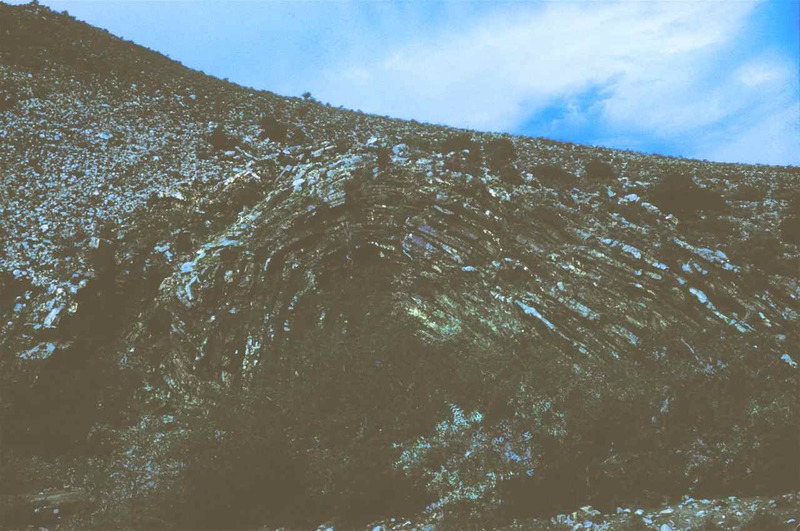 Unconformity – which is a very important stratigraphic reference plane. 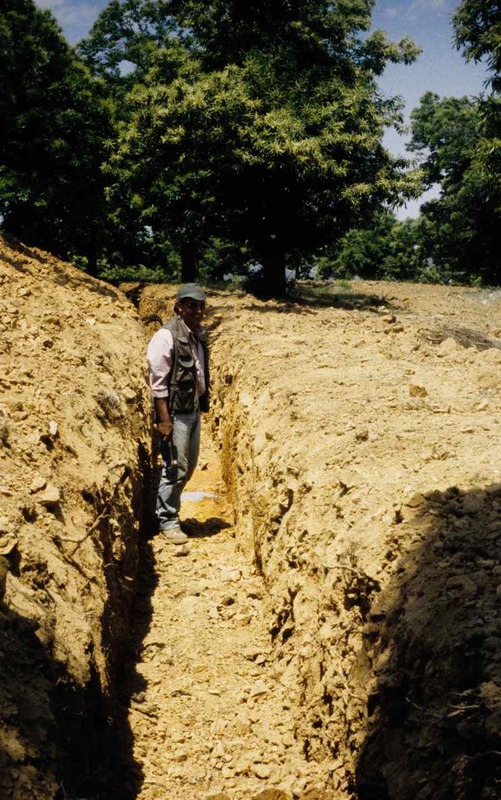 Sedimentation – since that is a consequence of the preceding actions. Structure and metamorphism – topics I know even less about. Prospecting – because, after all, in my days, that was what geologists were for. Mining – again, that was why prospecting was done.